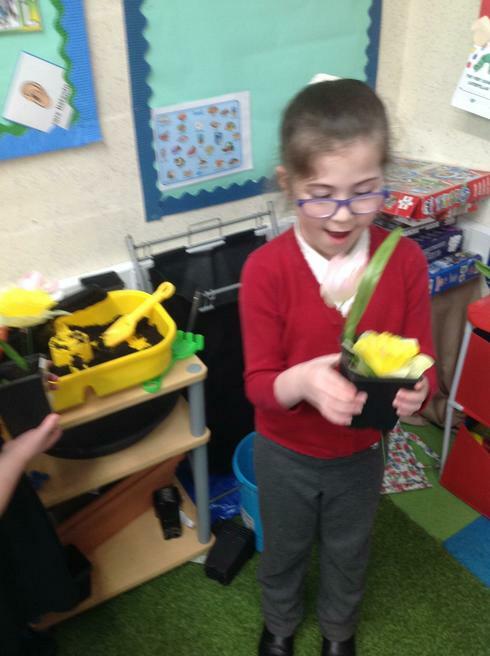 Welcome to our Nurture page. 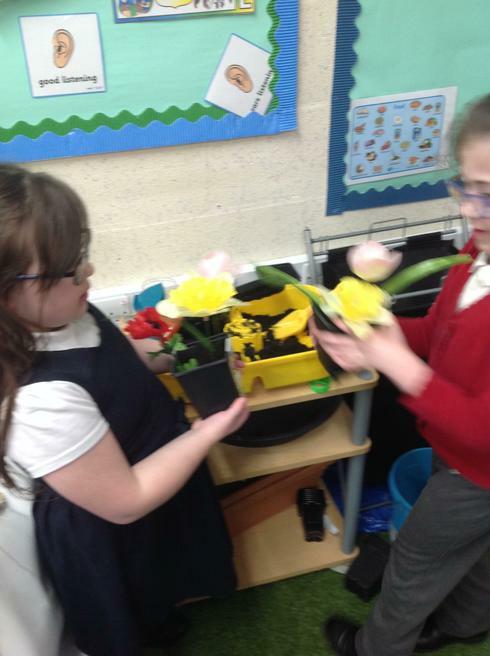 In Nurture we all work together as a team. 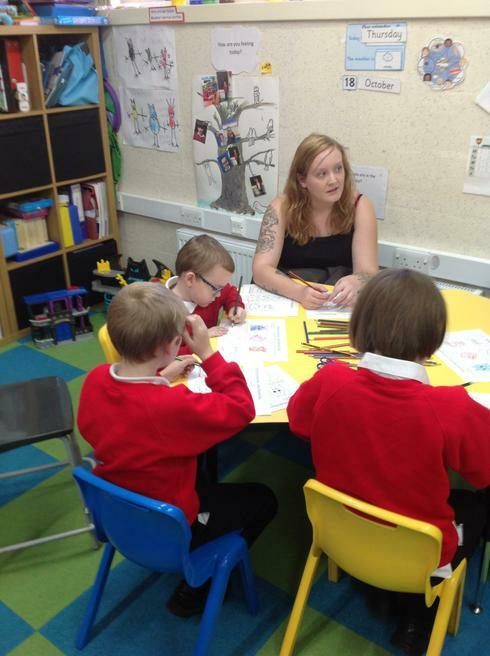 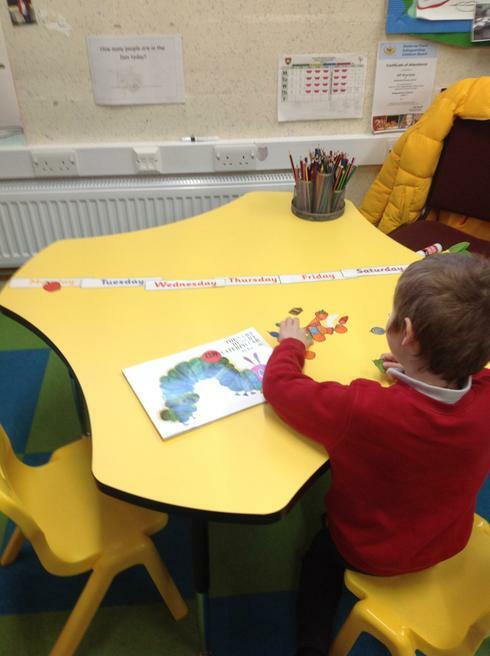 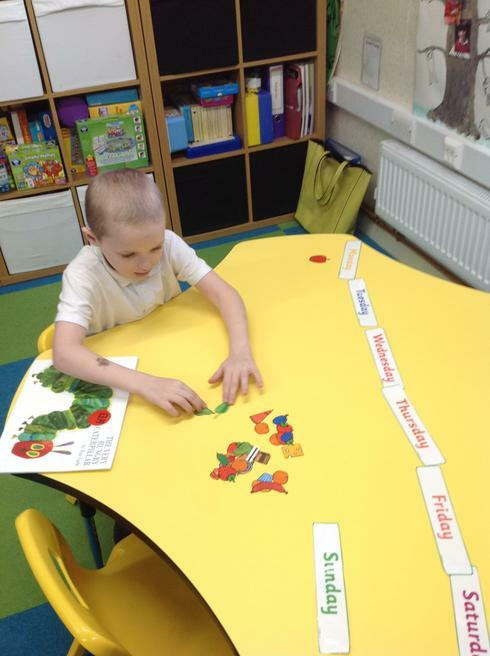 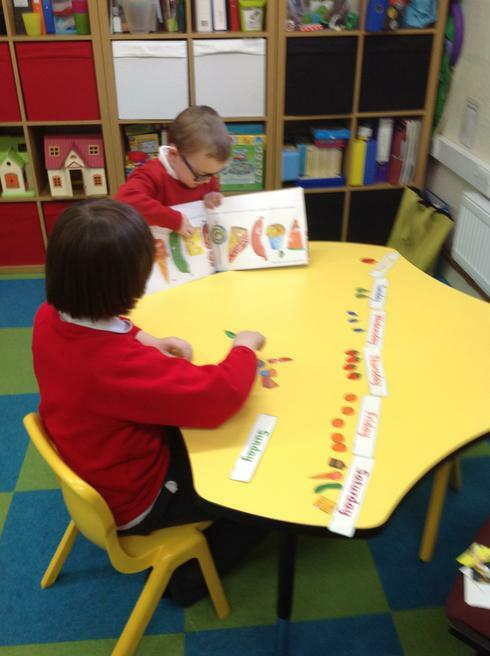 We support the children so that they can develop into independent learners. 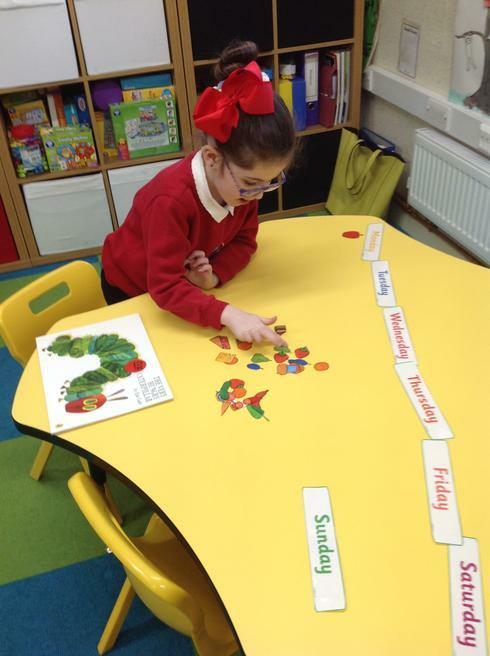 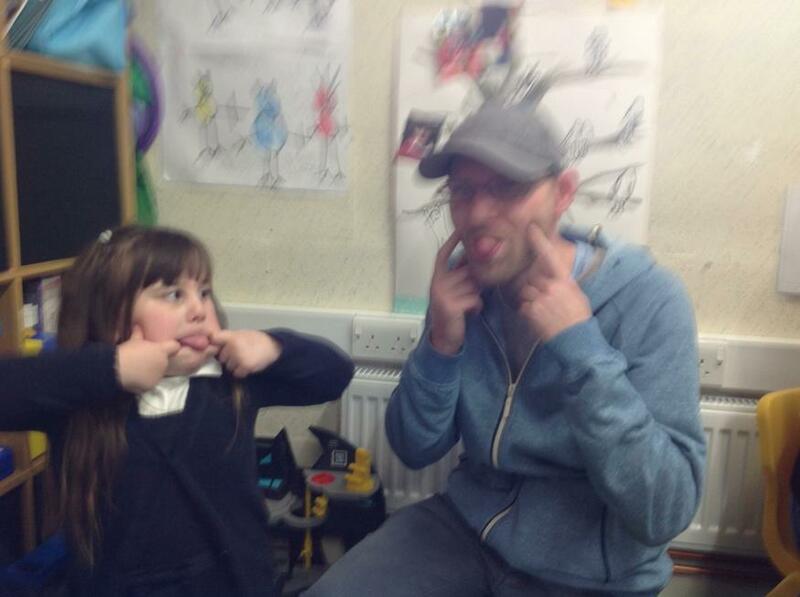 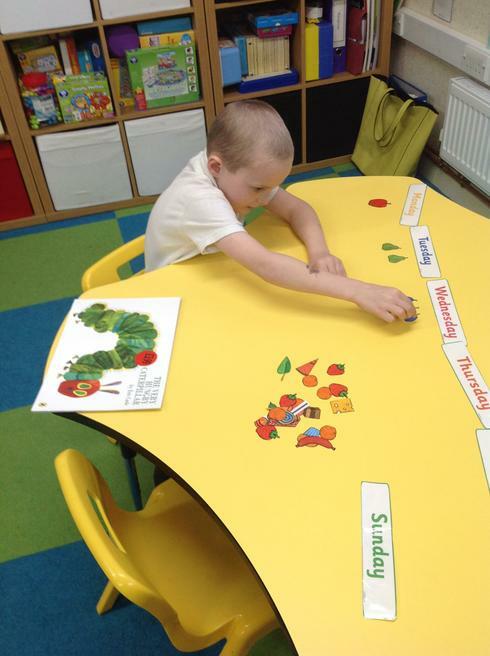 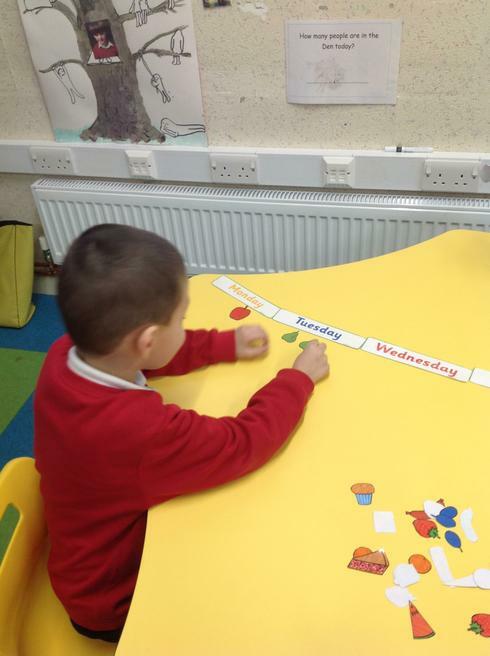 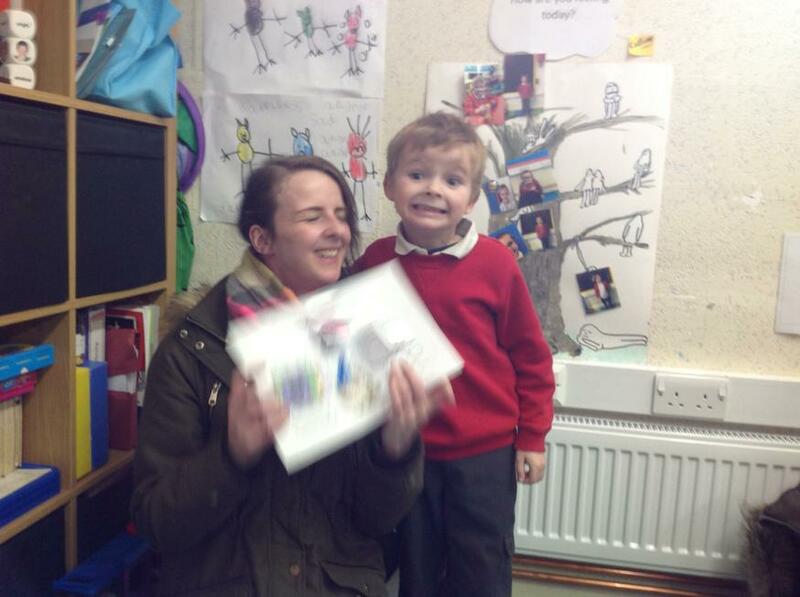 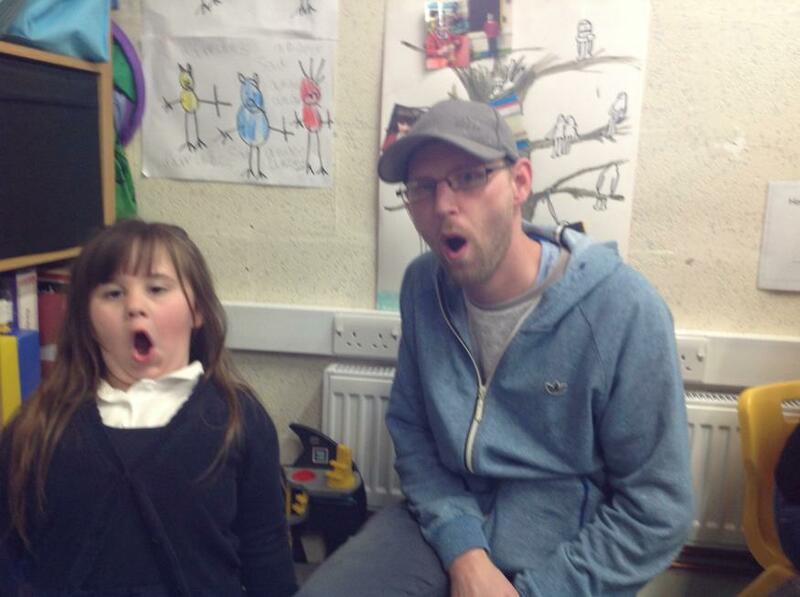 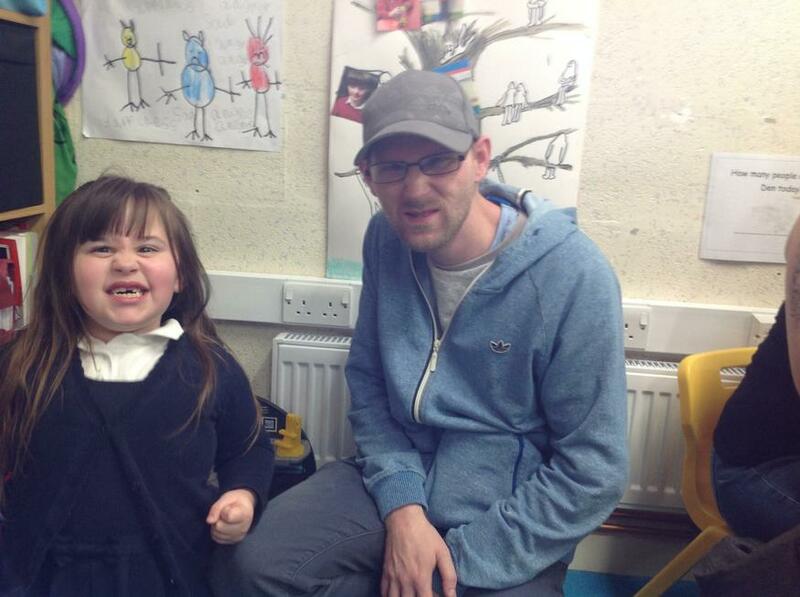 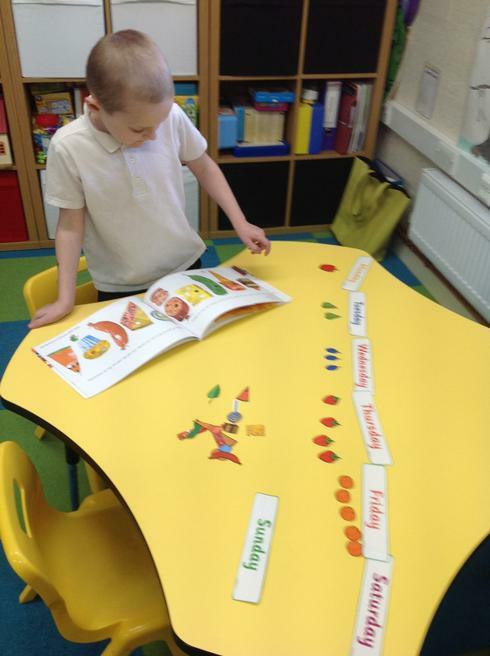 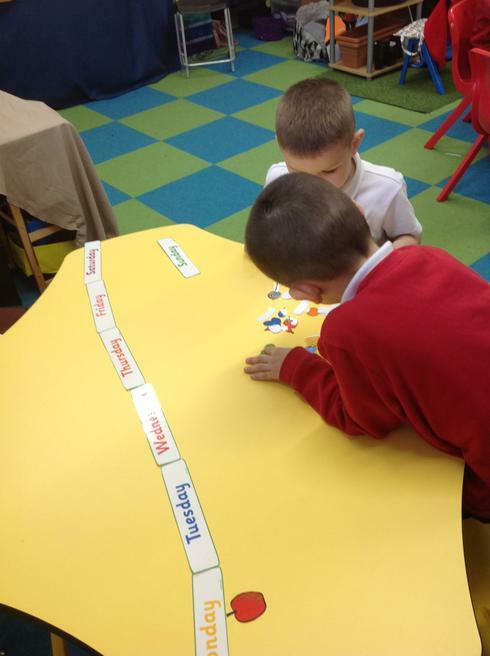 We enjoy learning with the children whilst having lots of fun and laughter along the way! 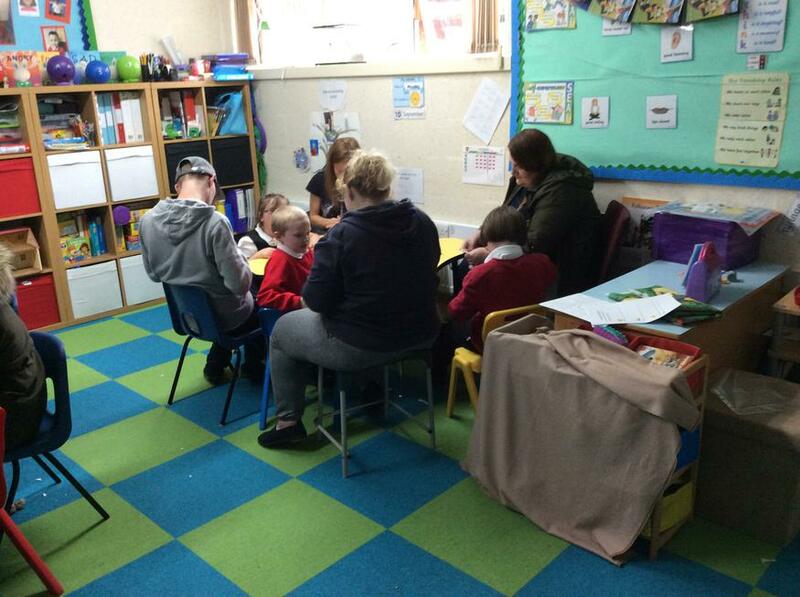 'The Den' is run every afternoon from 1:10 -3:10 pm. 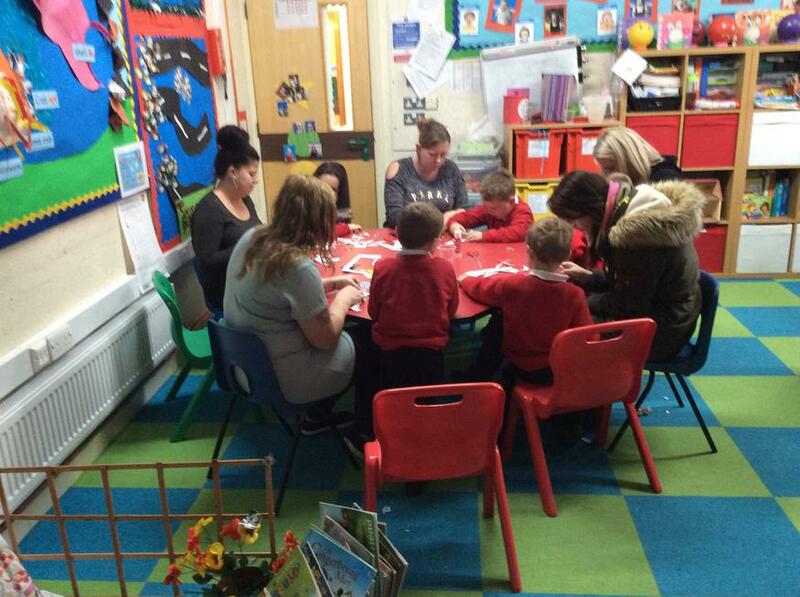 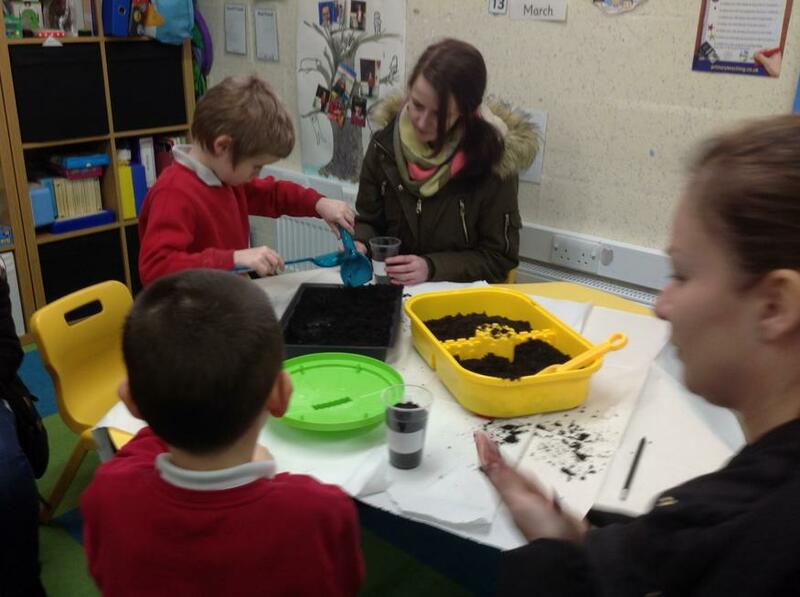 Nurture is to support children who will benefit from working in smaller groups and they work at their own individual levels. 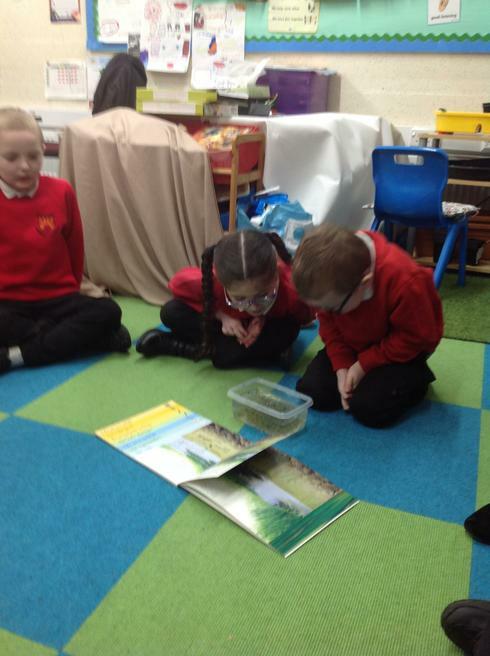 This book is about three characters who become friends and share a shell. 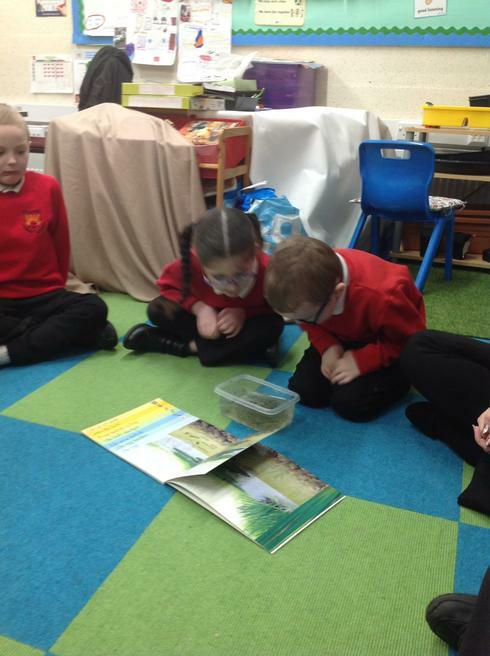 We will be exploring this book about kindness and sharing. 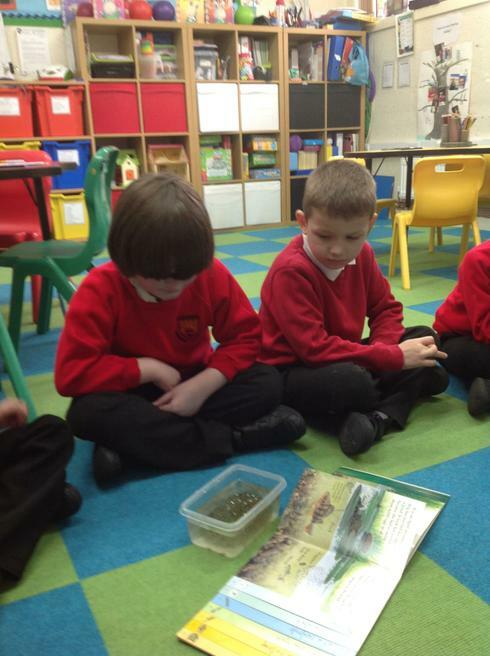 things, for example Rock pools and the animals that live in them.
" 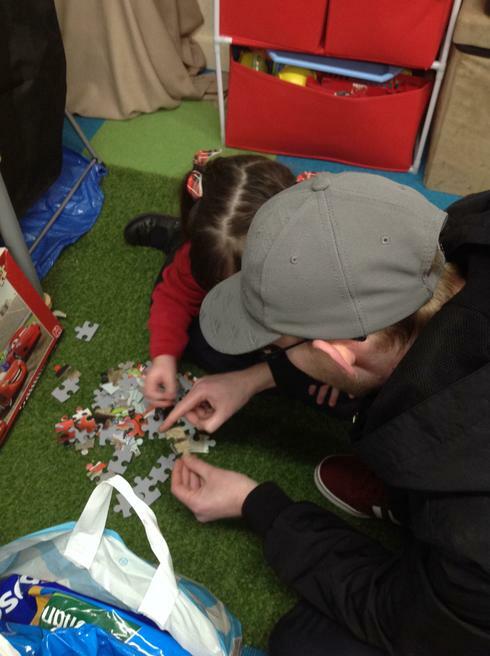 Me and Ambrose really enjoyed our afternoon. 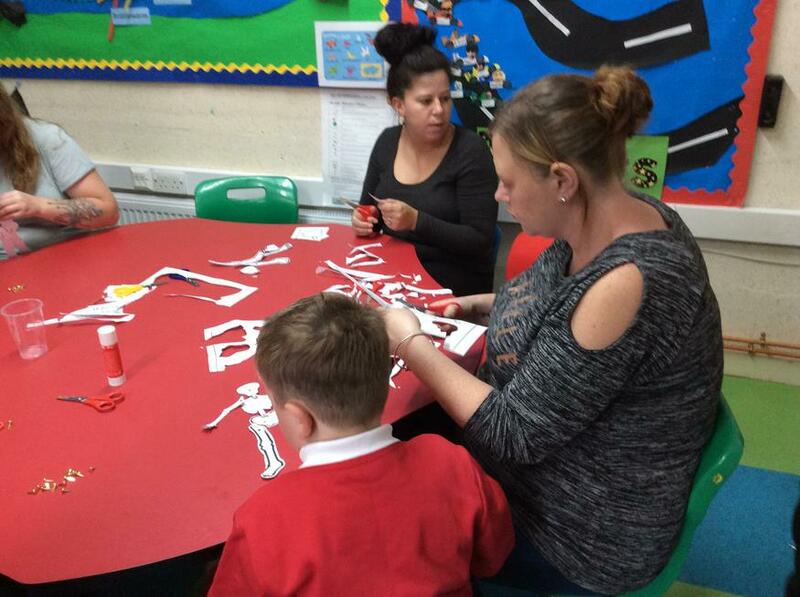 We really liked making the skeletons"
"Really enjoyed it, Ethan is so settled in here which is amazing to see"
"It was really, really good. 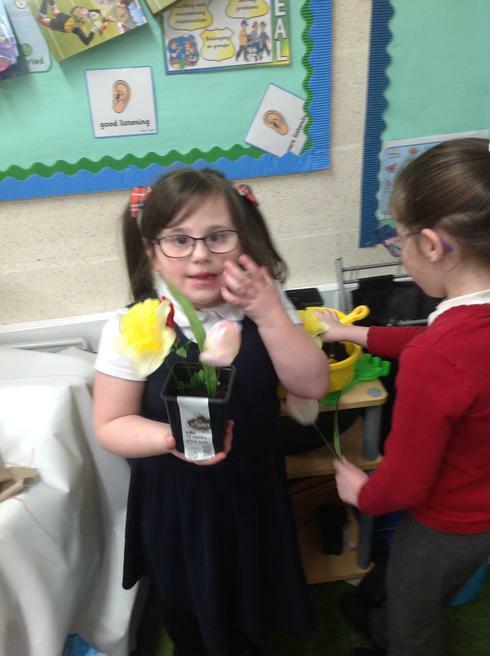 Lilly is coming on brilliantly. 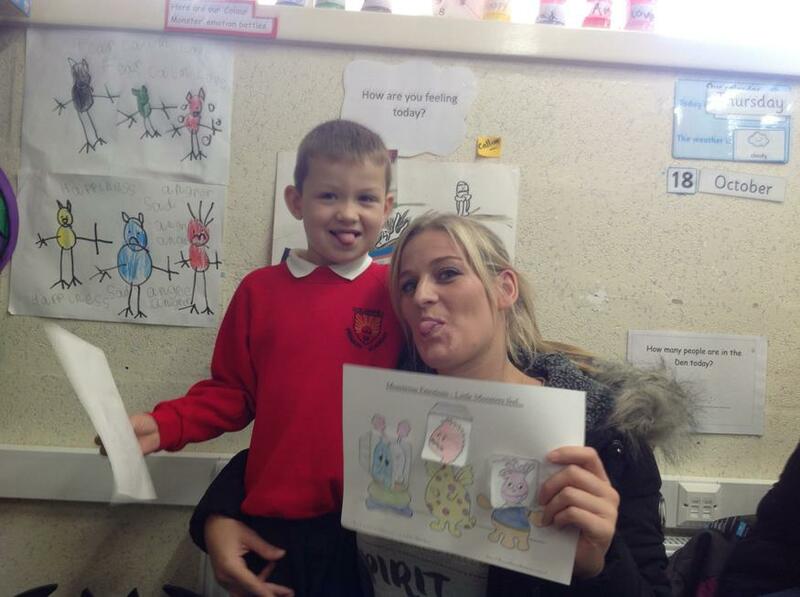 She has got amazing support, thank you!" 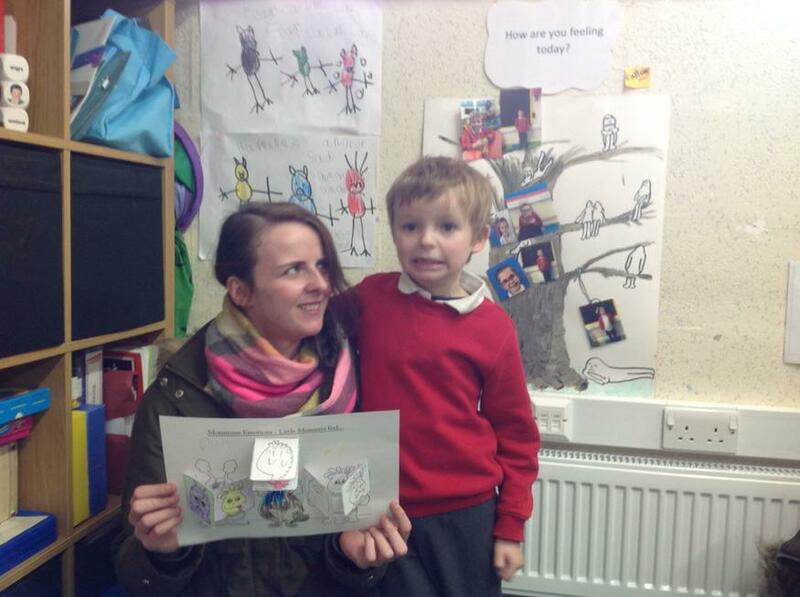 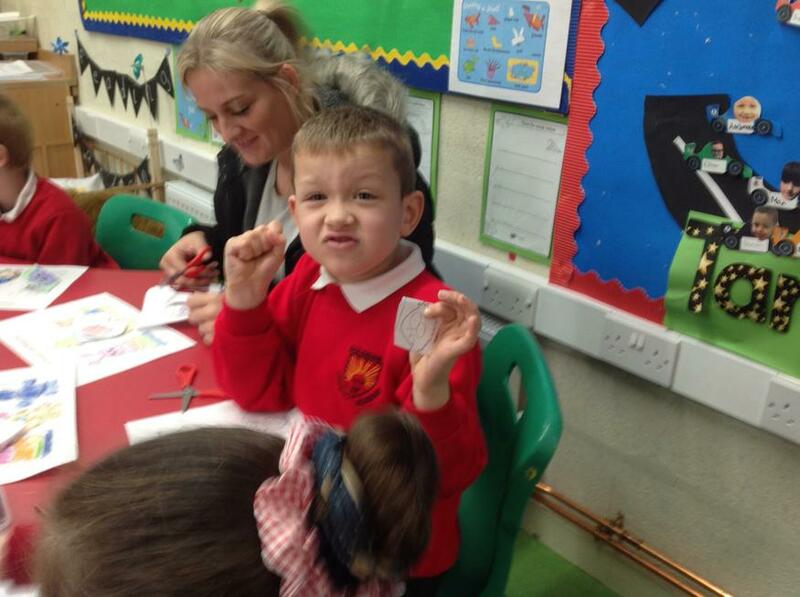 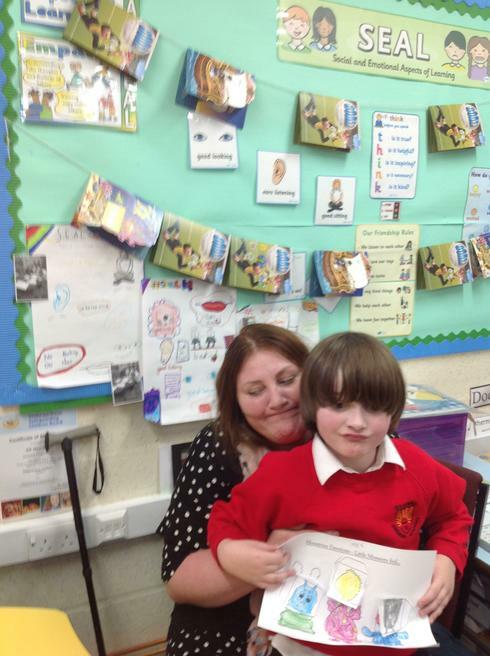 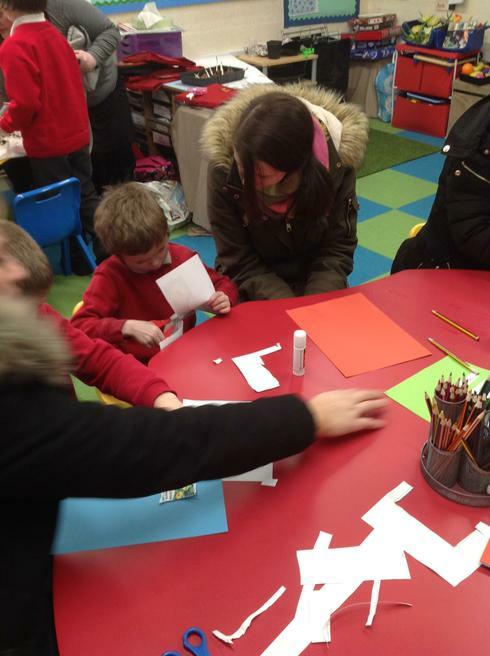 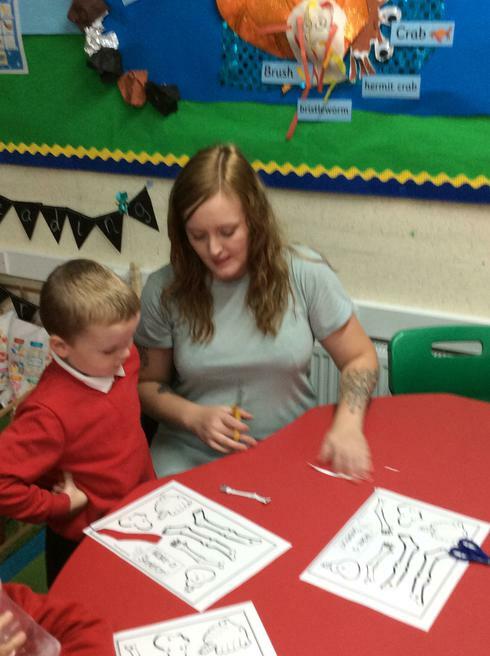 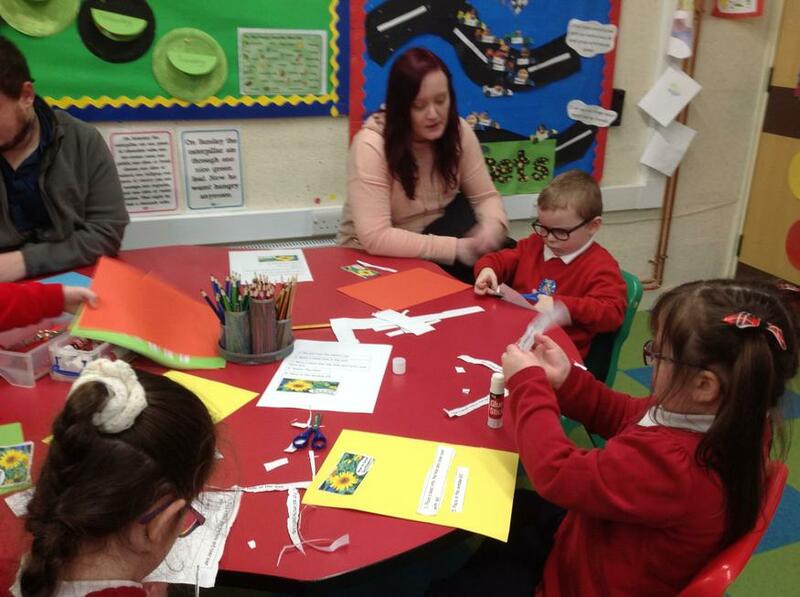 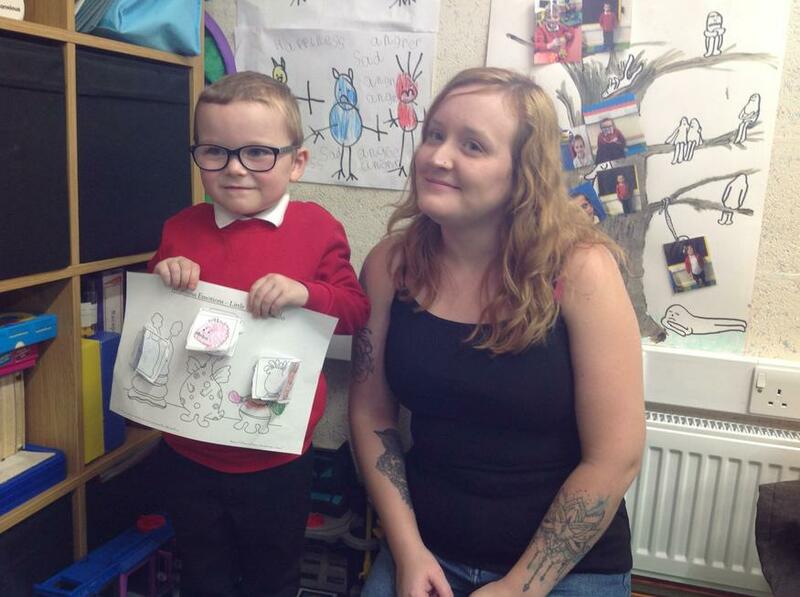 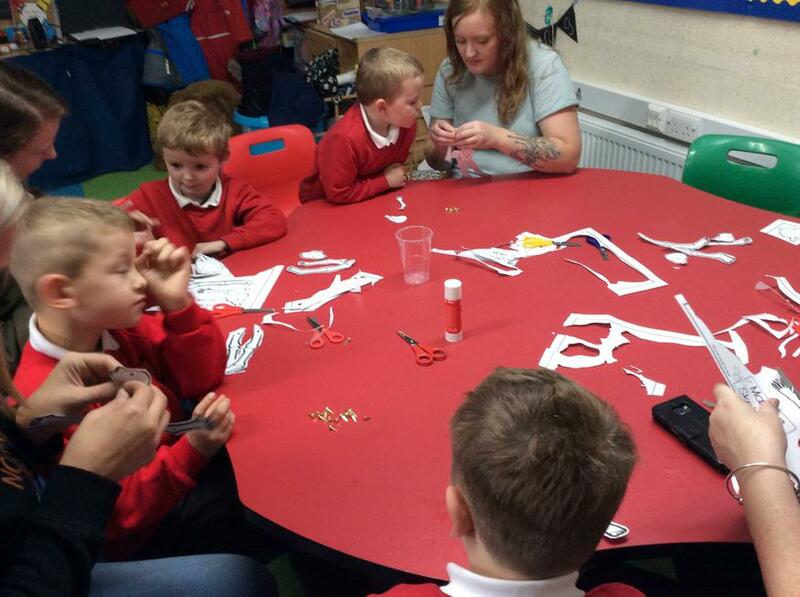 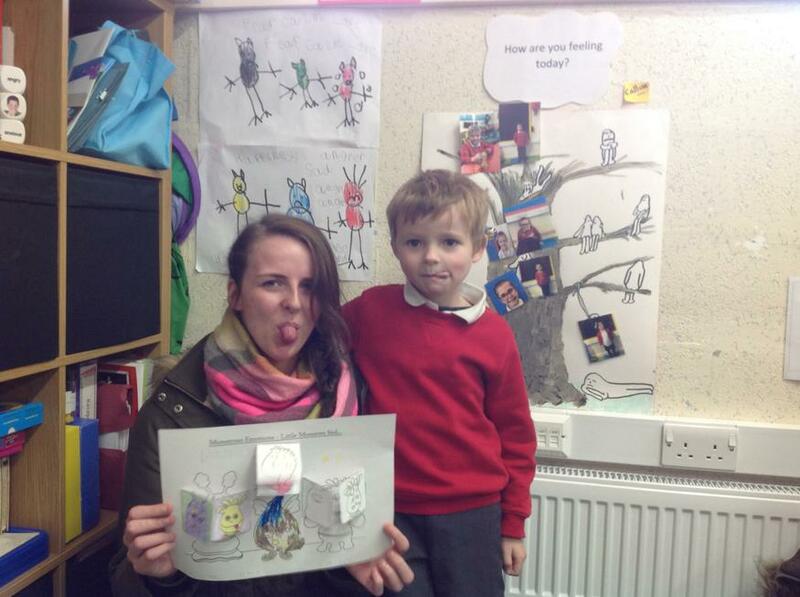 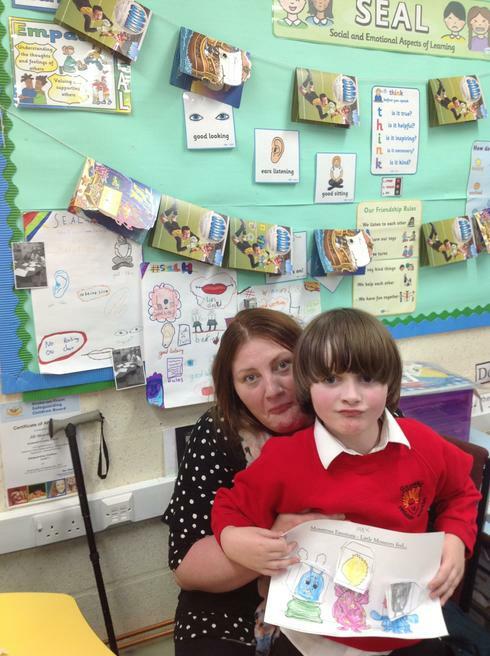 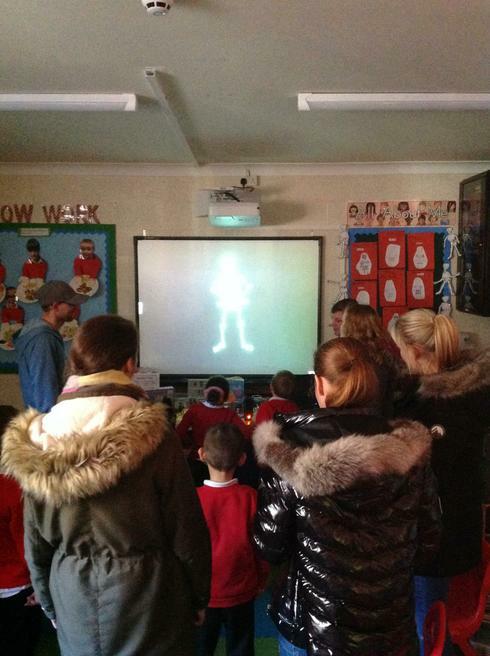 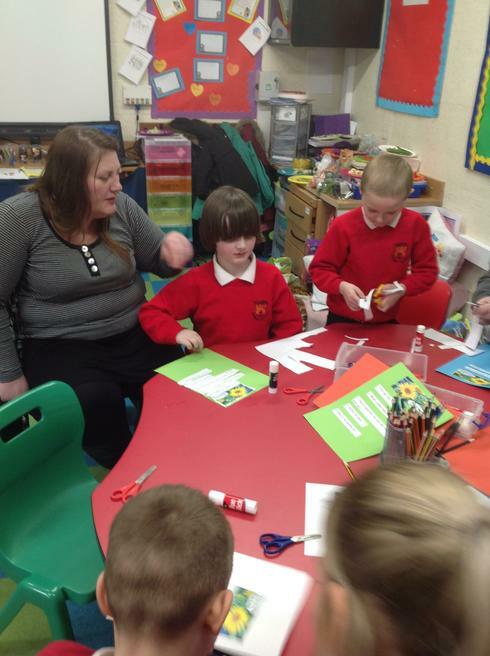 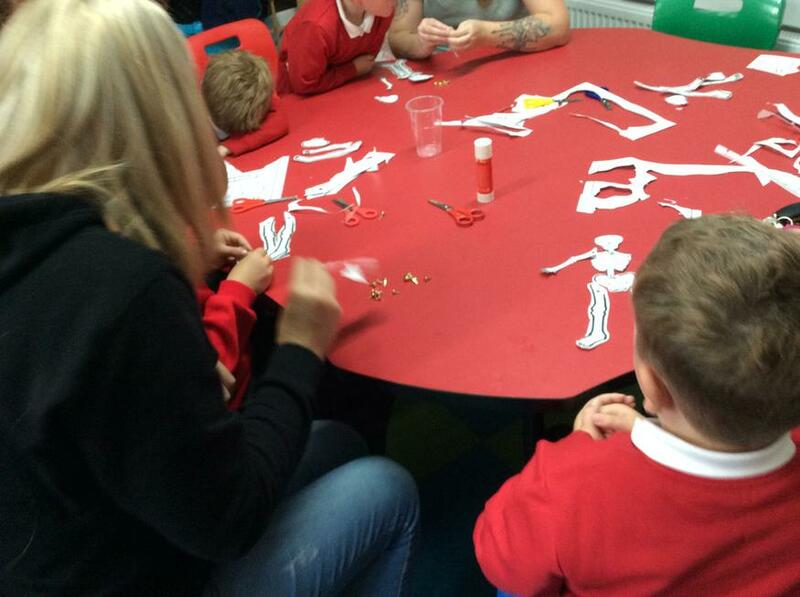 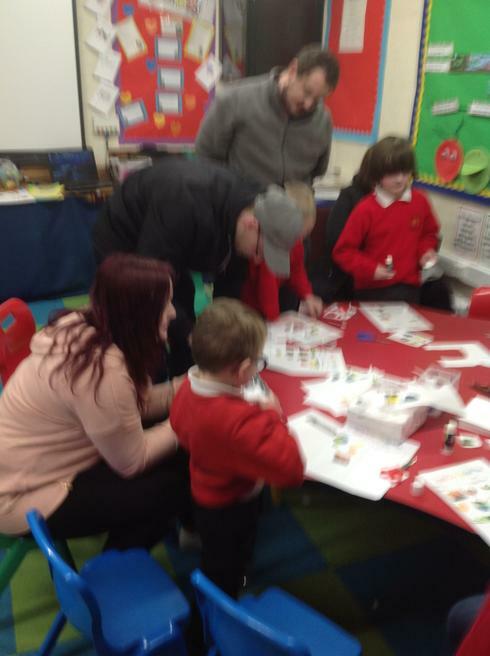 "Enjoyed watch me learn with Elliot, we had fun making the skeleton". 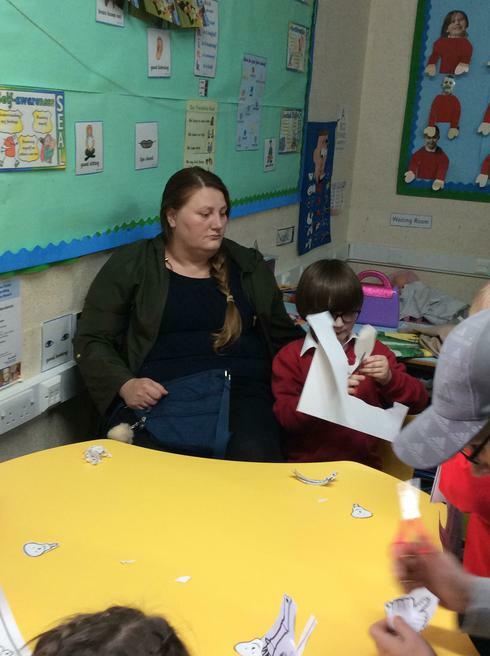 "Excellent give Mrs Aubrey a raise!" 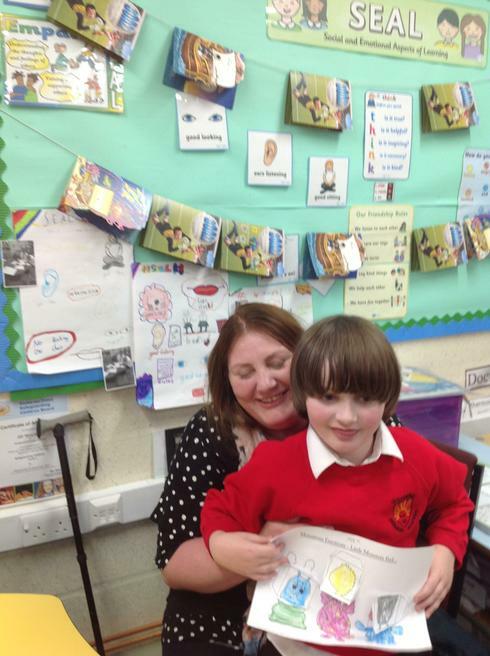 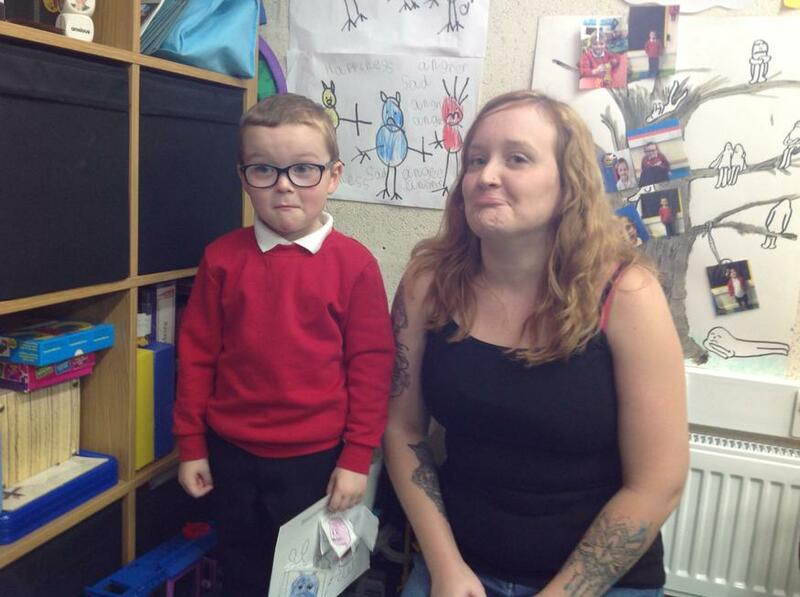 "Good, I am happy" Said Steven and his mum. 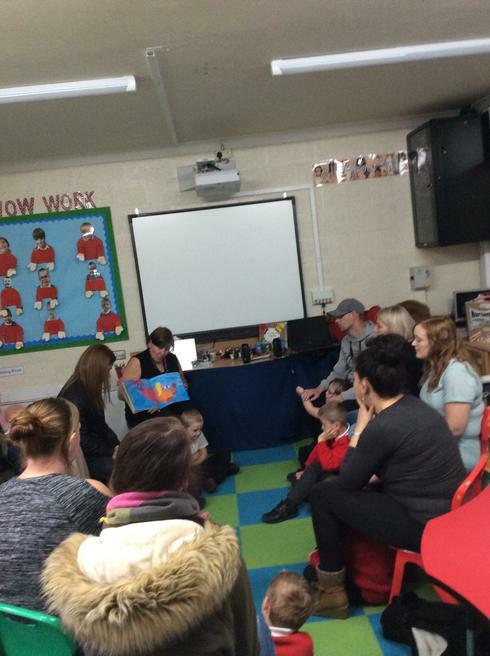 In the Den Watch Me Learn we welcomed our parents and we showed them how amazing we are!! 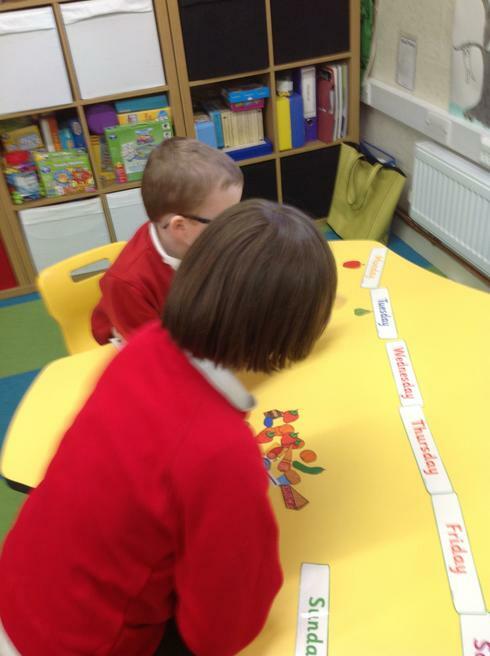 We showed off our phonic skills and our 2 x's tables song. 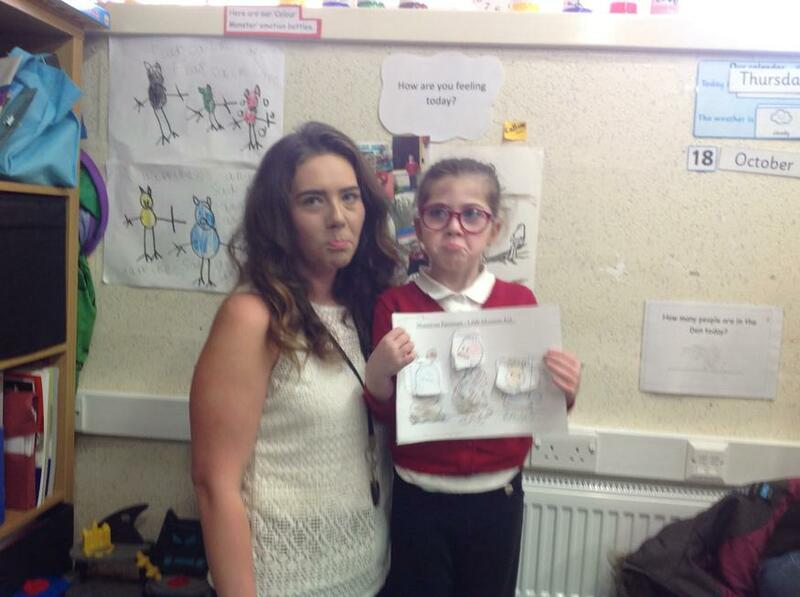 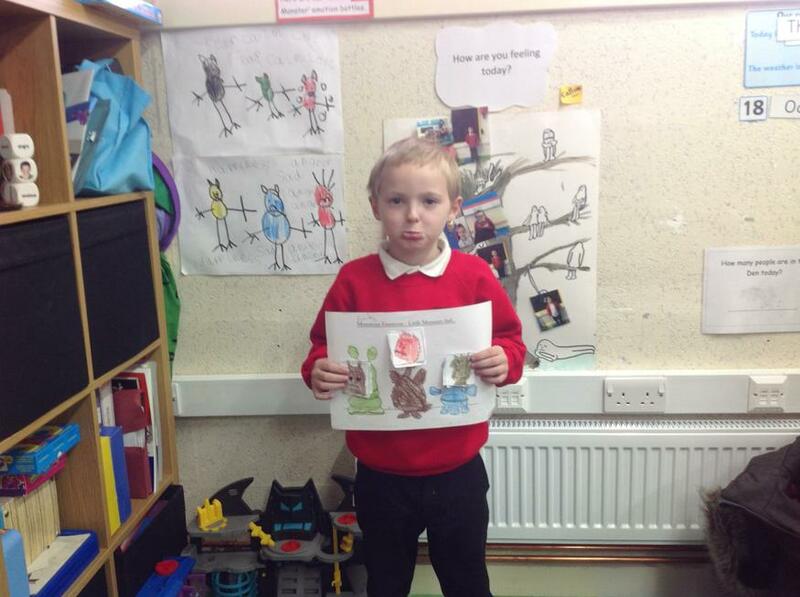 We also created our own Emotion Monsters flap book. 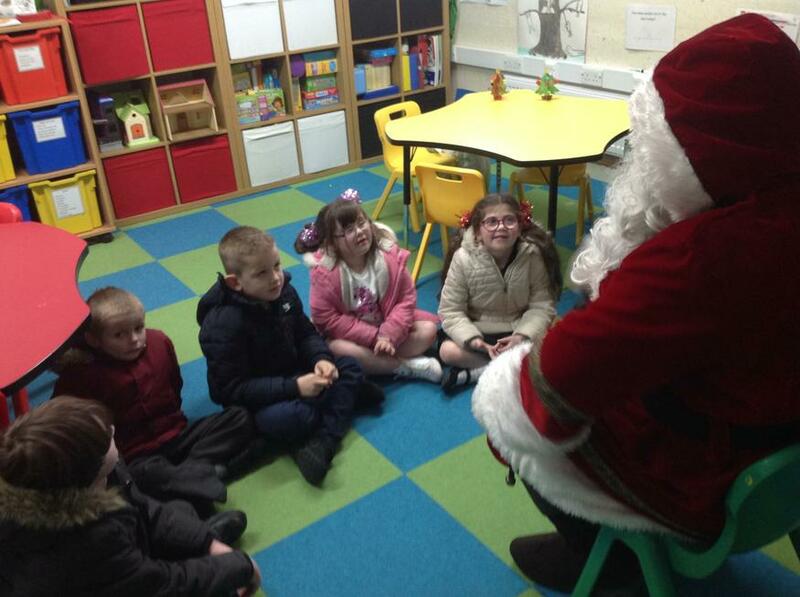 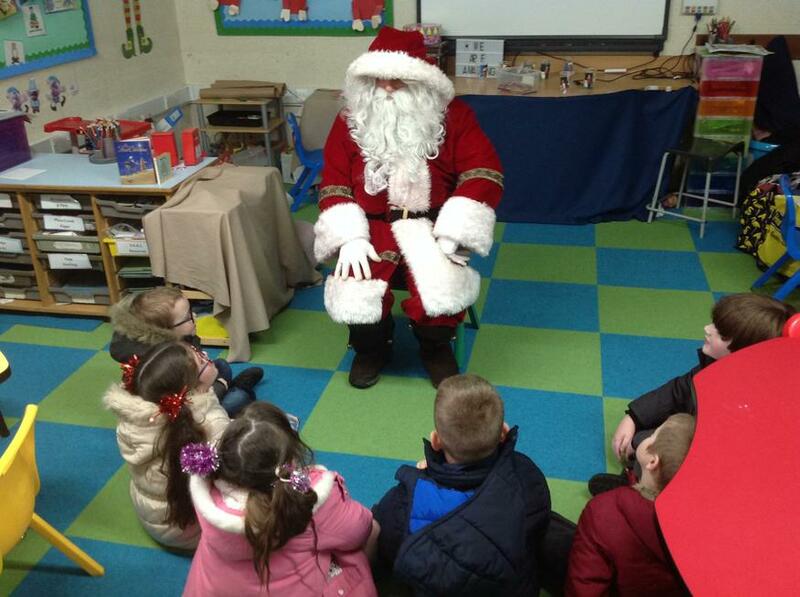 Look at the photographs of our fab day!!
" 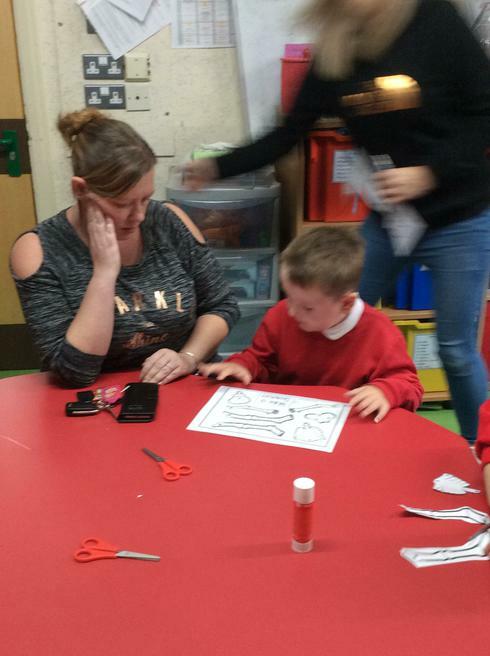 Had an amazing morning, thank you"
" Had a fab day as usual, enjoyed seeing how the children learn their phonics and times tables". 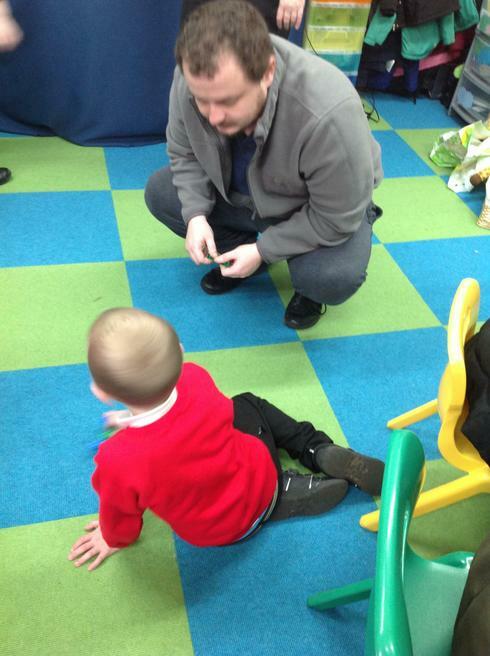 "Thank you for a lovely morning. 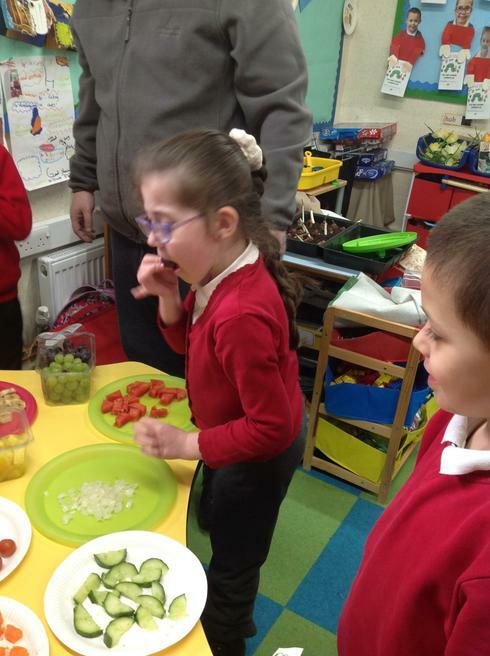 We really enjoyed it!" 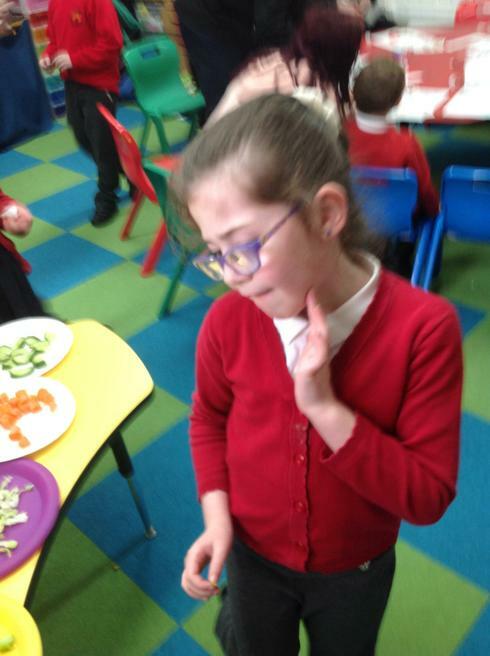 "Really good. 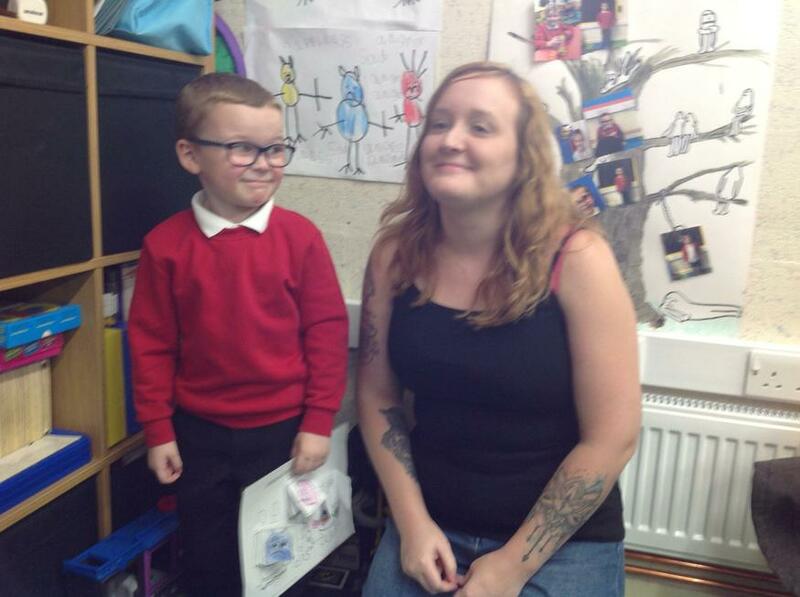 Good to see Max has come along so much. 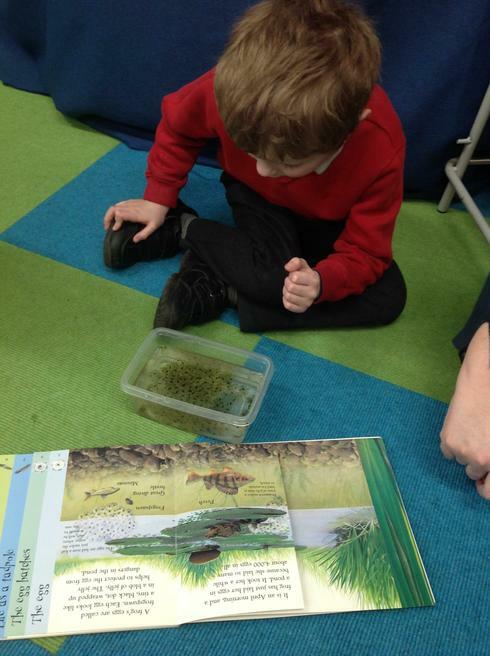 His reading is fantastic." 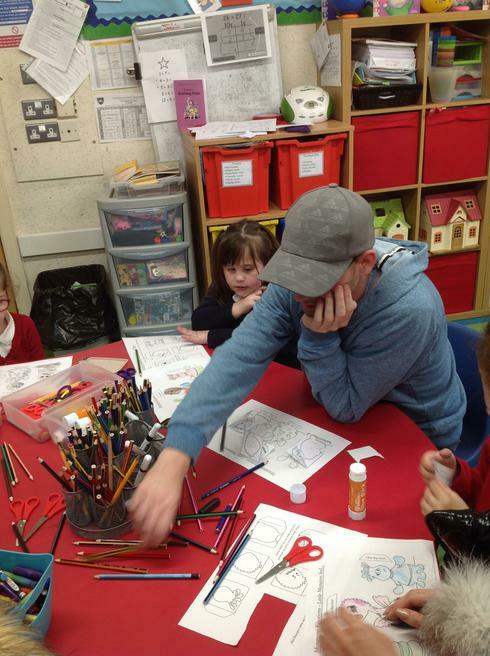 Beth.
" 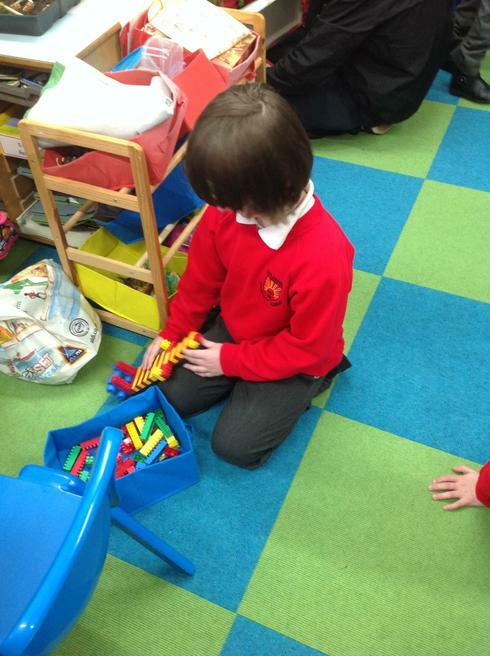 I really think that the Den days are really fun day and you can see the progress that your child is doing. 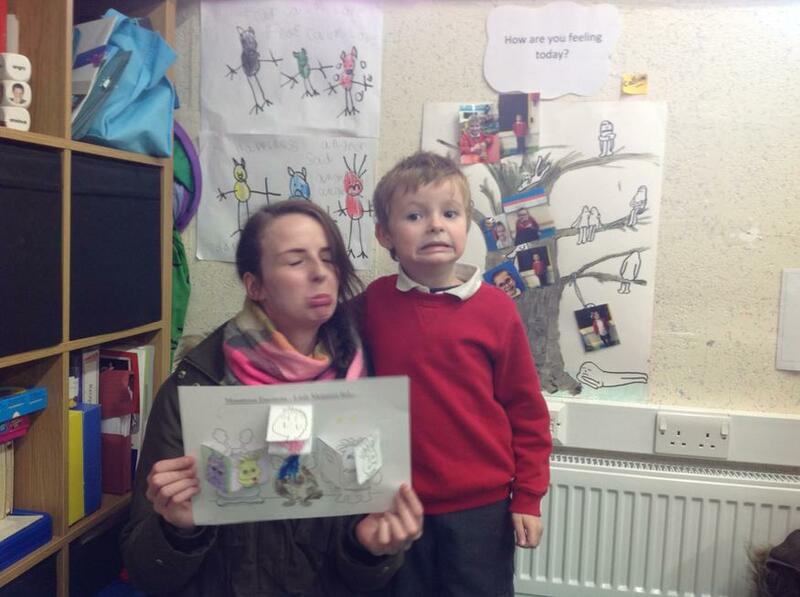 Brilliant!" 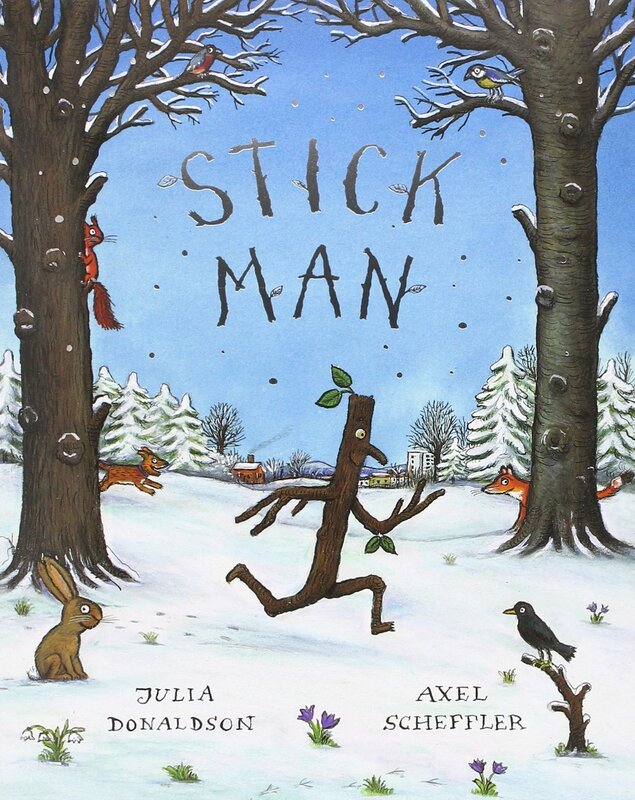 This term we have been looking at Stick Man. 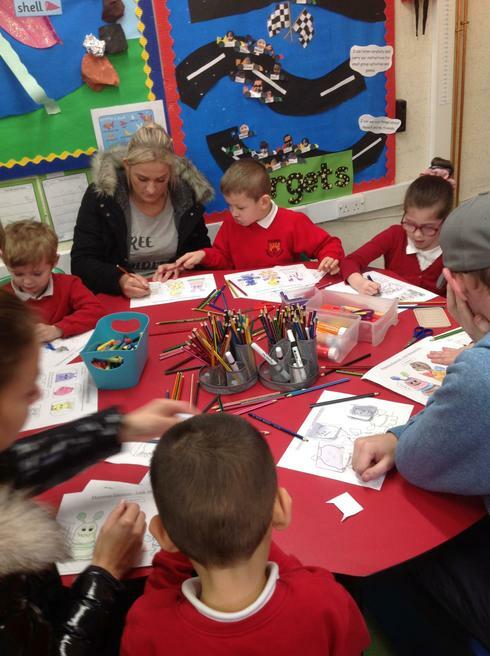 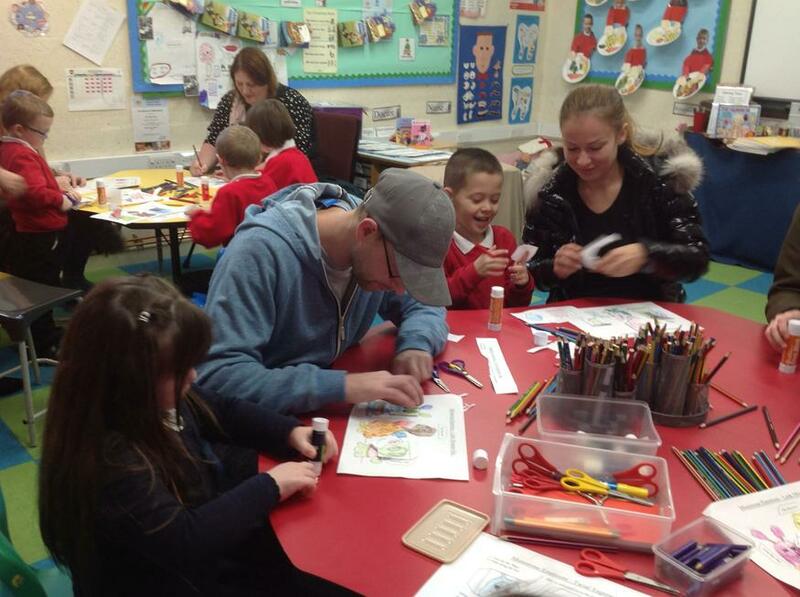 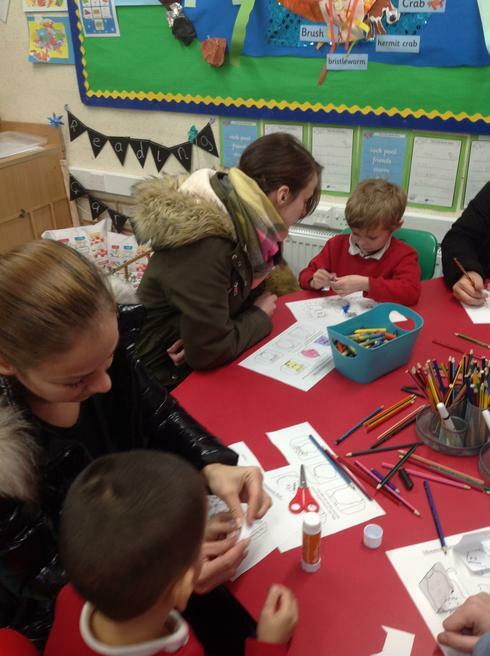 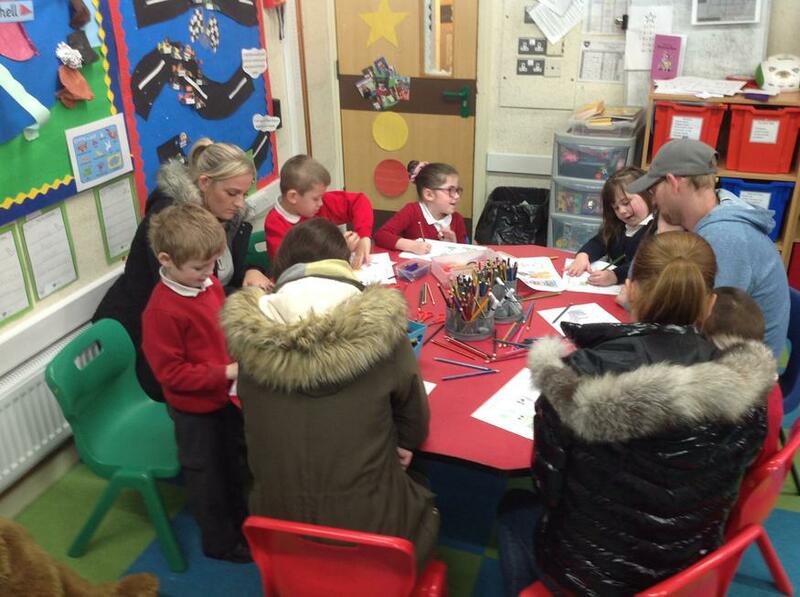 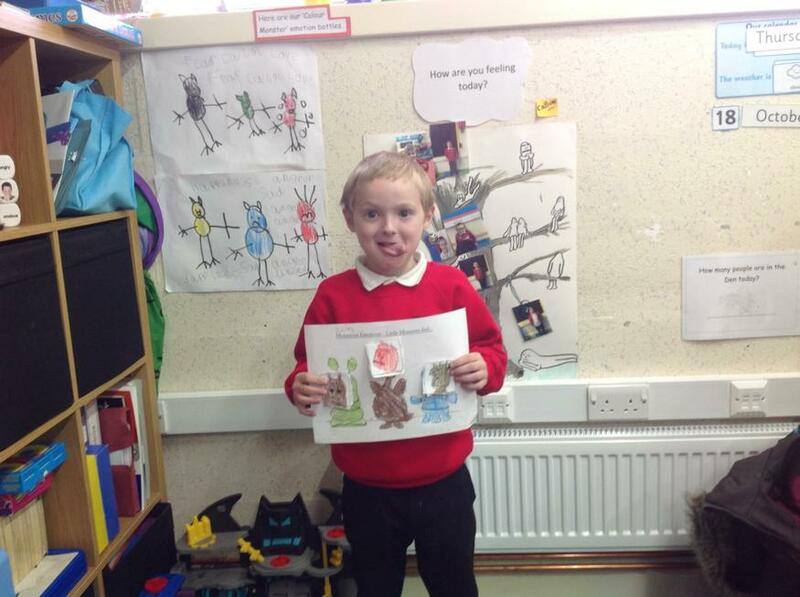 The Nurture group have enjoyed creating their own stick man and the family. 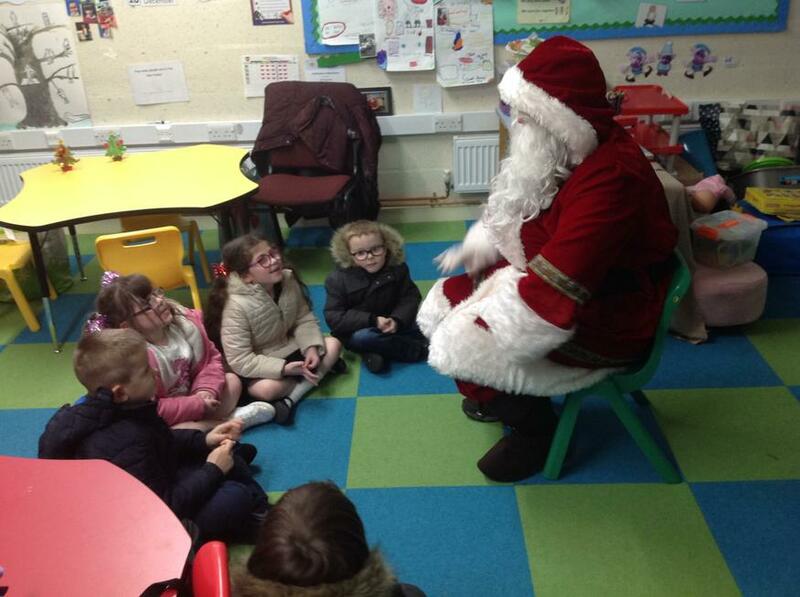 Look who came to visit us in the Den today!!!!! 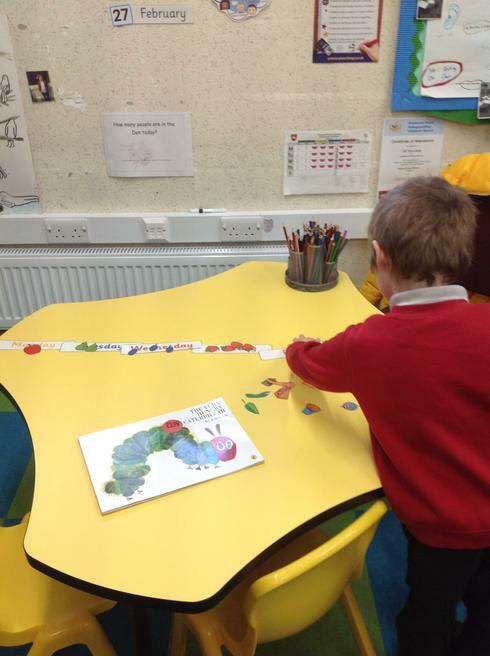 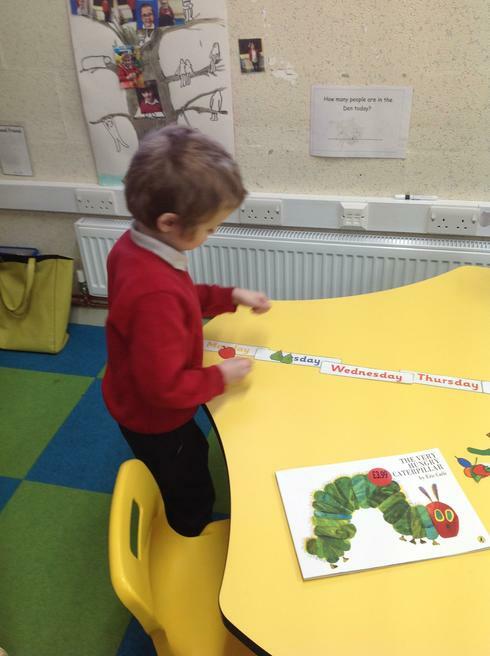 This term we are exploring 'The Very Hungry Caterpillar' by Eric Carle. 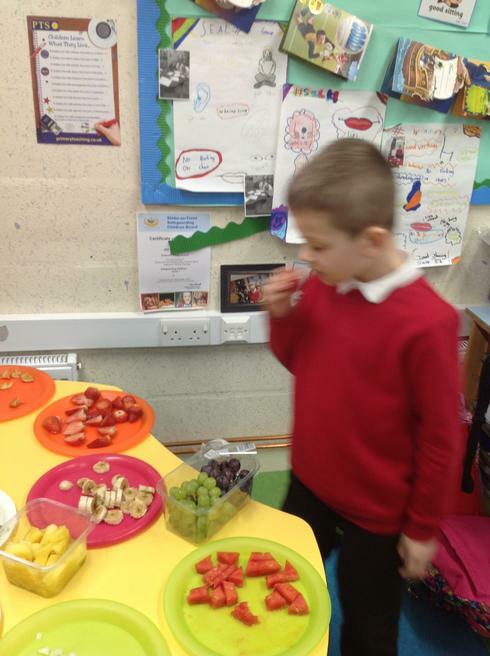 We are looking at healthy living. 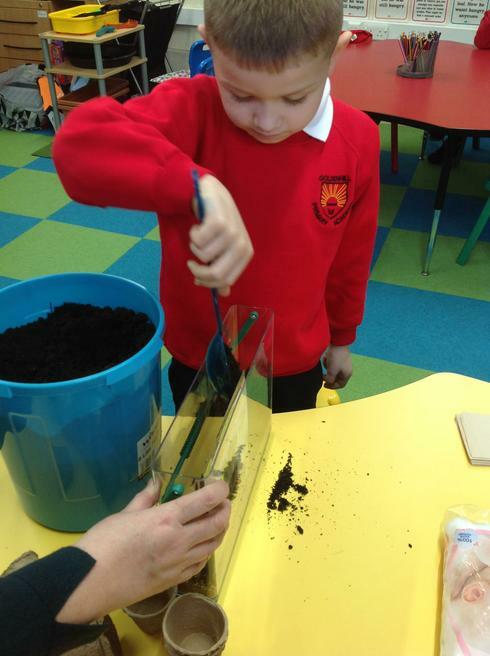 We will be planting Lettuce, Carrot, Radish and Spring Onions seeds. 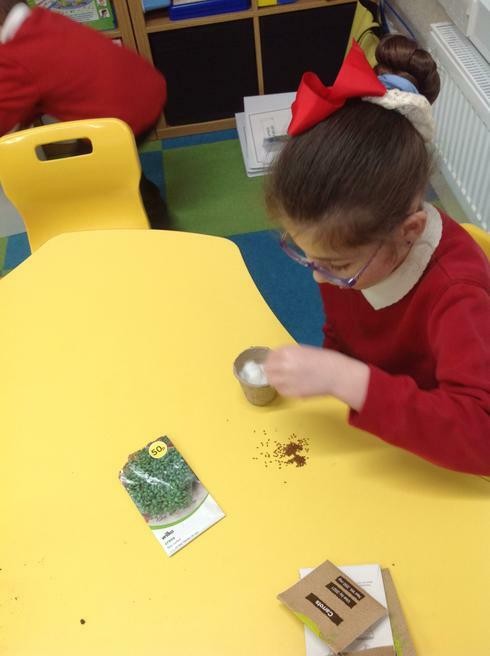 We will also be planting Sunflowers. 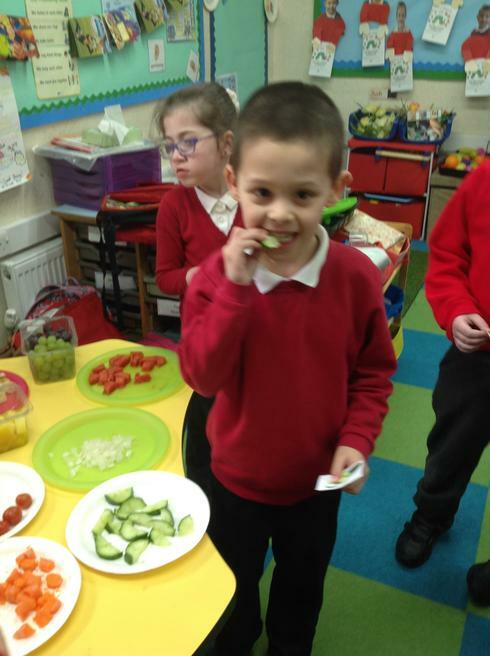 We are going to group foods into healthy and unhealthy. 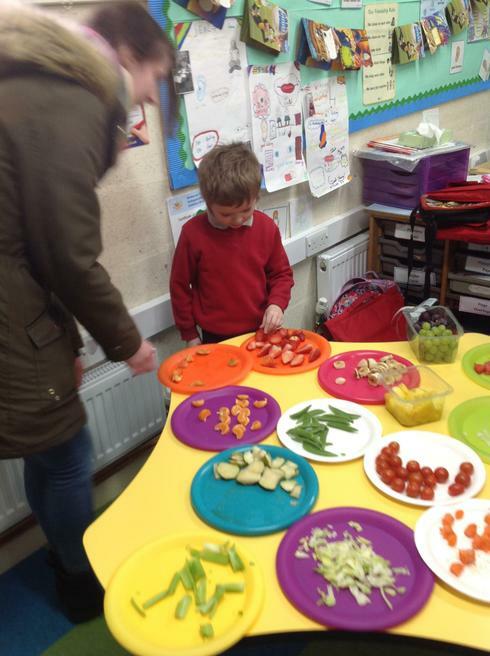 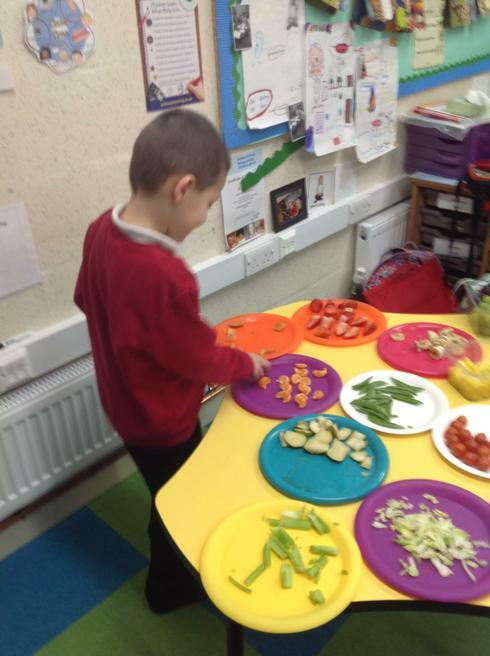 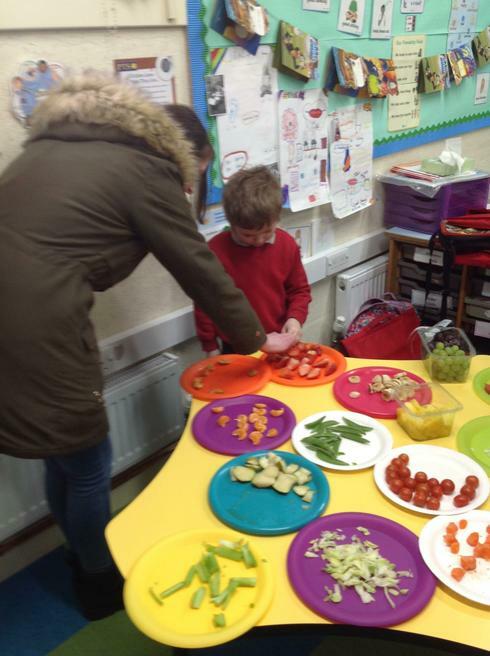 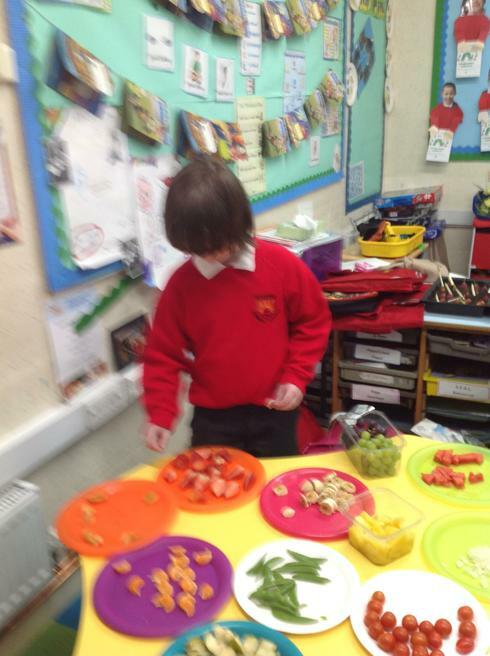 We will be creating our own healthy lunchbox and healthy plate of food. 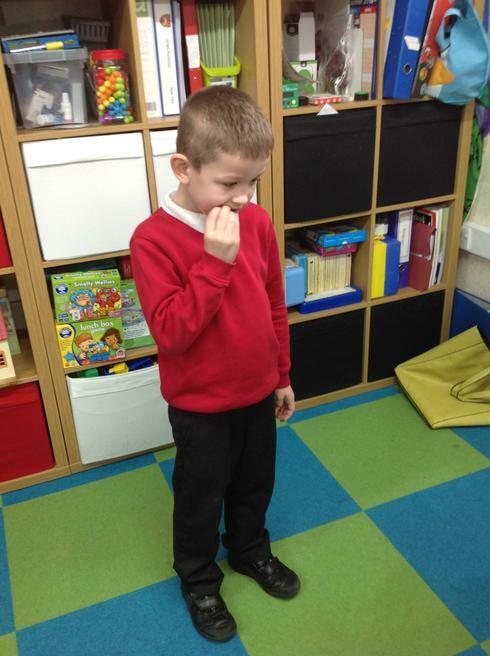 We will be looking at exercise and how it affects our bodies. 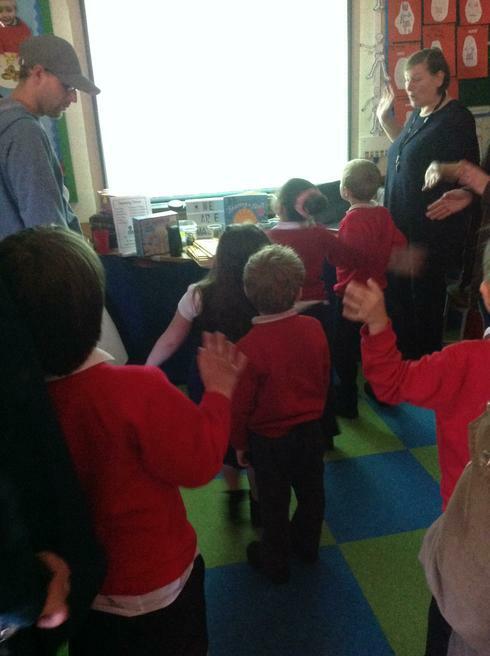 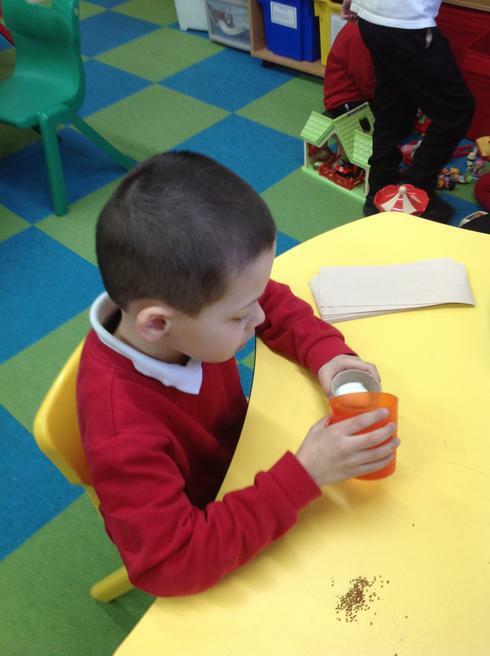 We will also be exploring 'keeping clean' looking at washing our hands and brushing our teeth. 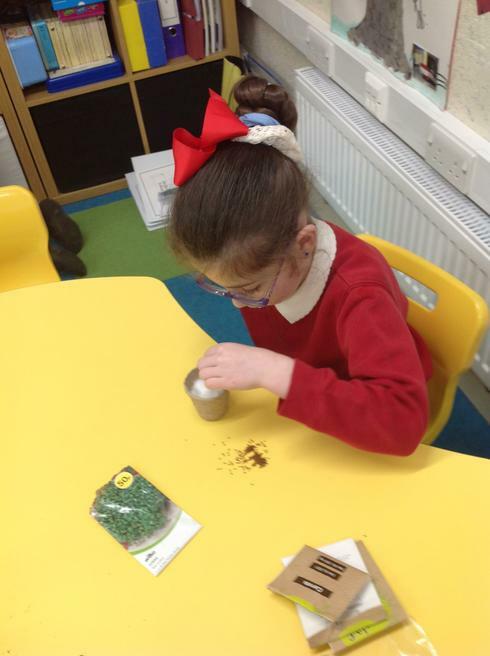 Planting our Carrot, Radish and Spring Onion seeds. 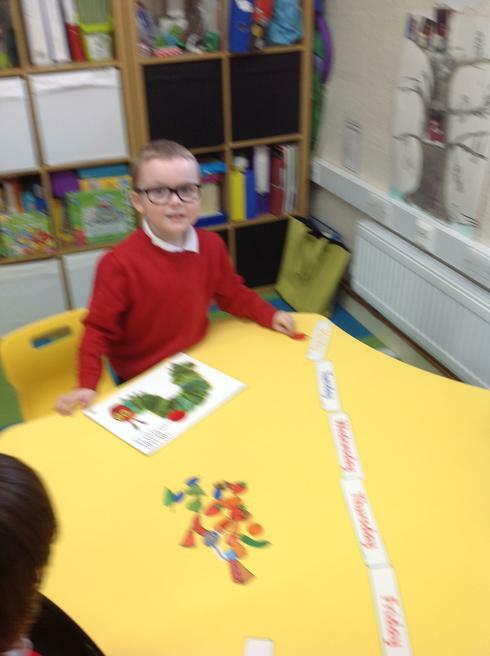 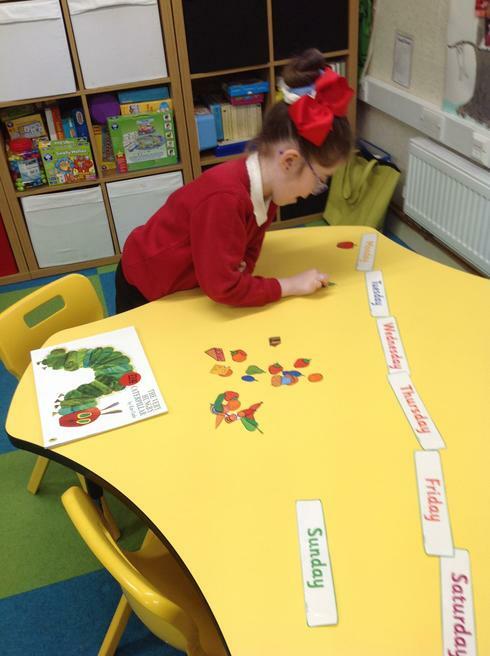 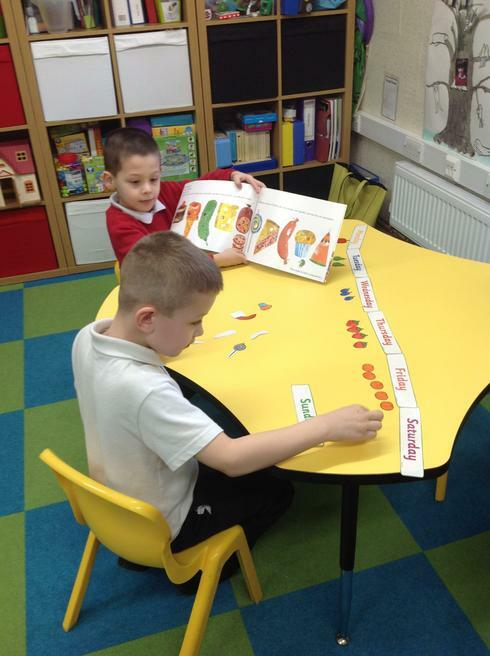 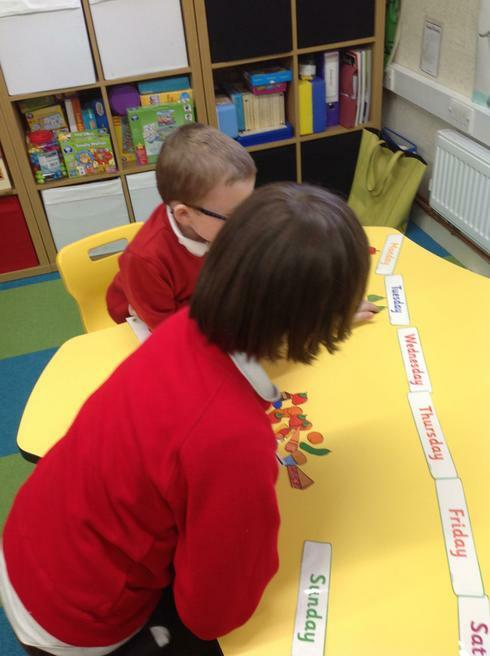 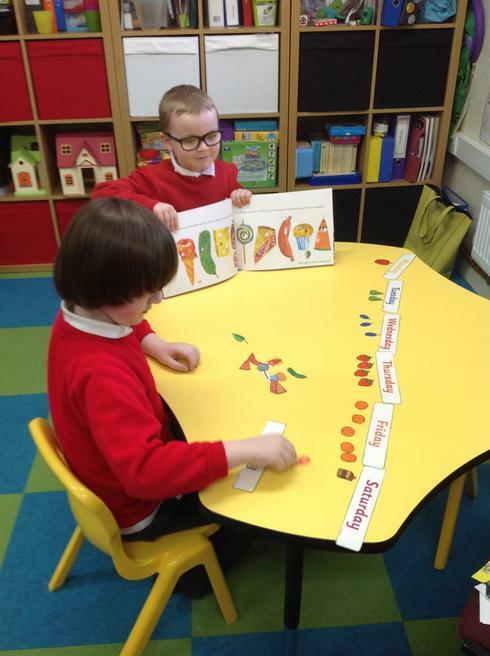 Ordering the foods eaten by 'The Very Hungry Caterpillar'. 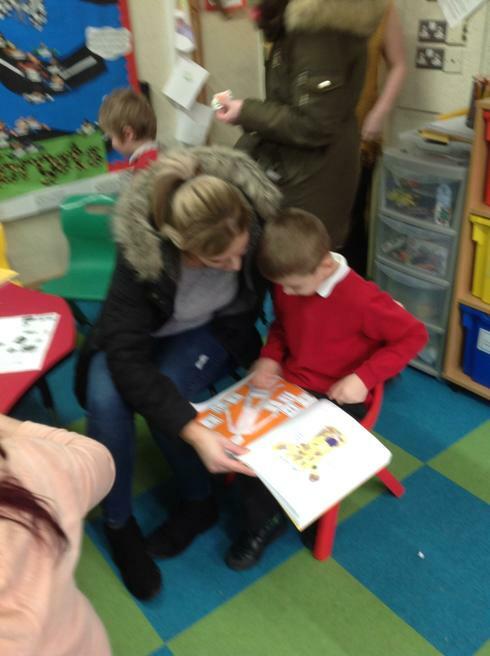 On Thursday 7th March we celebrated 'World Book Day'. 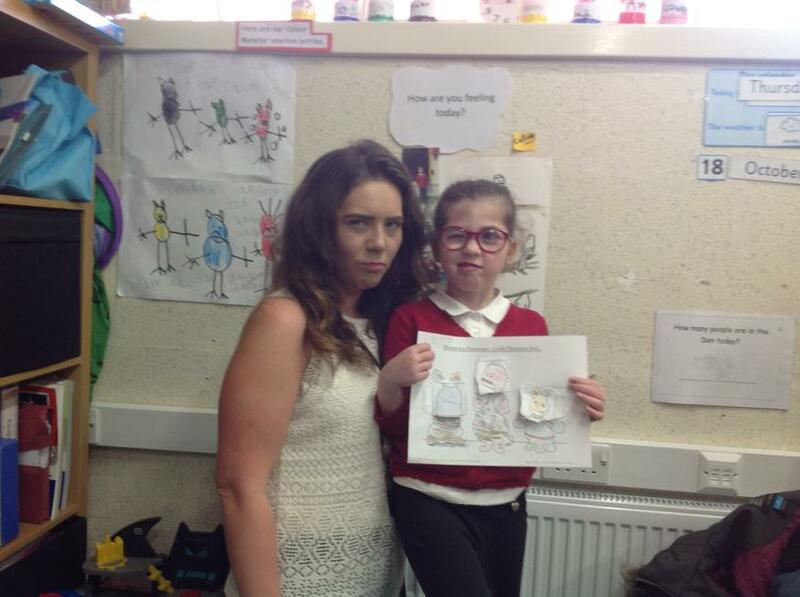 The Den children dressed up and looked amazing!! 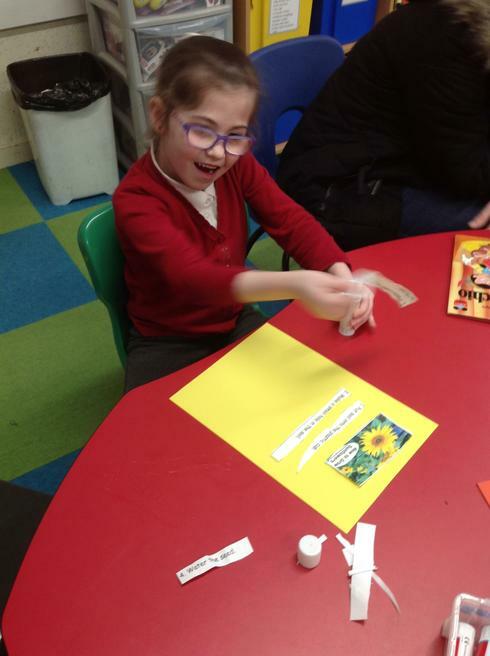 This afternoon in the 'Watch Me Learn' day we planted sunflower seeds and then we created a How to Plant a Sunflower leaflet. 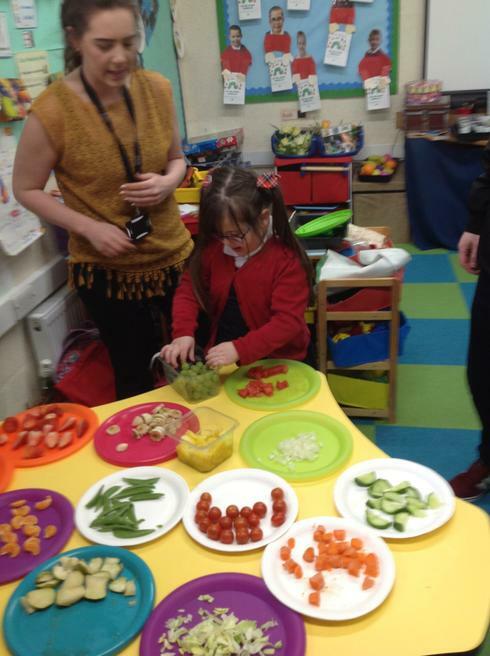 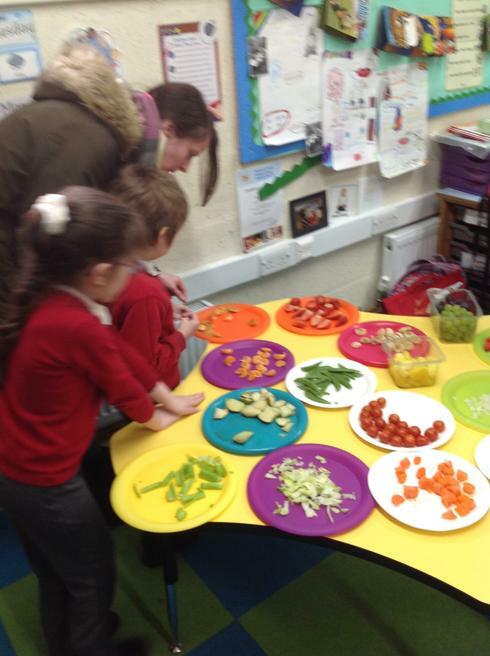 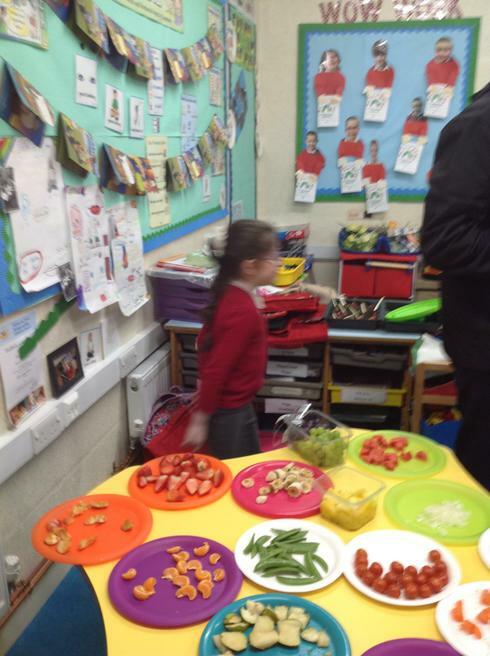 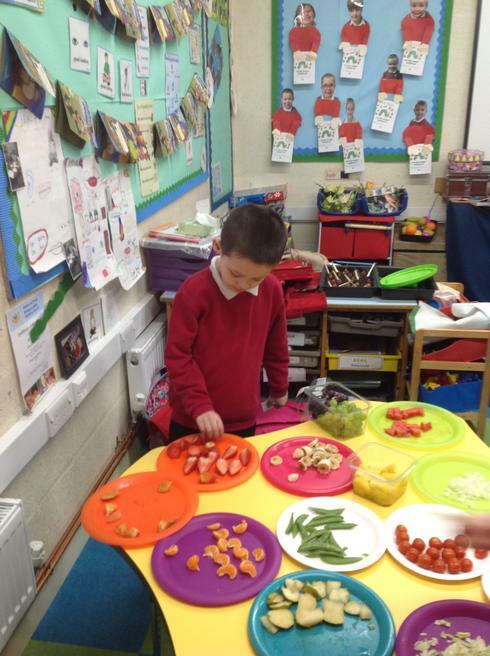 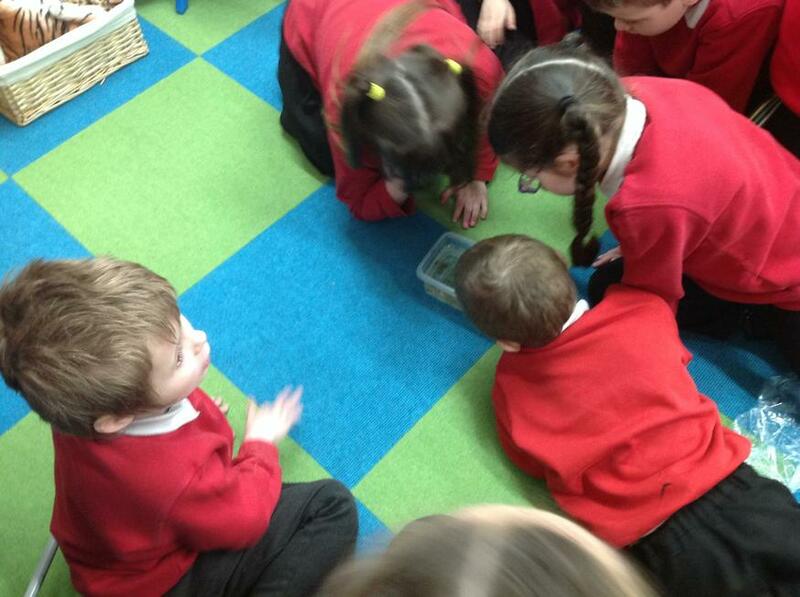 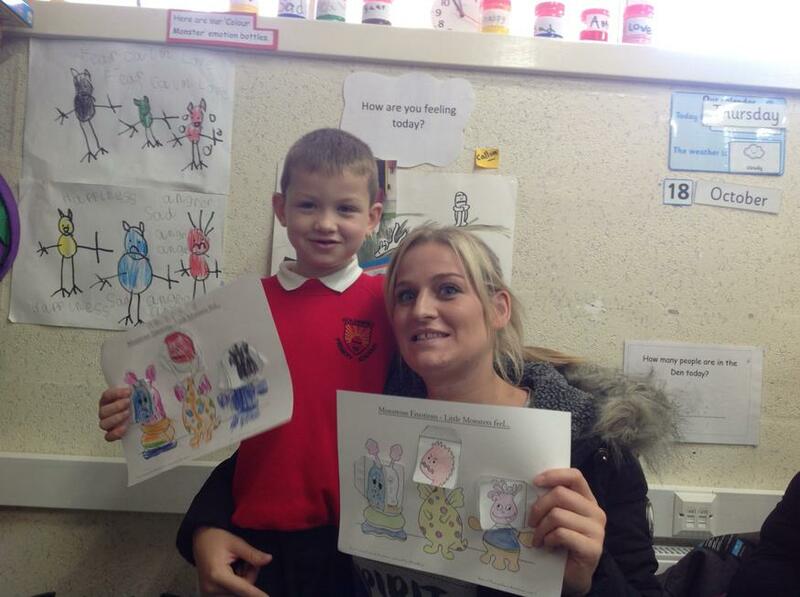 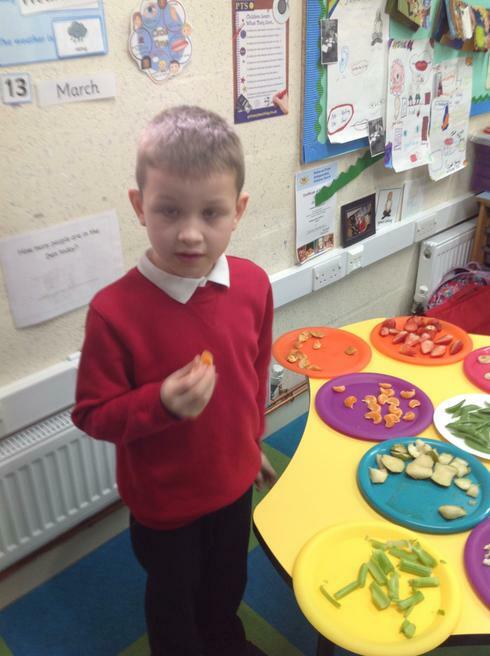 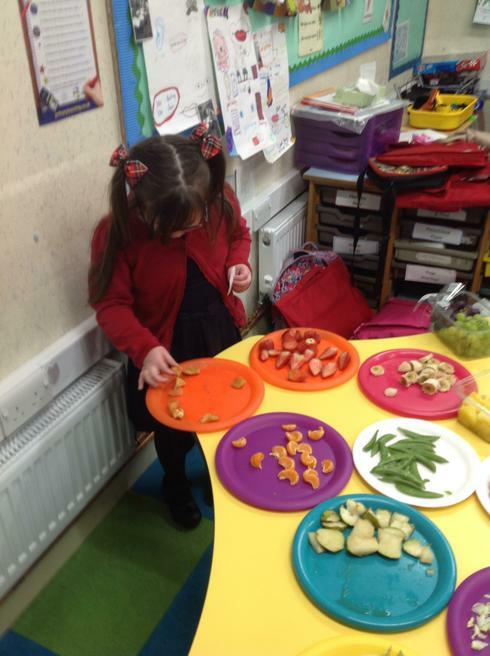 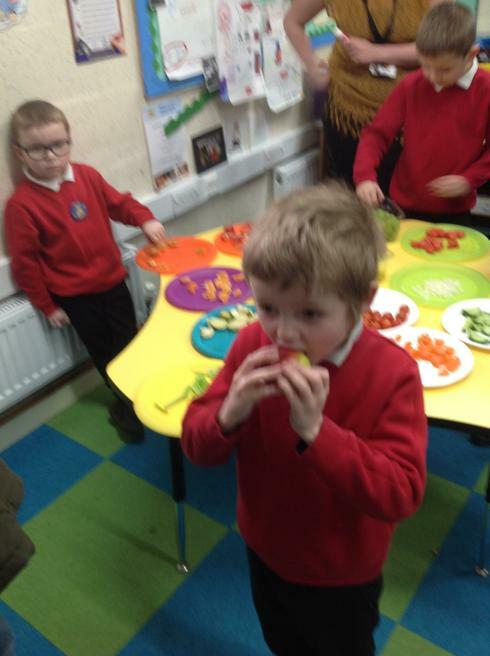 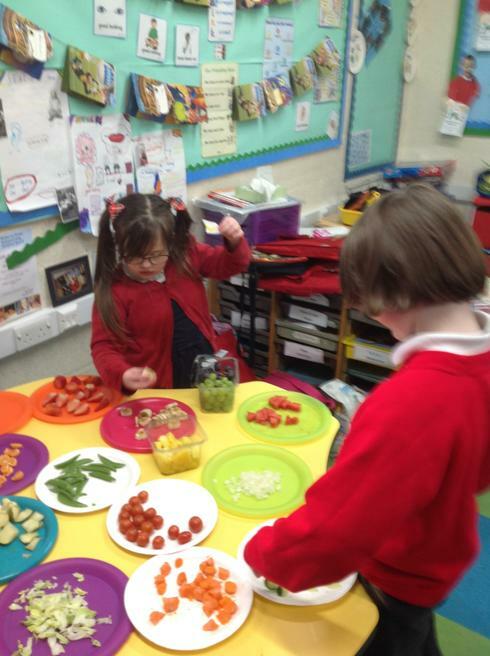 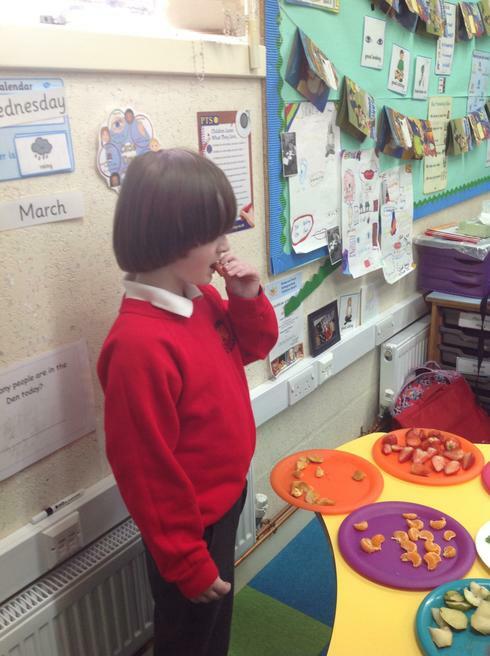 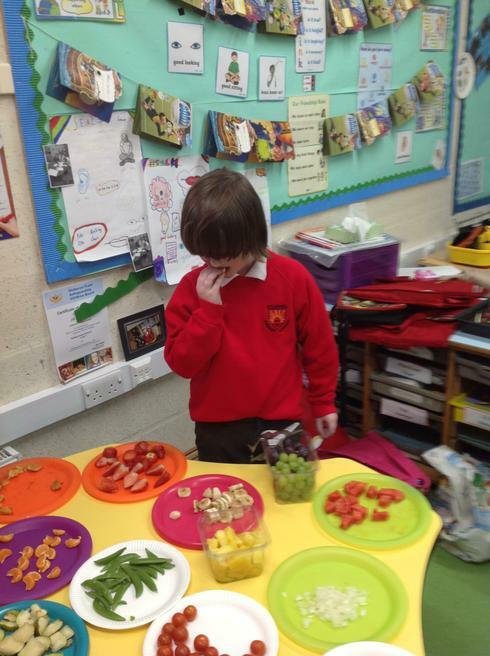 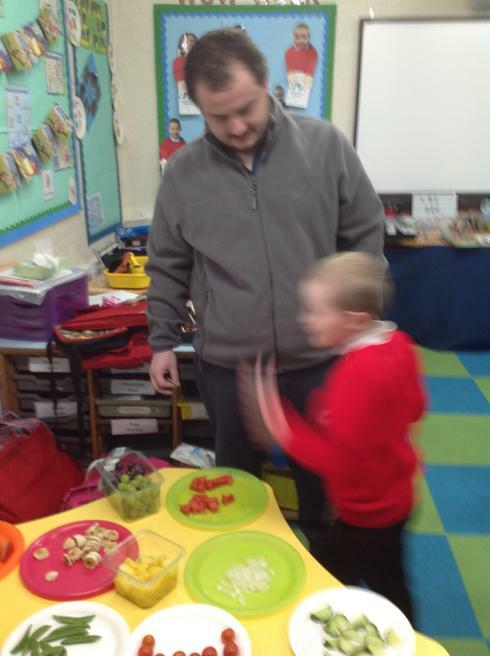 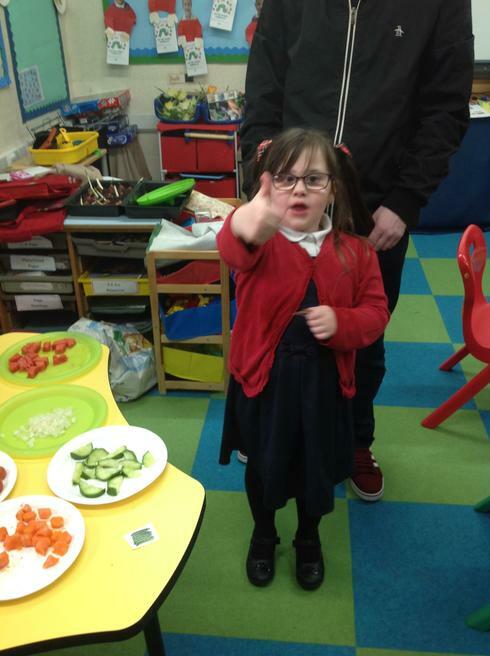 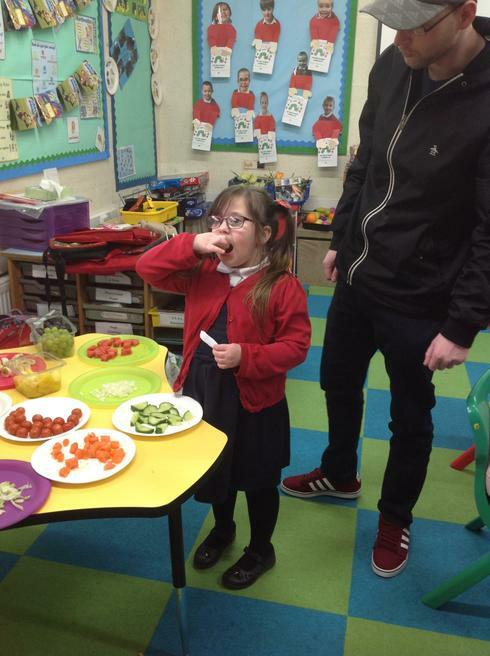 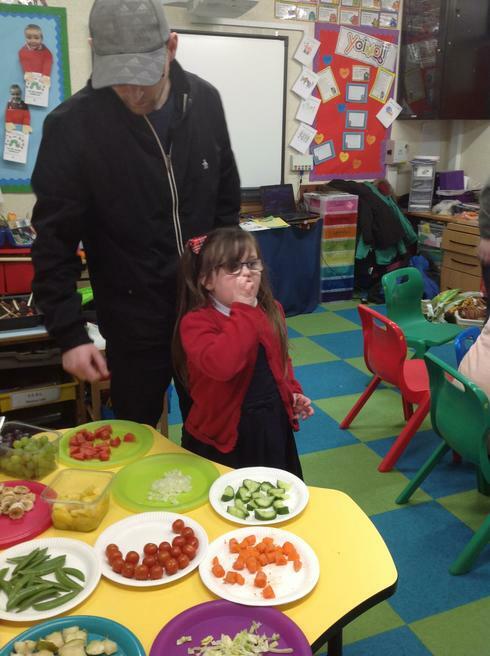 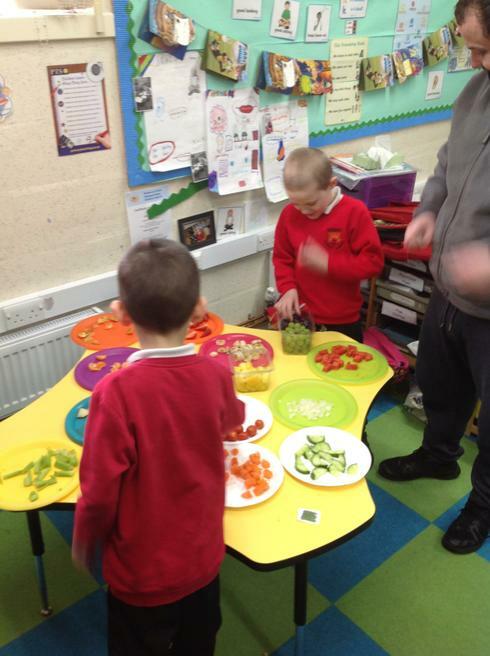 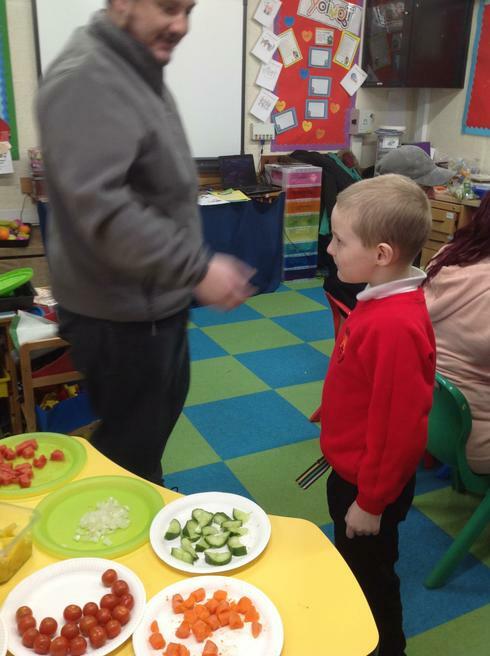 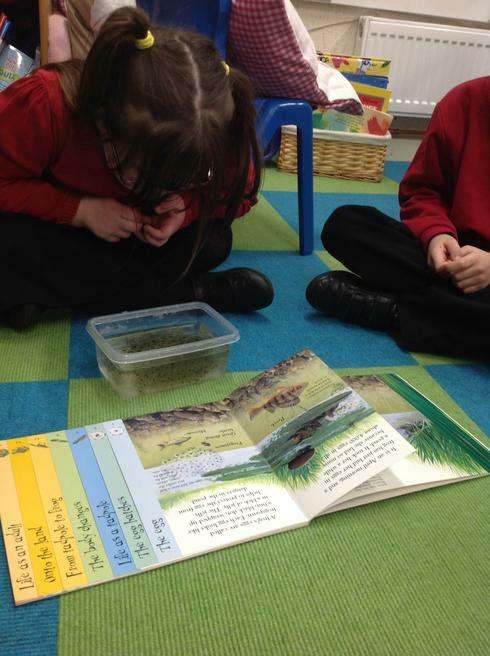 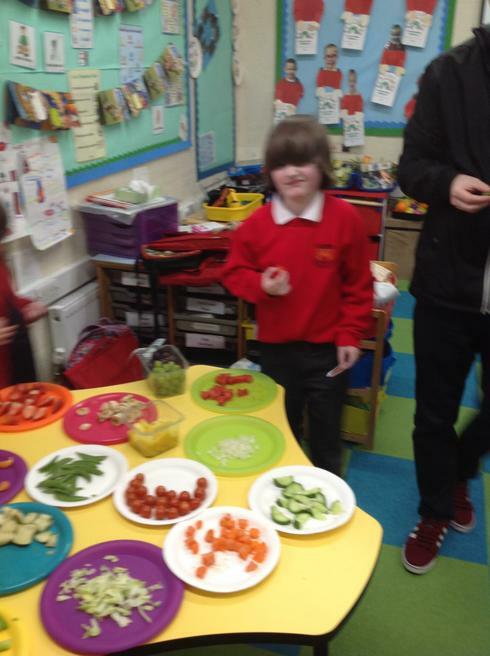 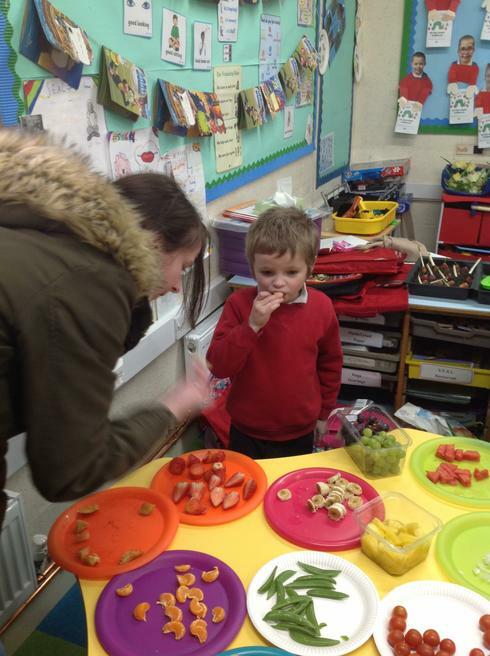 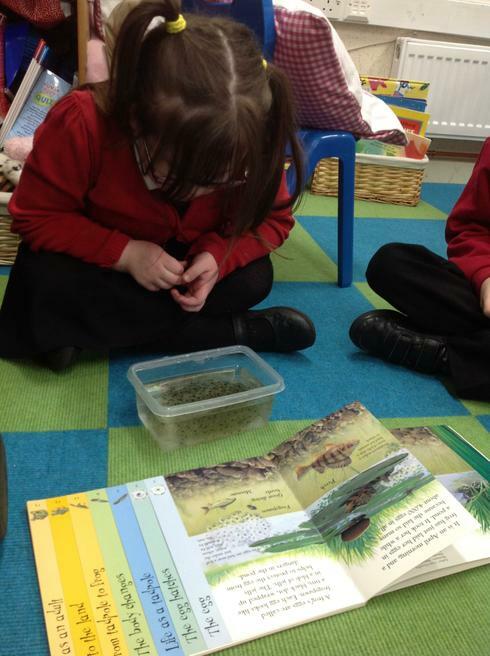 We also had a tasting session, tasting all the foods that 'The Very Hungry Caterpillar' ate. Once we tasted the foods we then had to complete a worksheet to show which foods were liked and which were not liked. 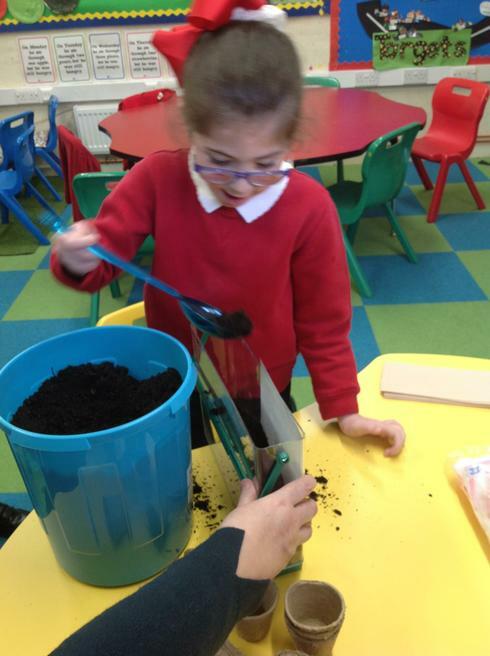 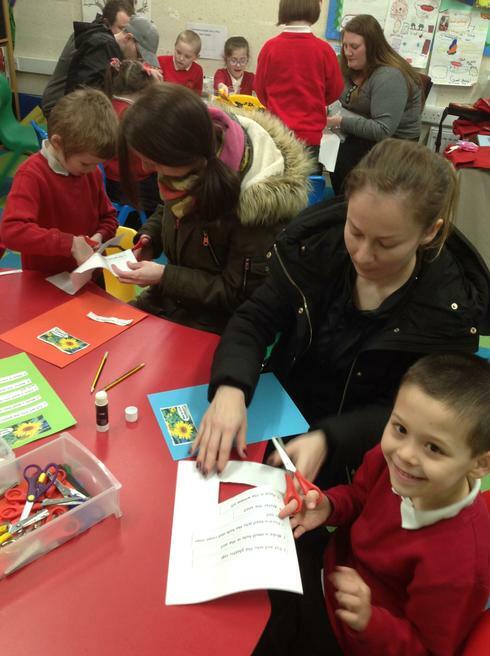 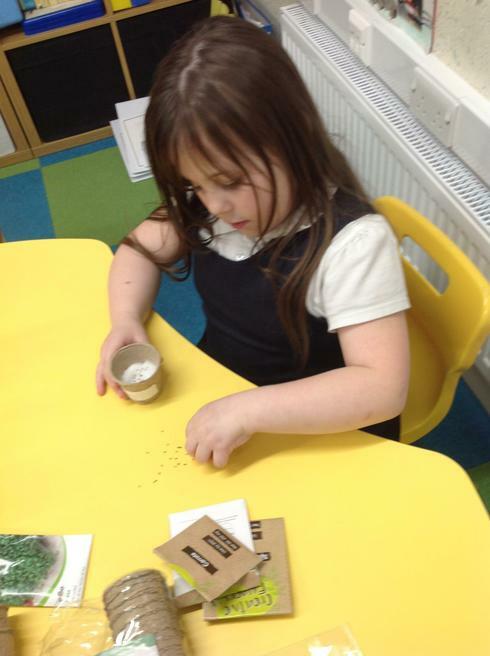 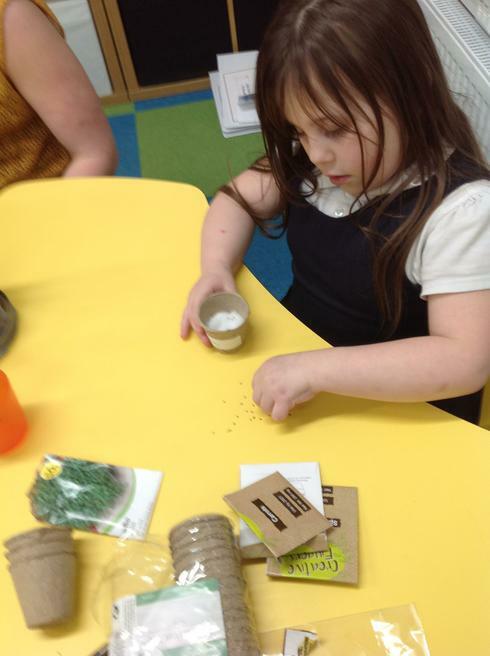 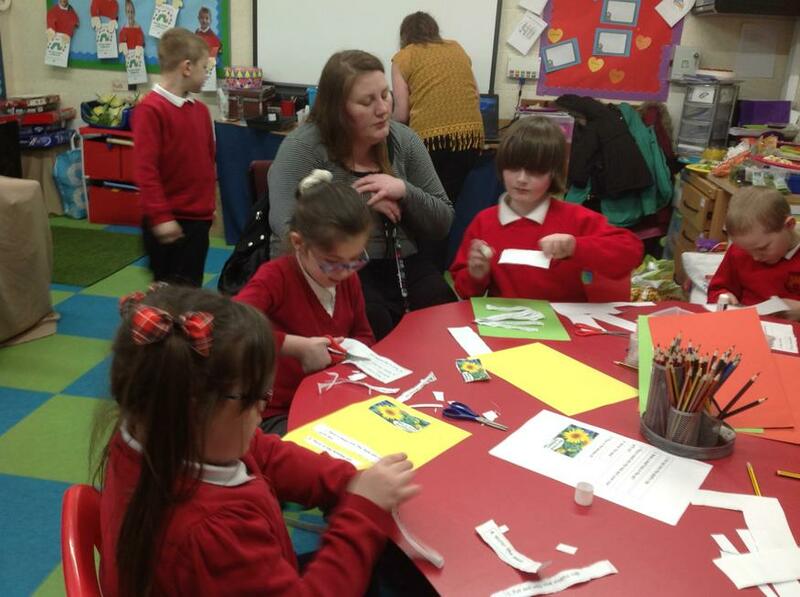 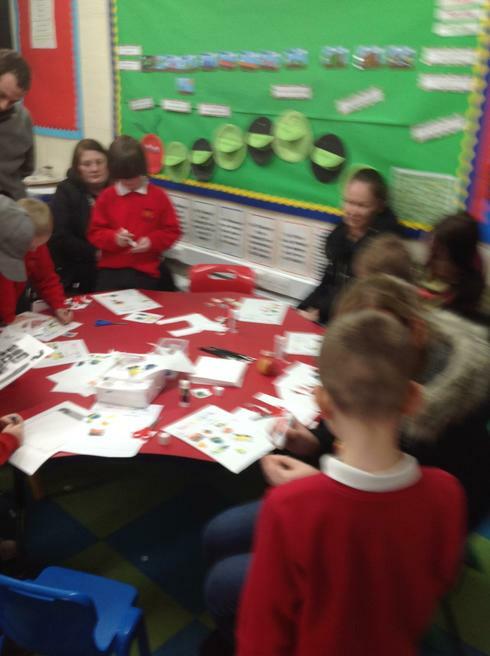 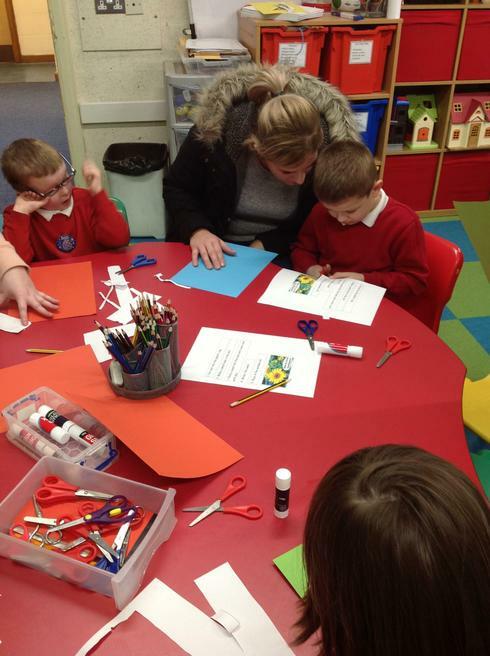 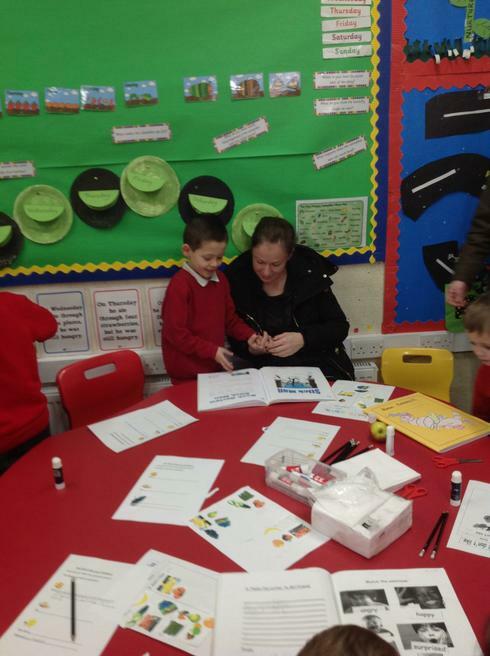 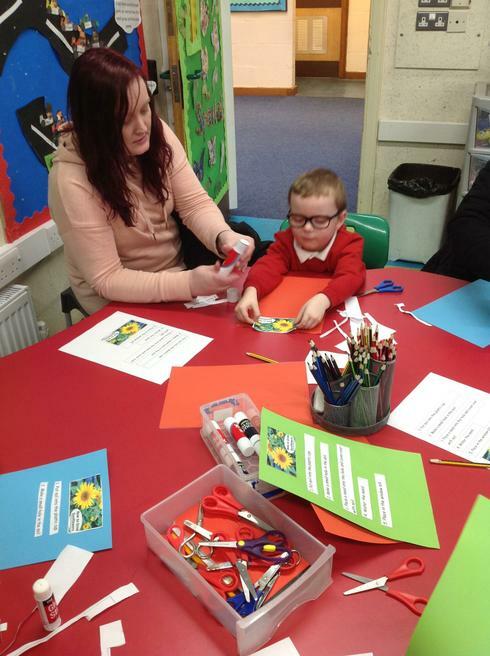 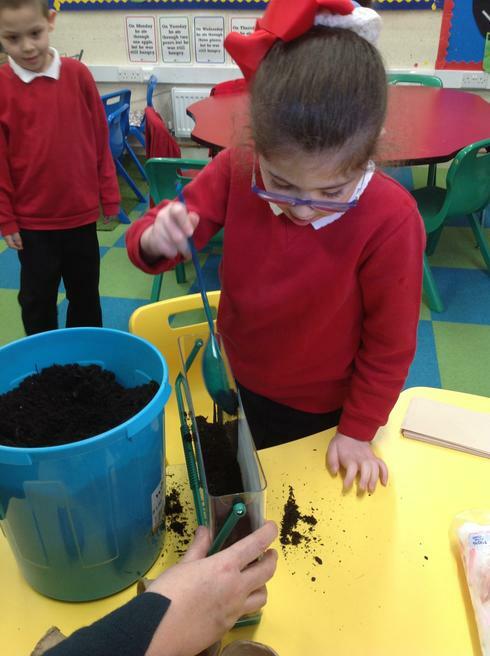 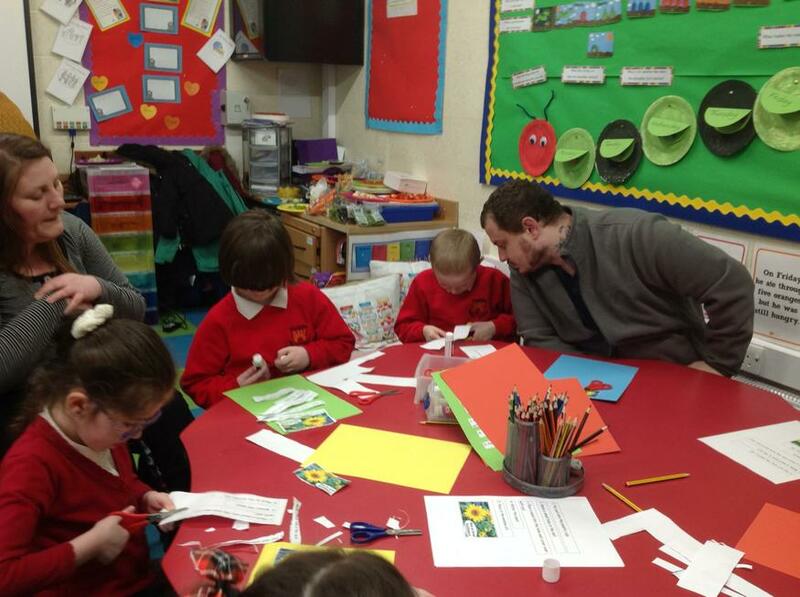 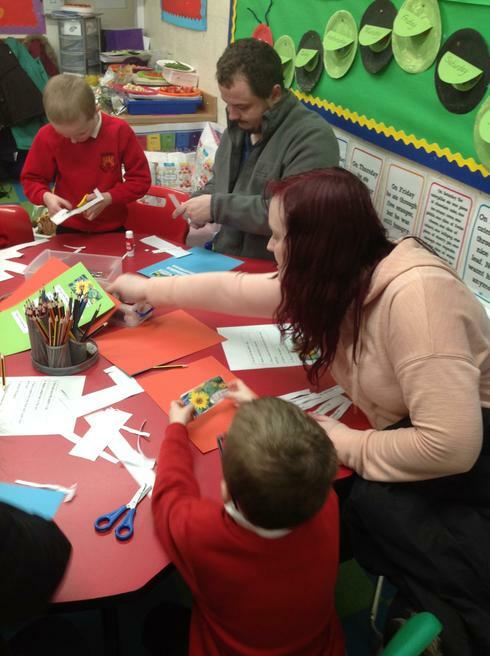 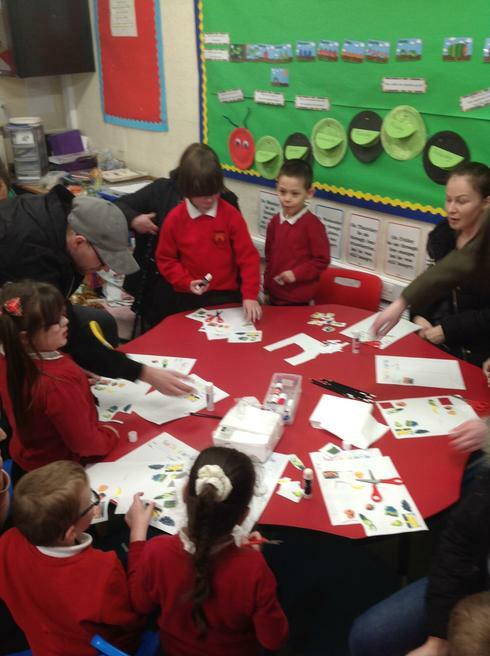 'Watch Me Learn' Planting the Sunflower seeds and creating a planting leaflet. 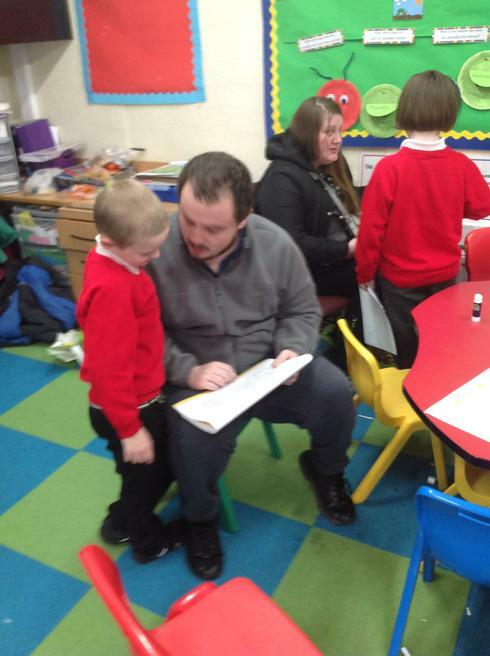 Watch Me Learn feedback from parents 13th March 2019. 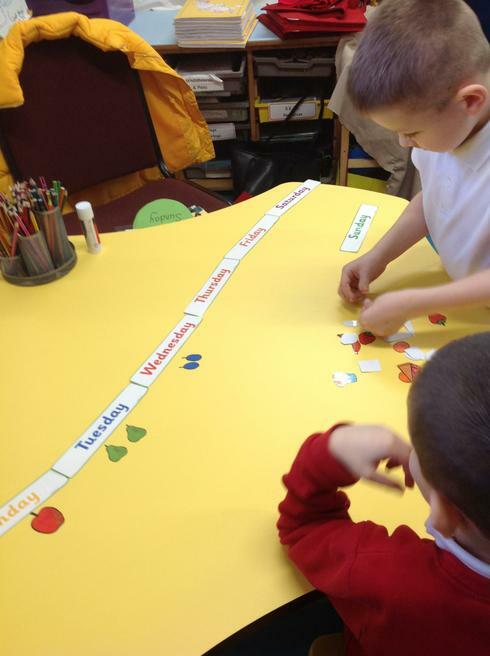 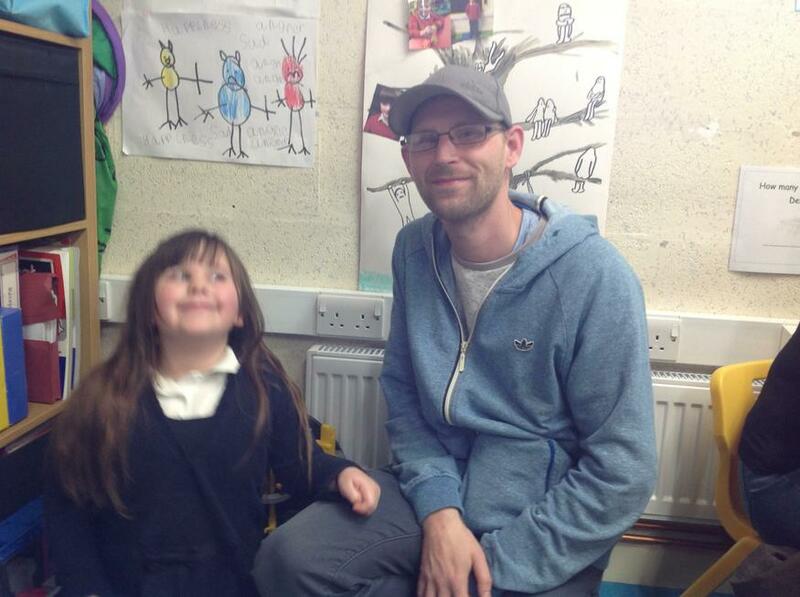 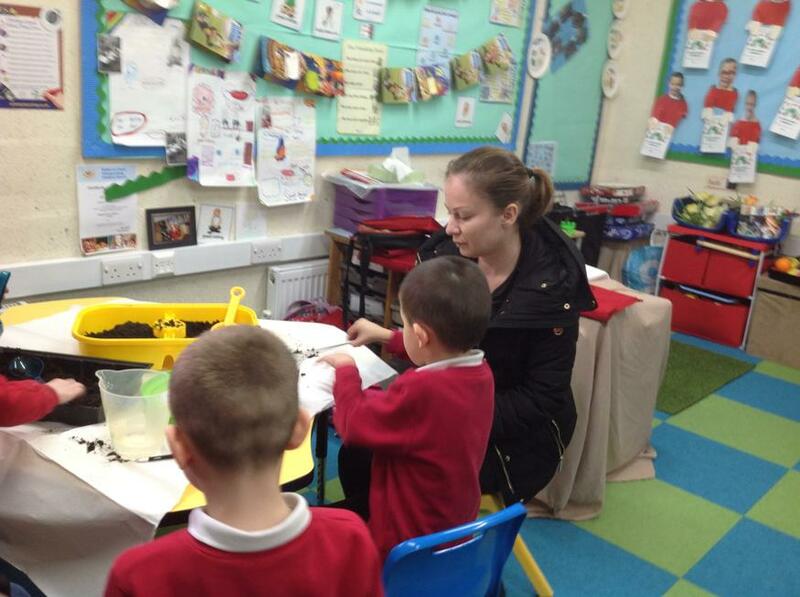 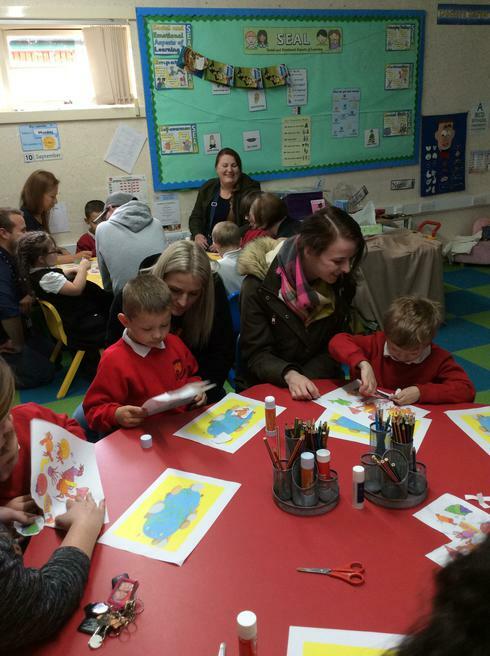 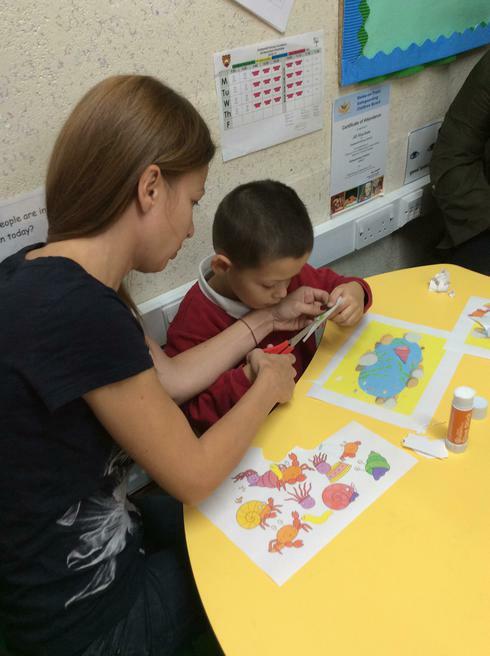 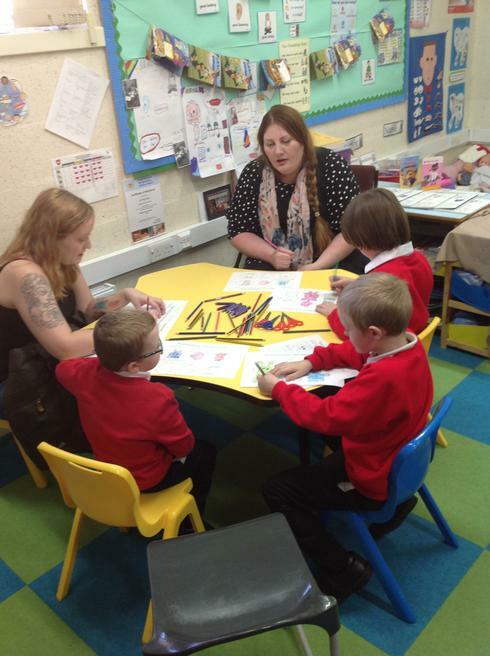 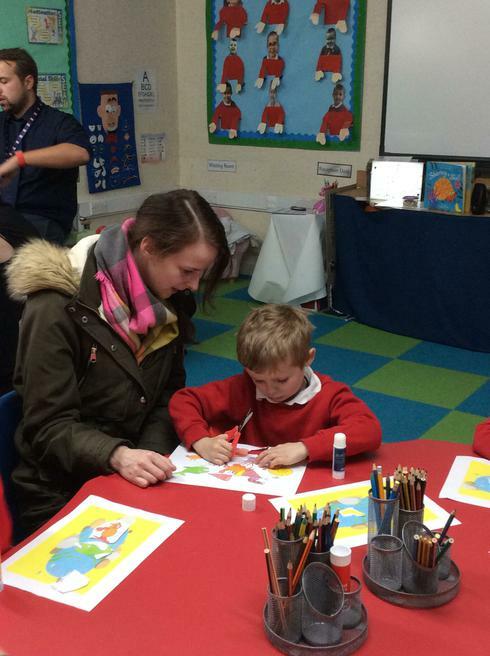 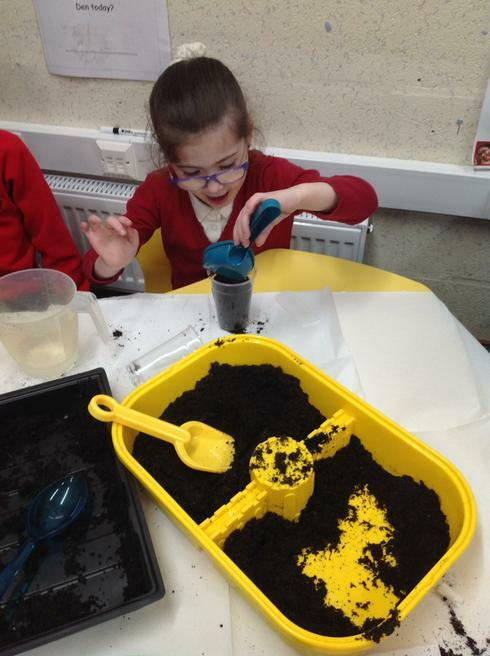 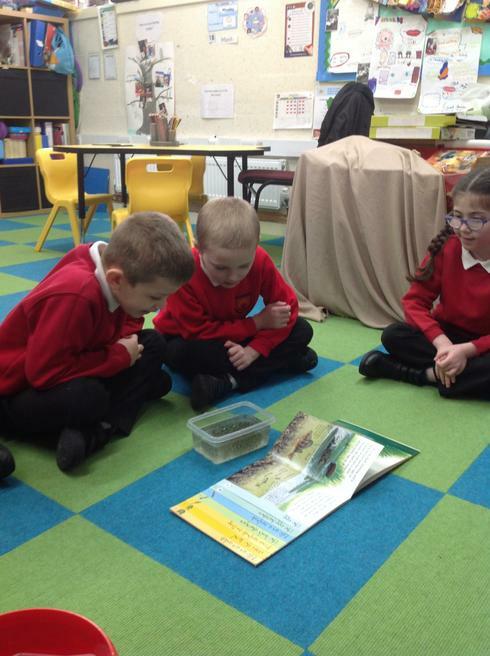 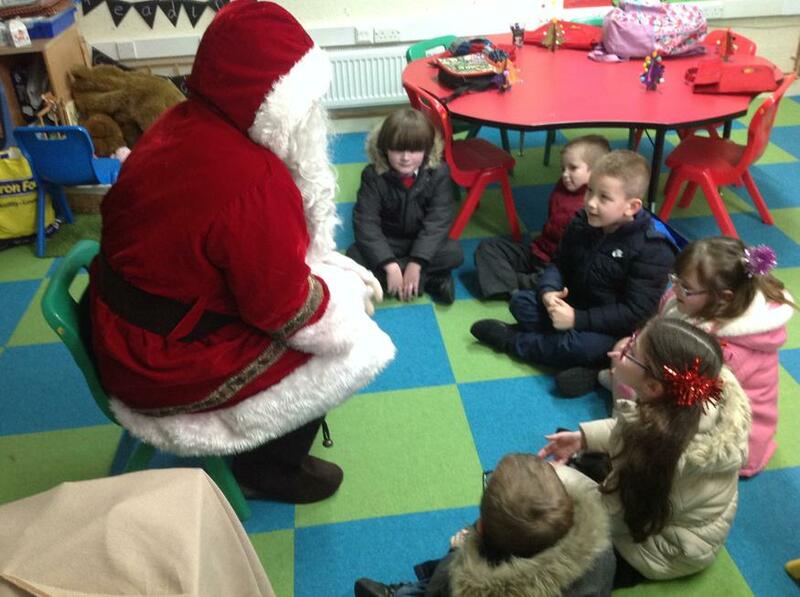 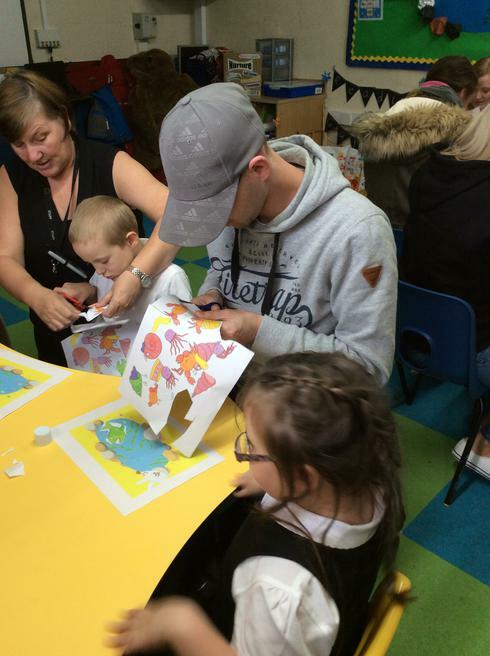 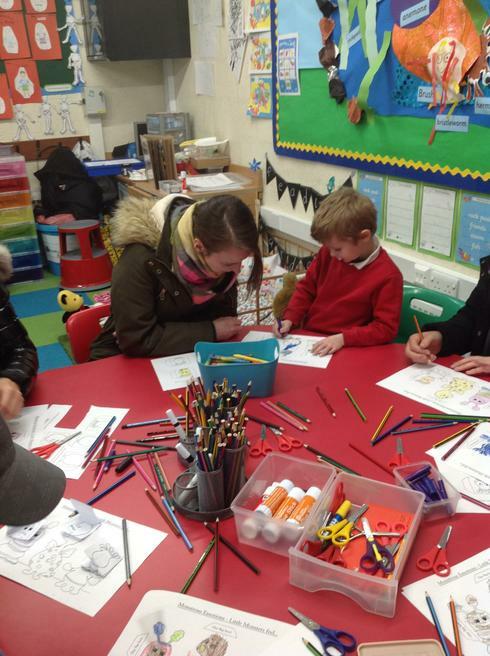 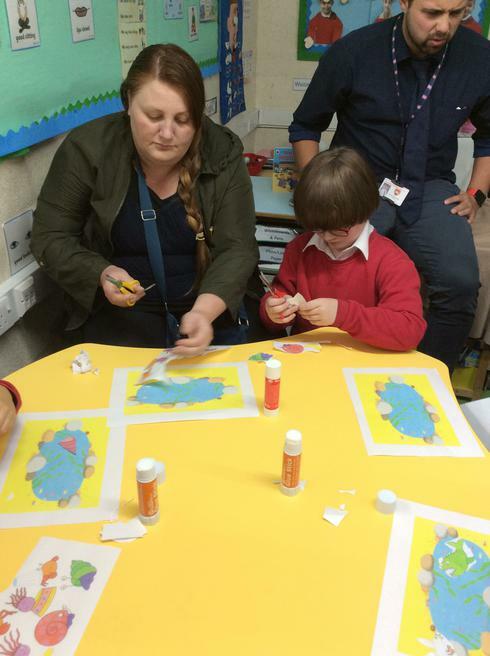 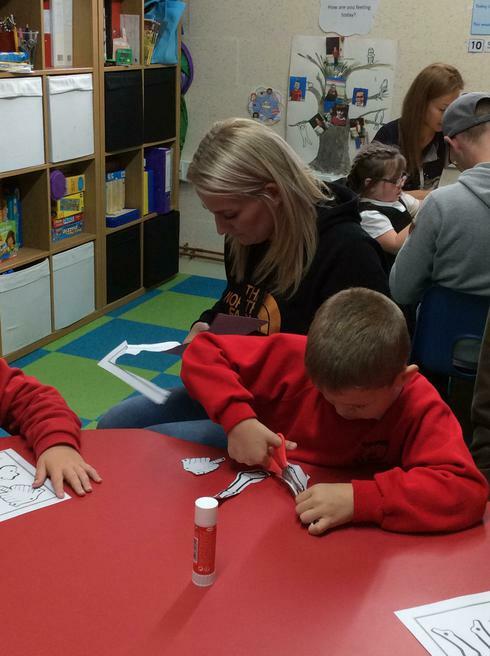 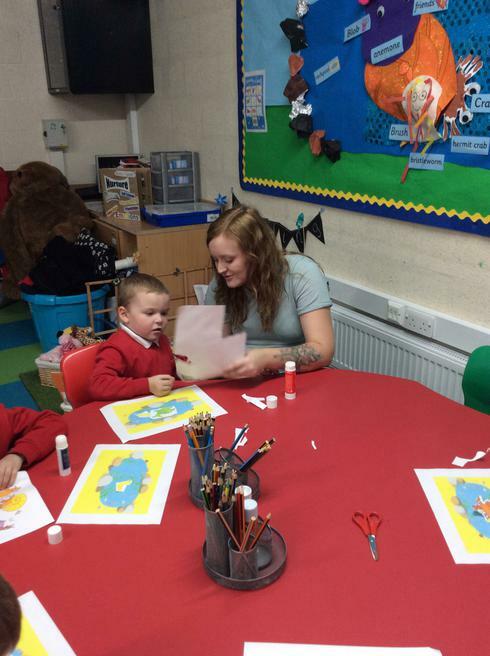 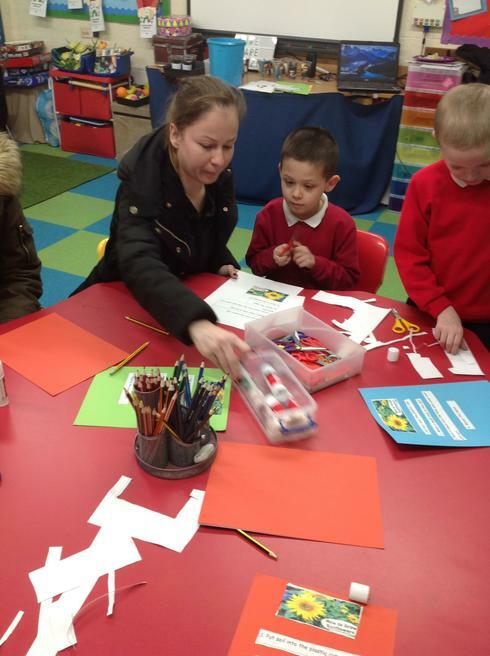 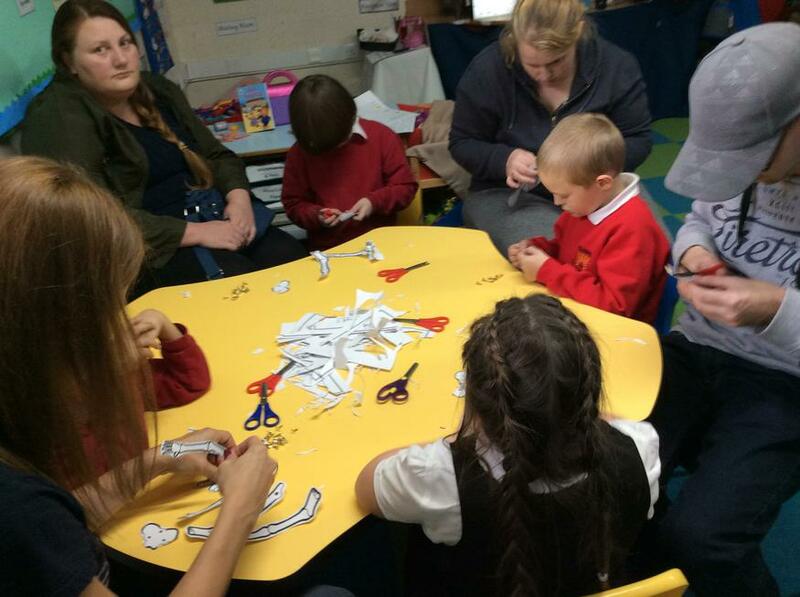 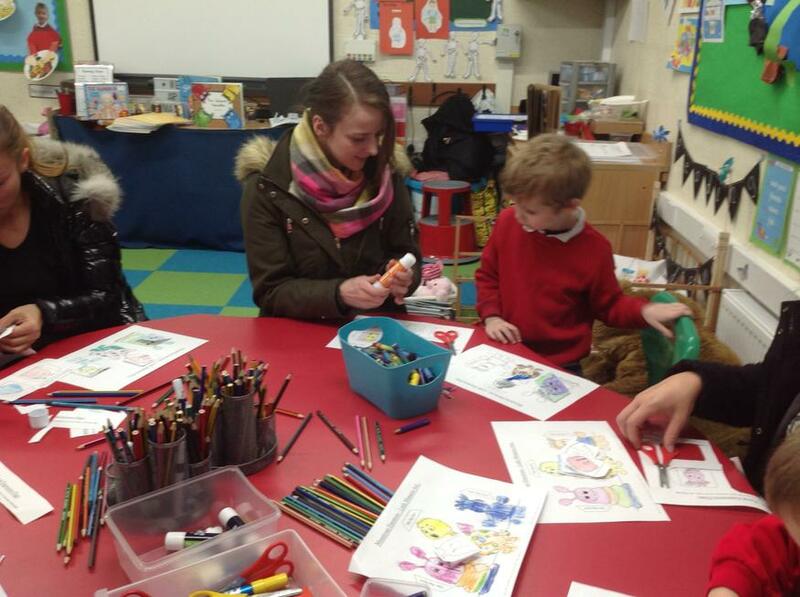 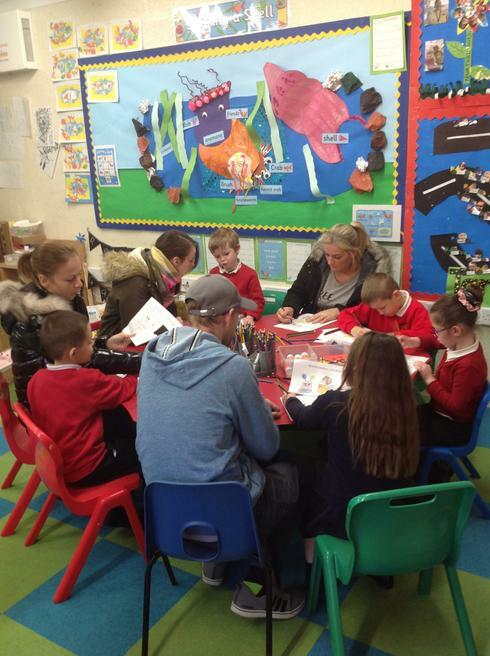 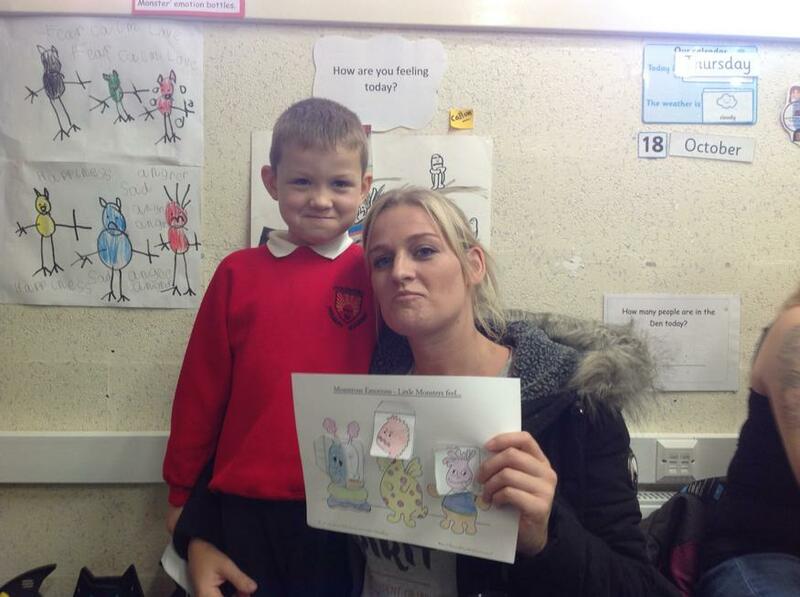 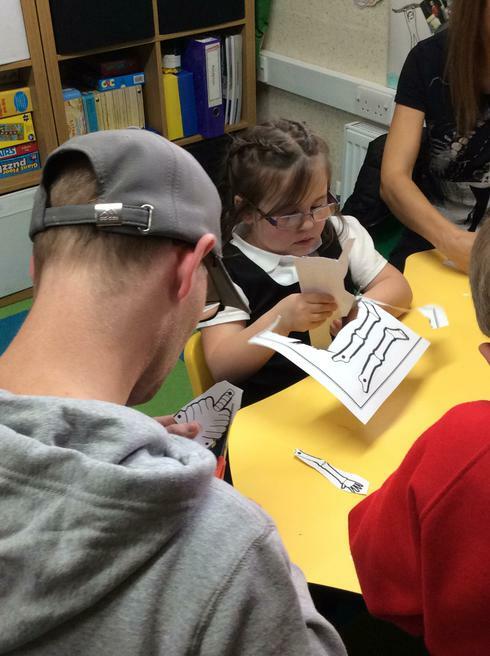 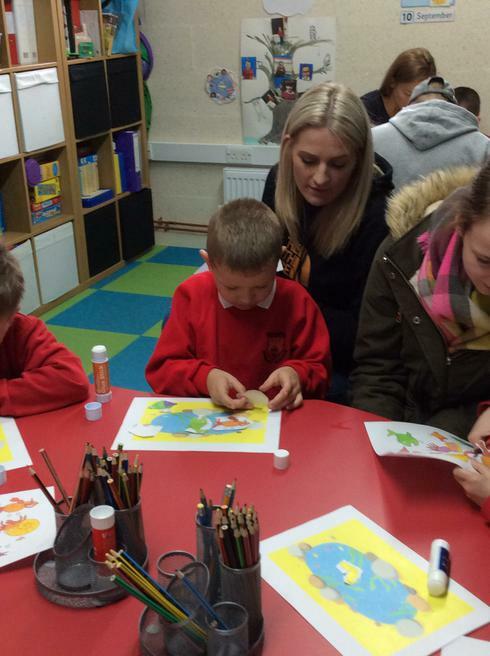 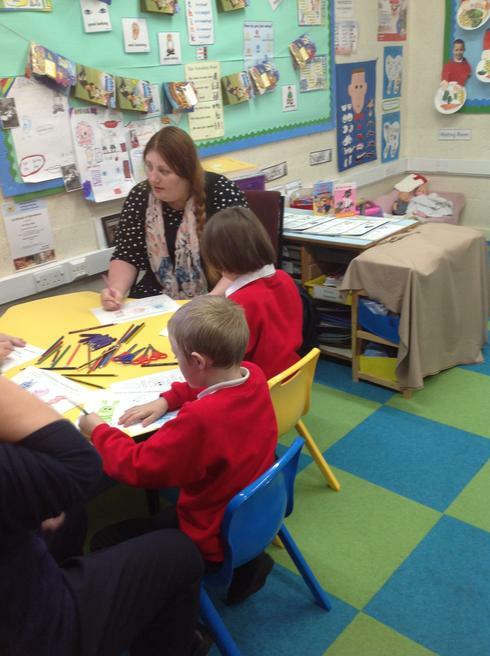 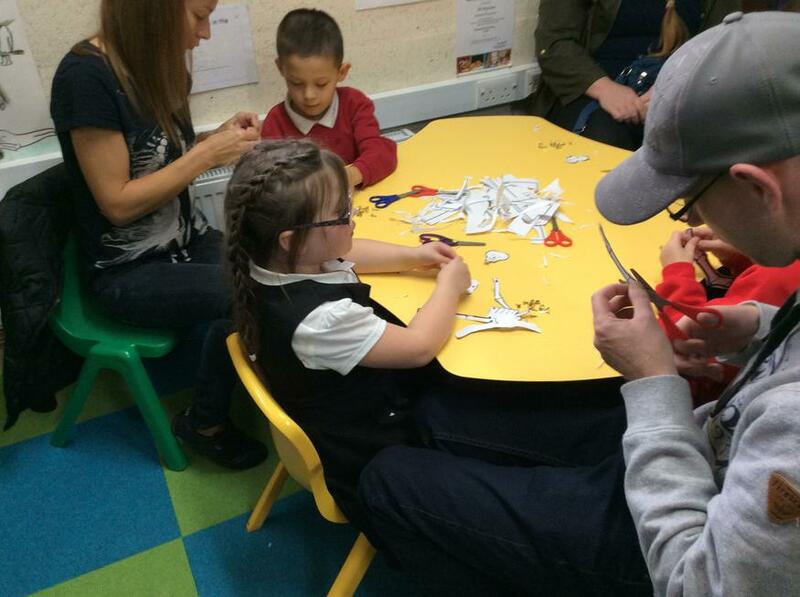 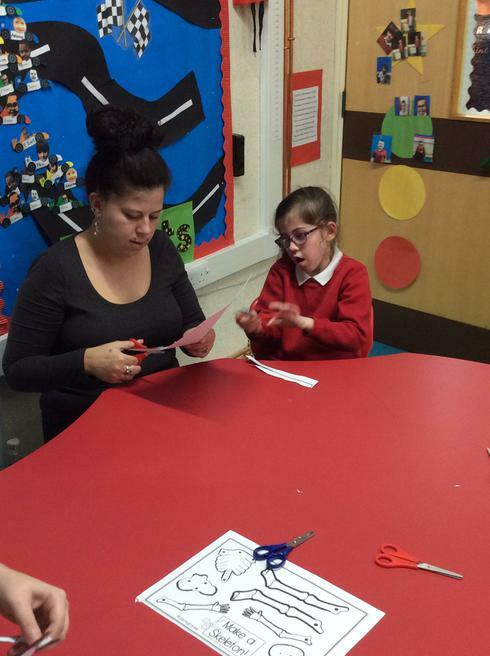 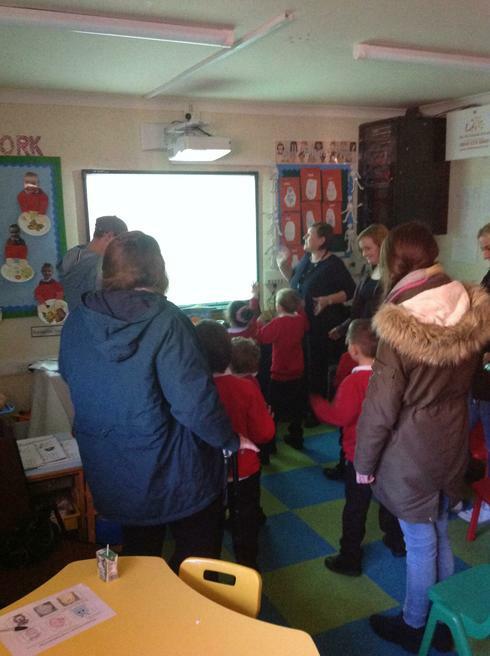 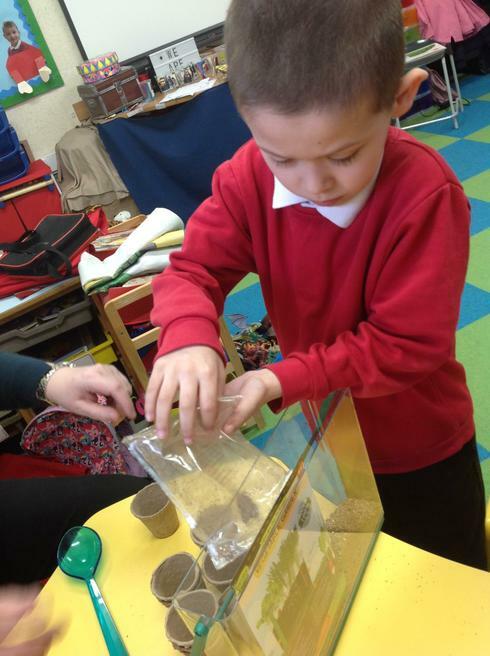 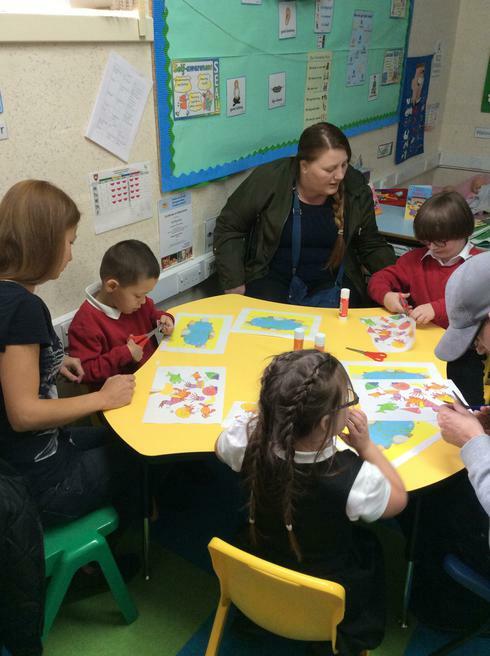 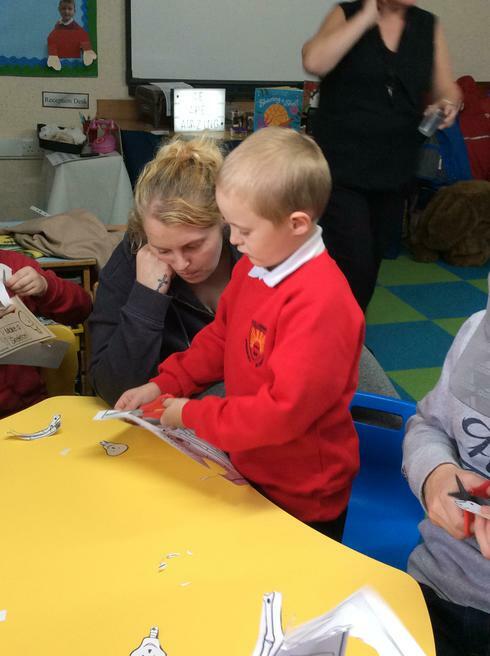 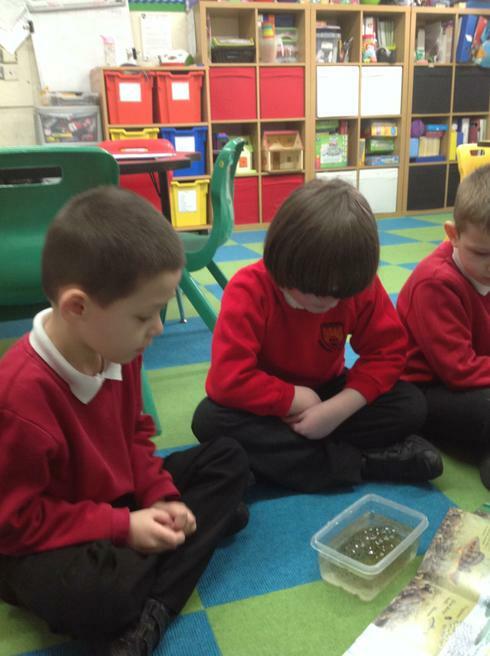 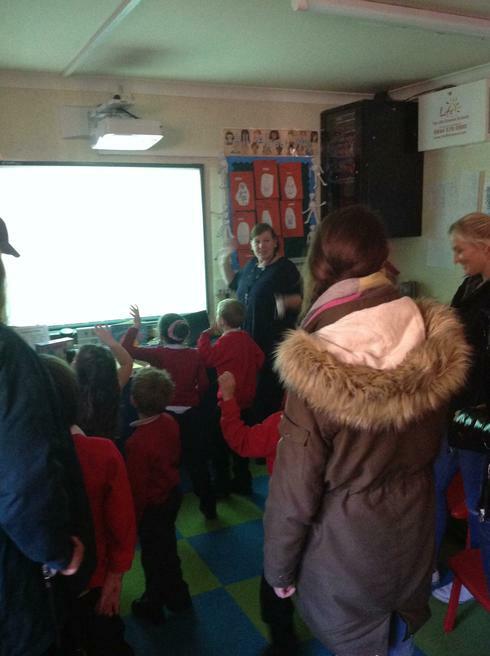 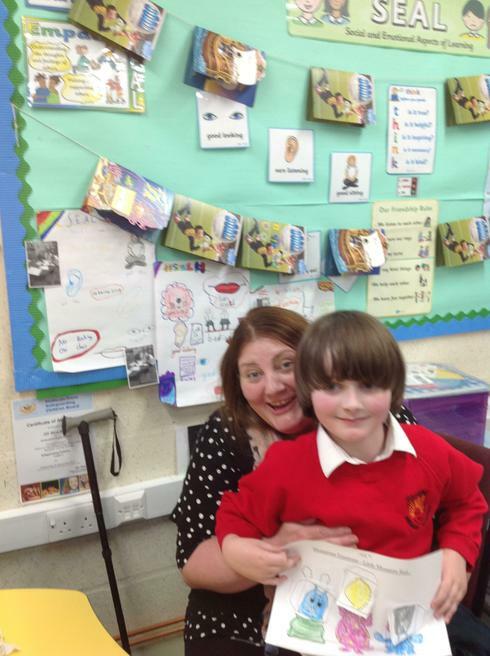 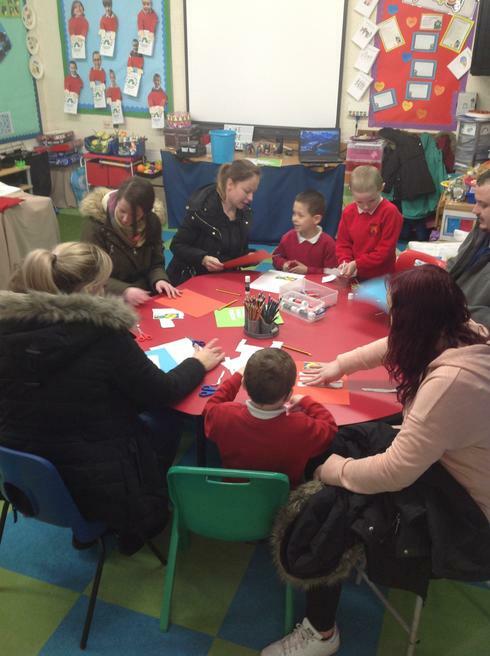 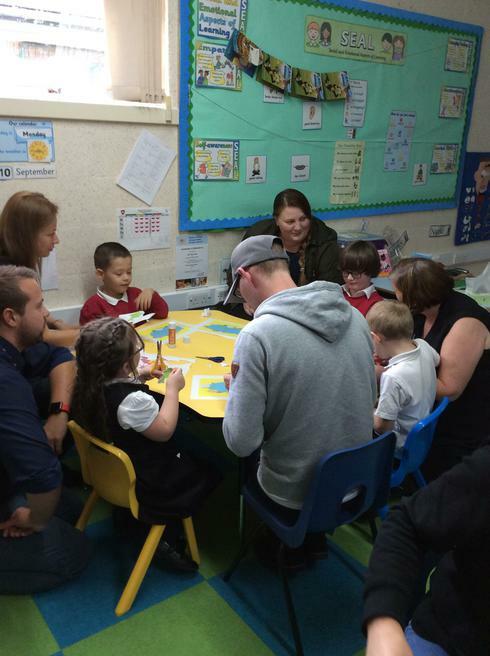 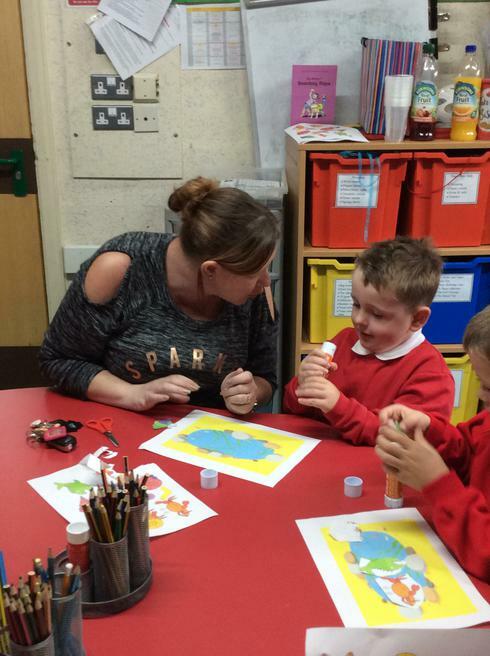 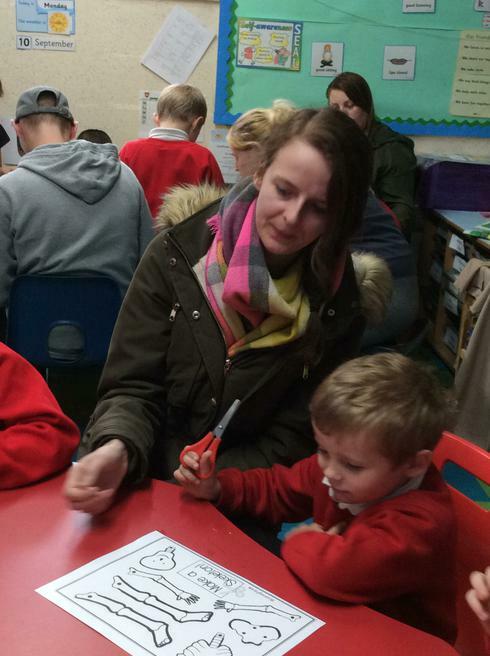 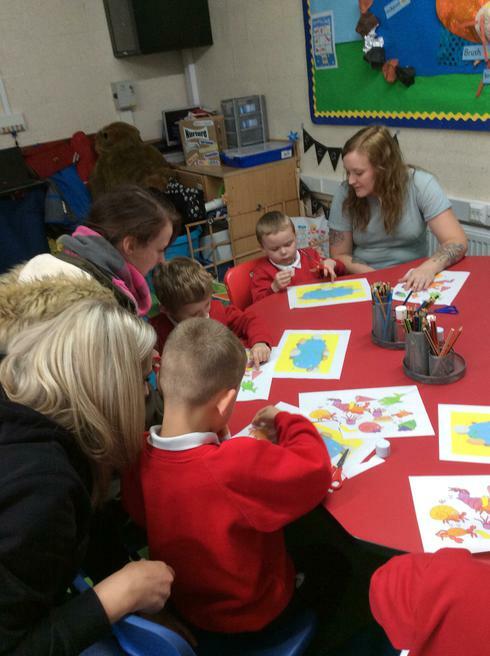 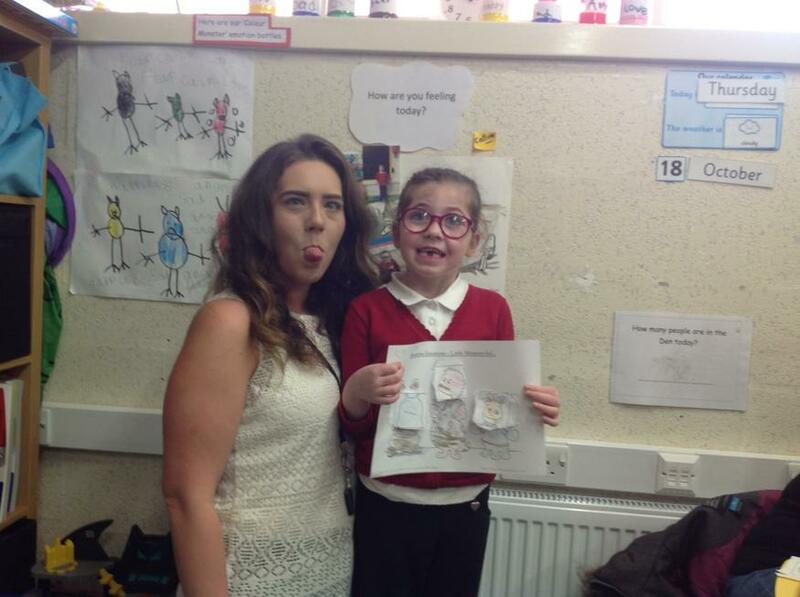 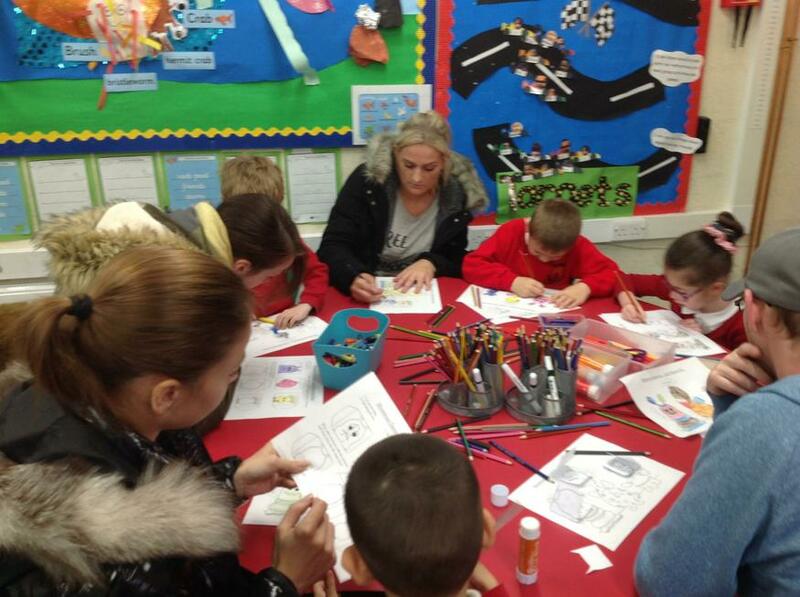 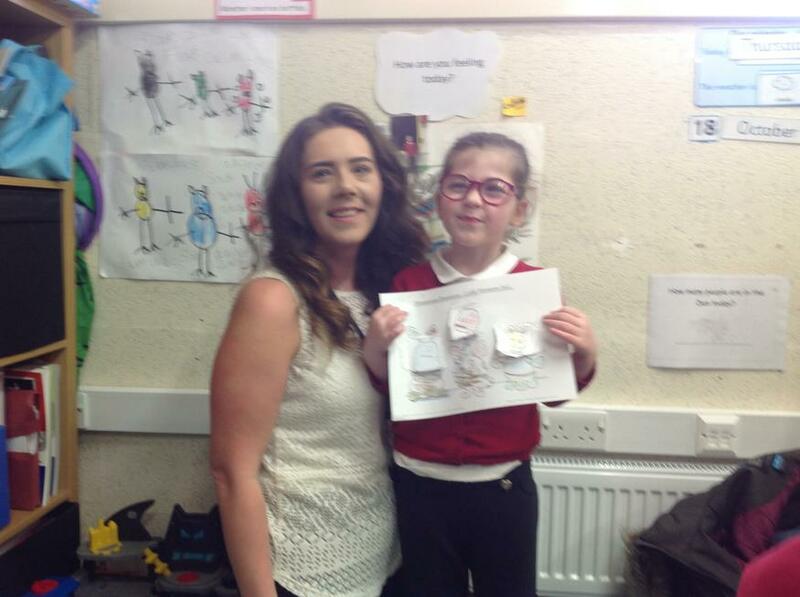 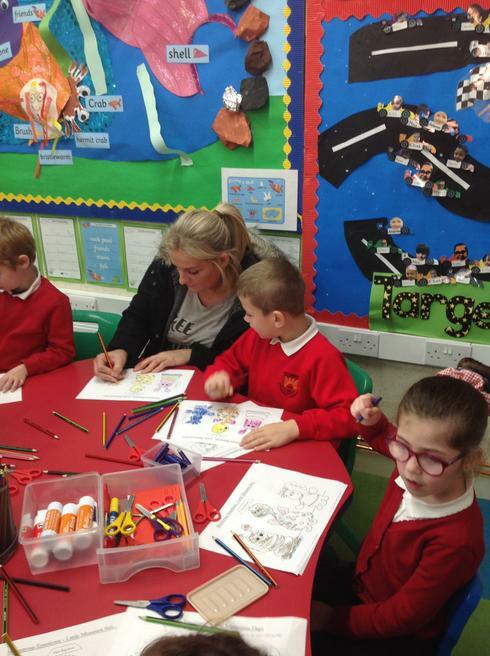 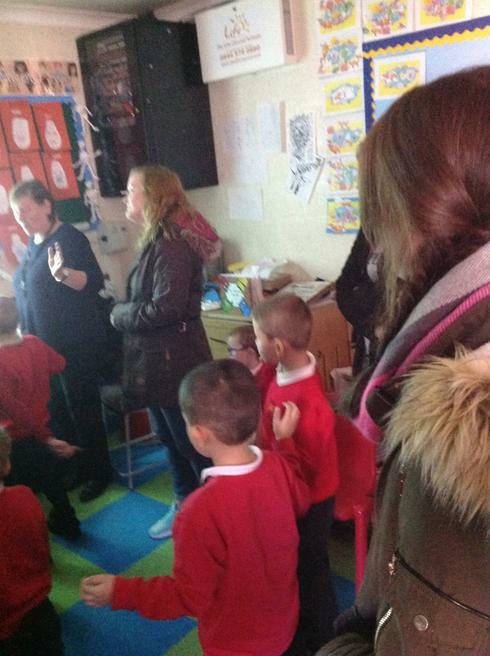 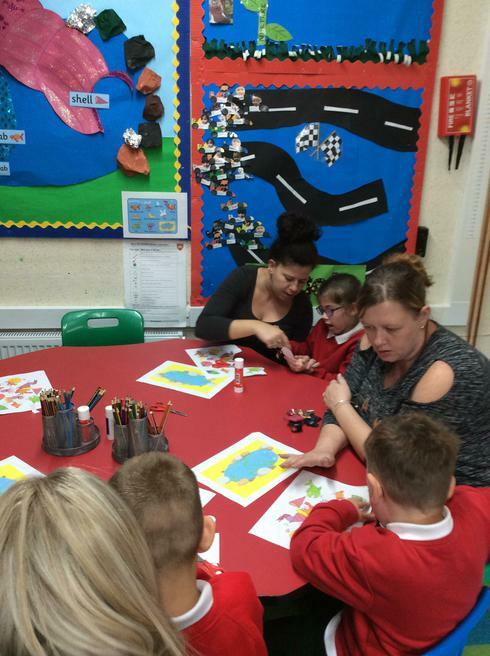 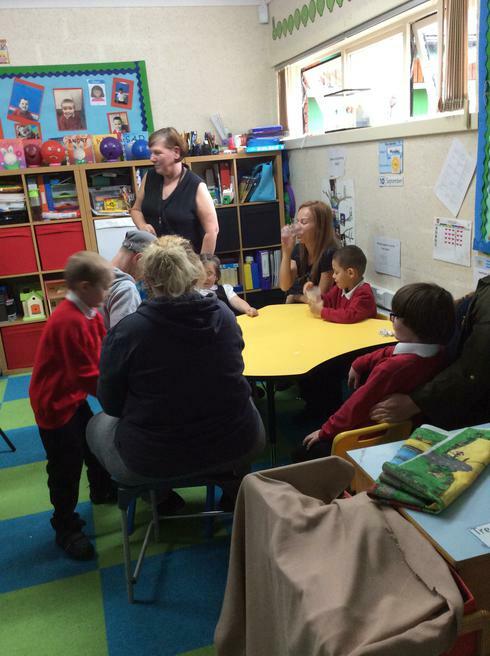 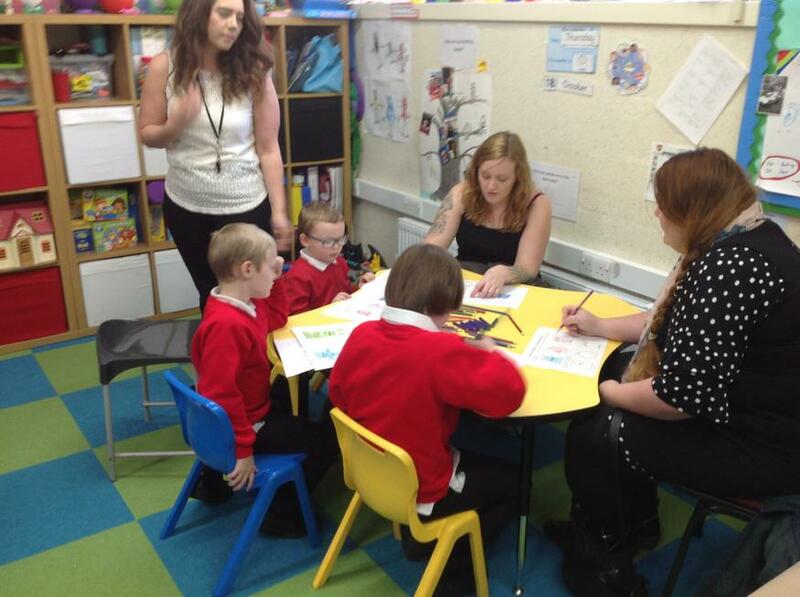 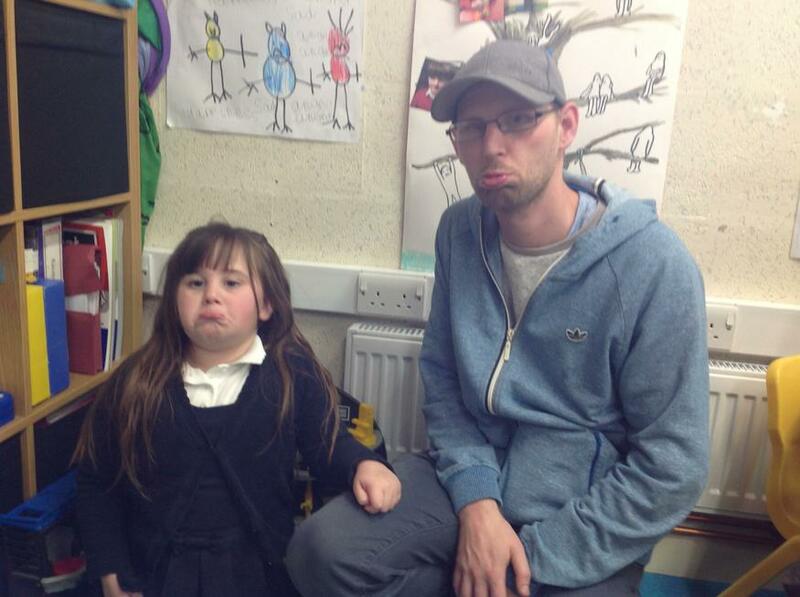 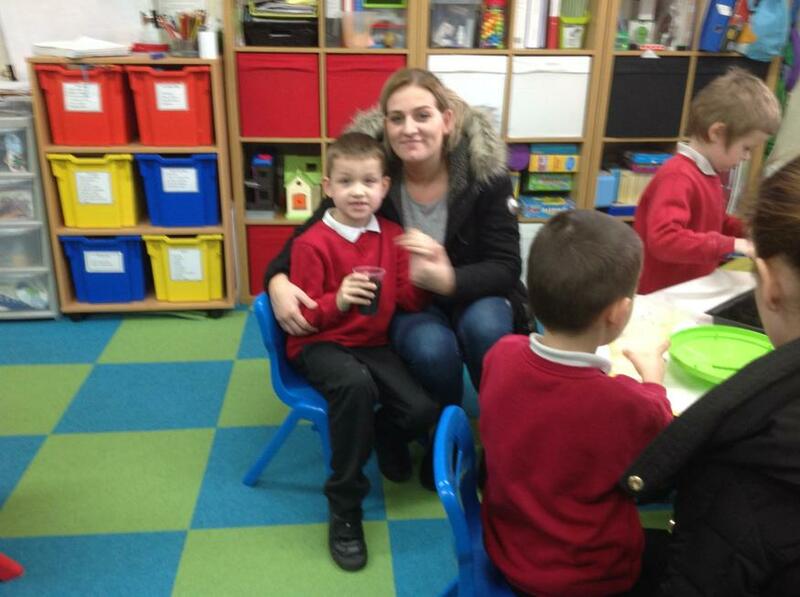 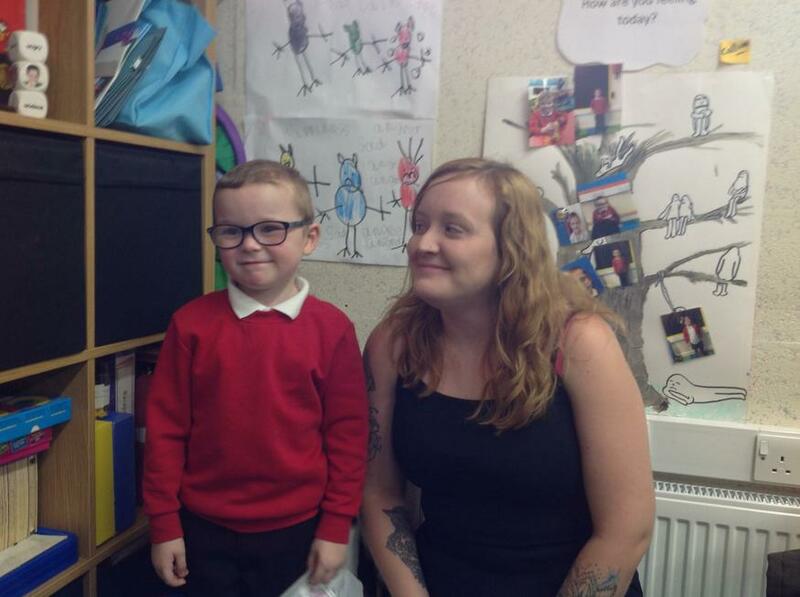 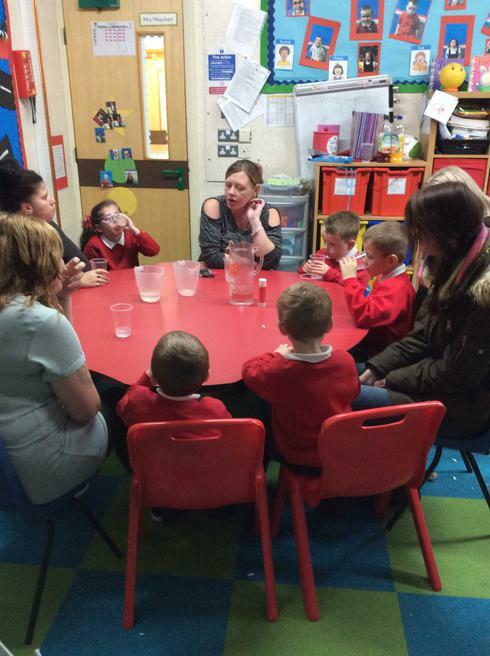 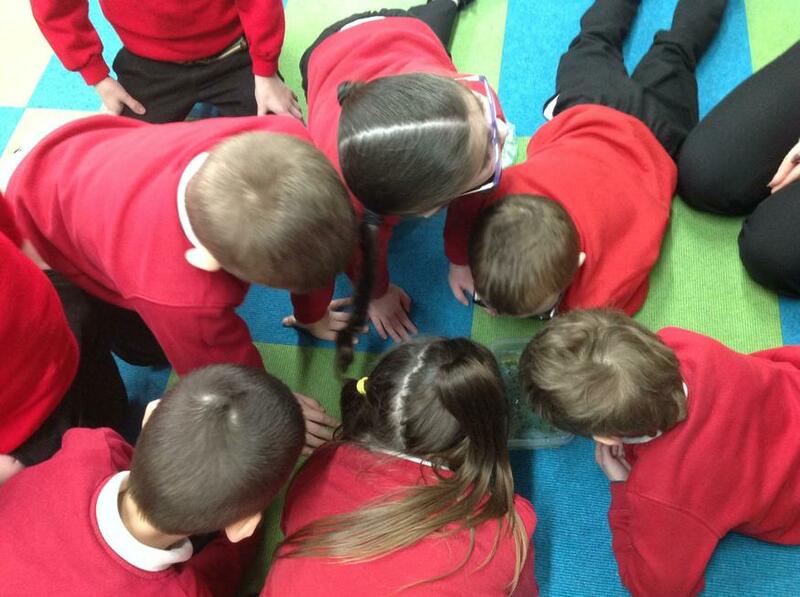 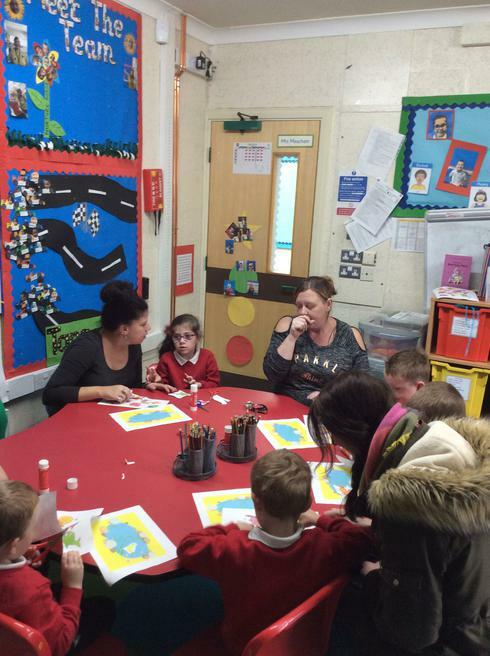 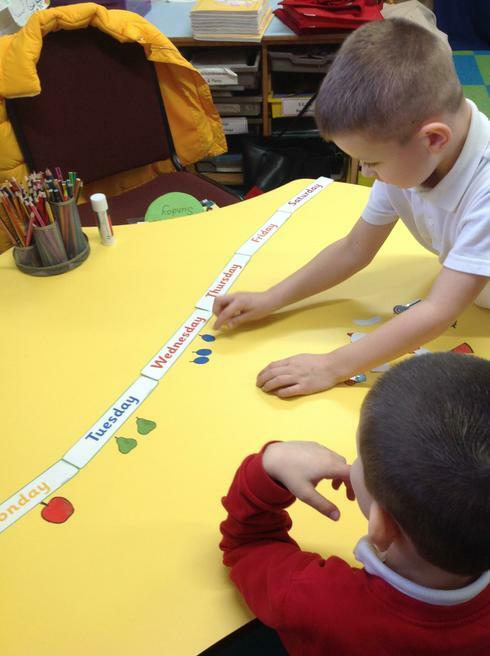 "I liked the variety of activities and watching the relationships the children have with the teaching staff." 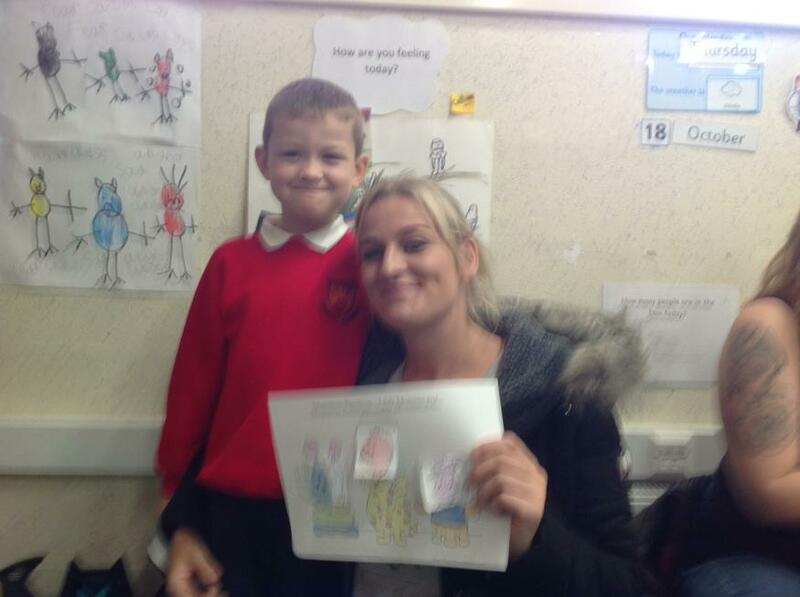 (Ronan's mum). "Enjoyed it, had fun, lots of things to do!" 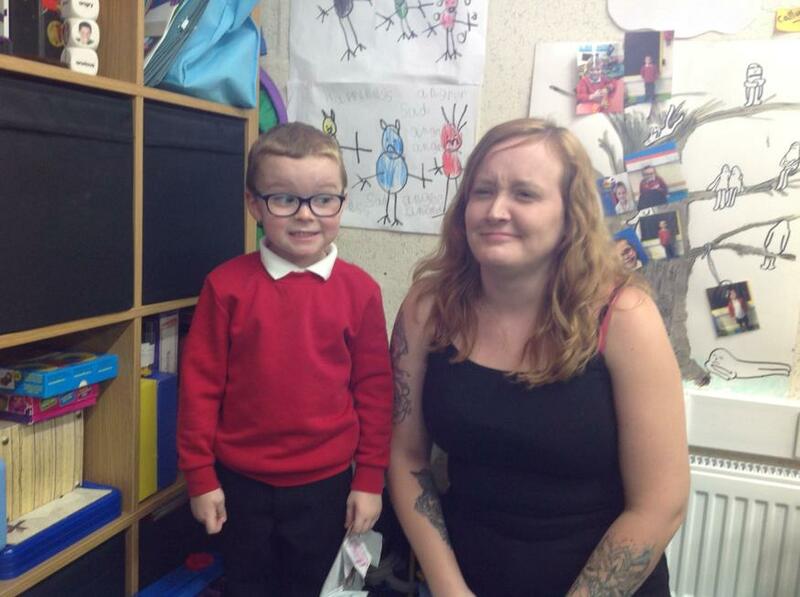 (Ethan's mum).
" 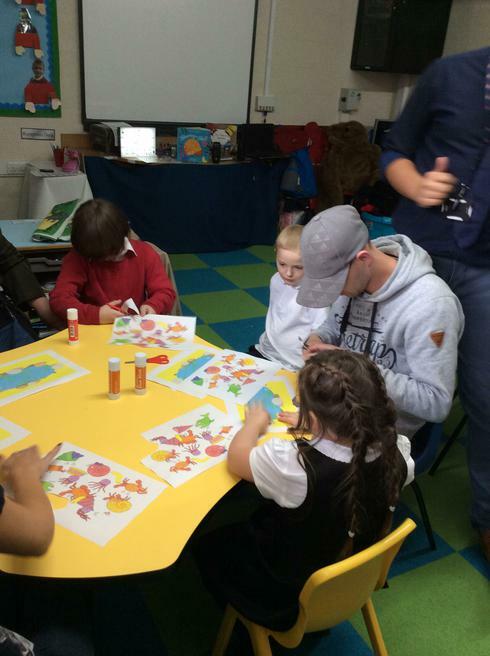 Thank you for an amazing afternoon. 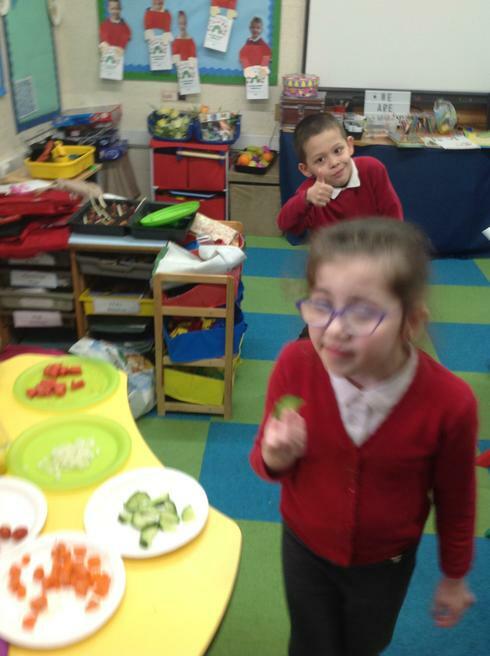 We really enjoyed it !" 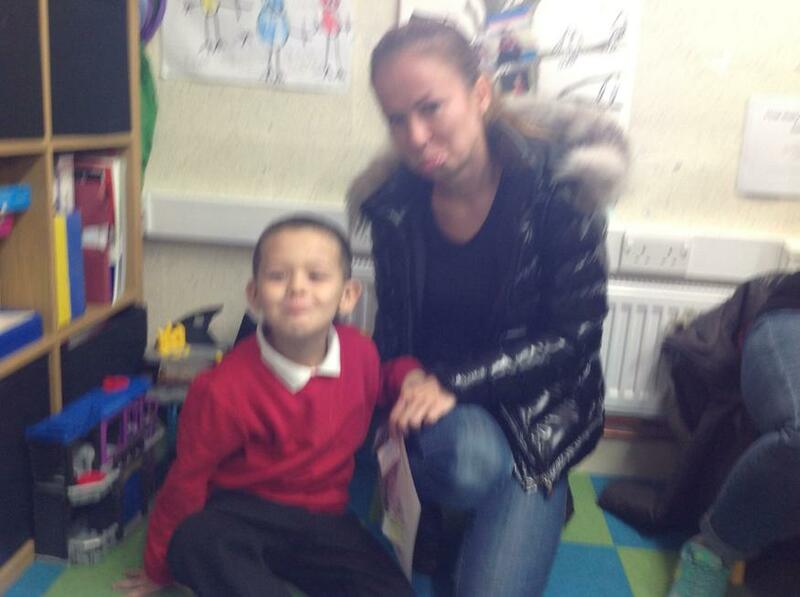 (Steven's mum).
" 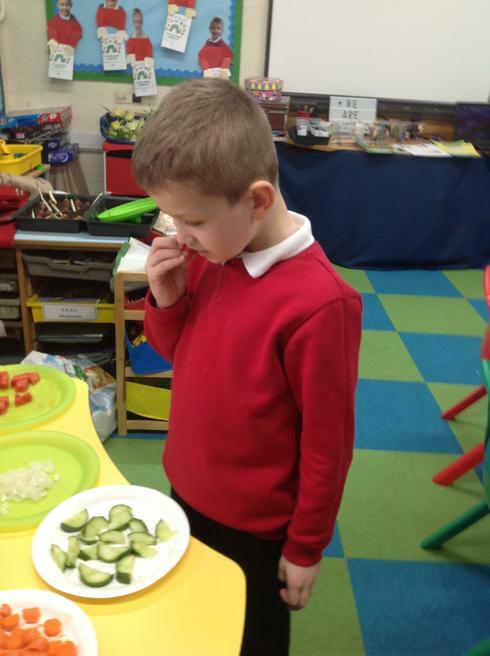 I really enjoyed Ambrose trying new foods. 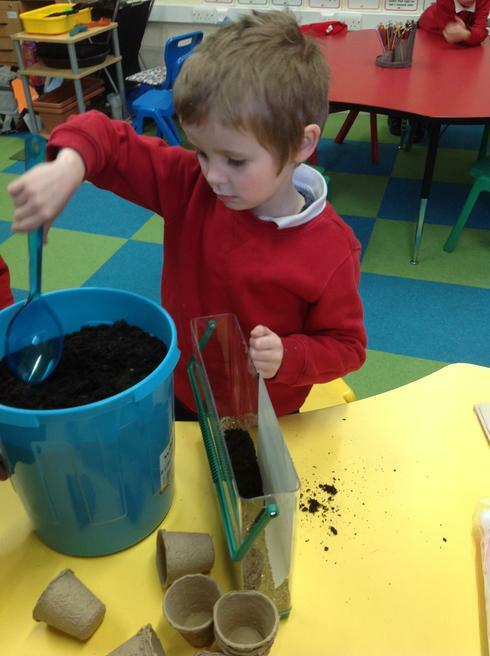 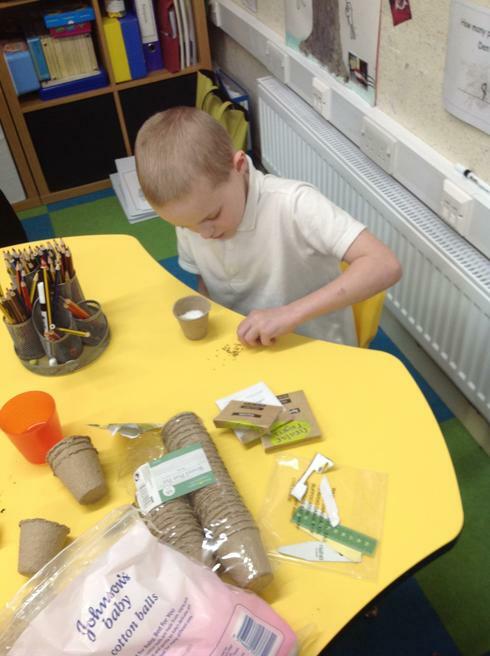 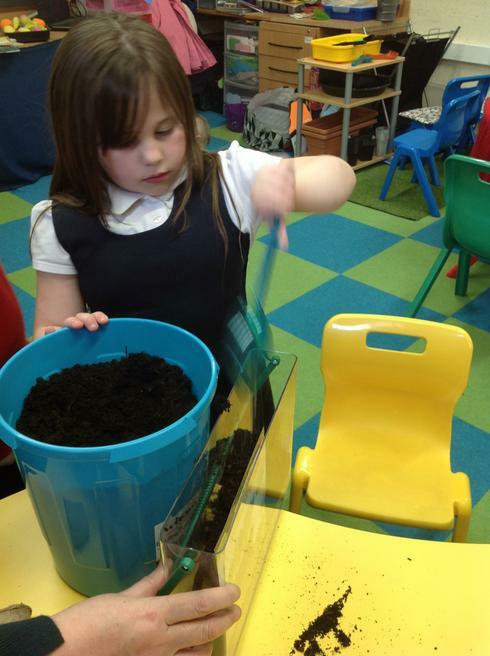 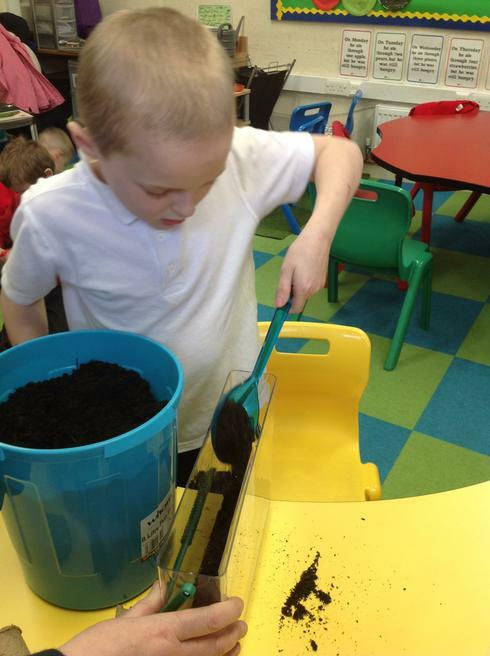 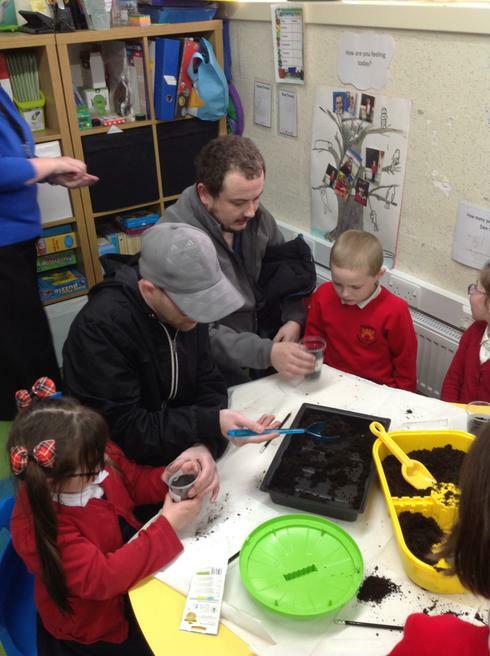 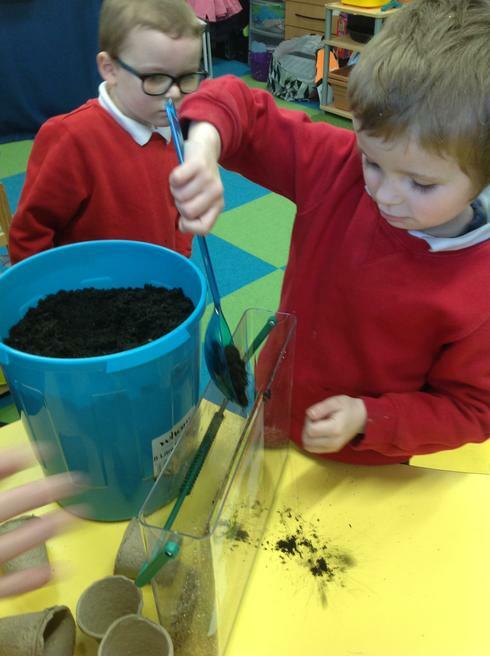 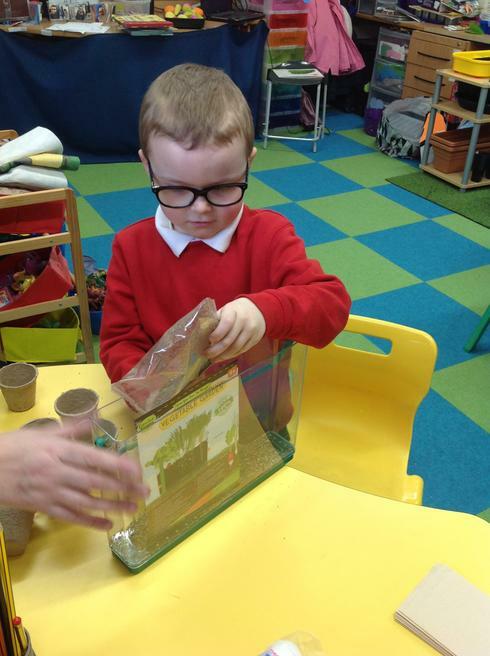 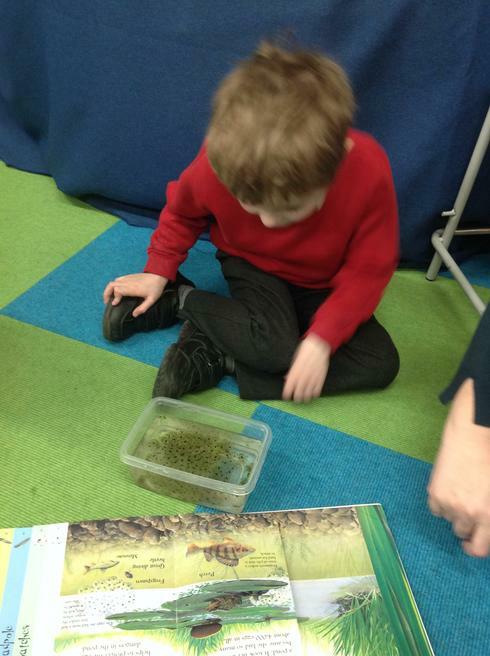 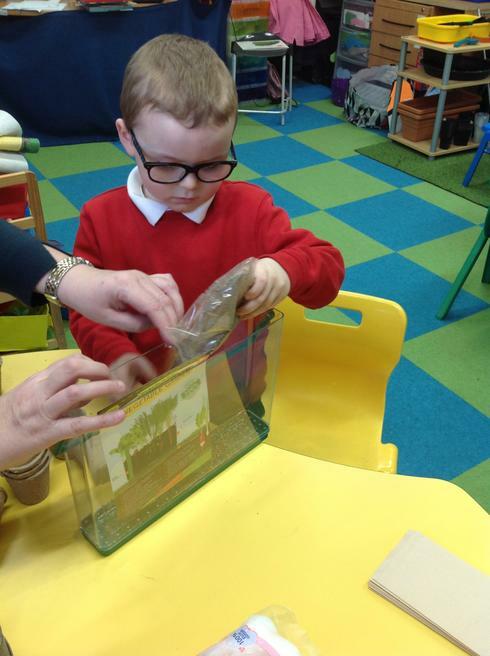 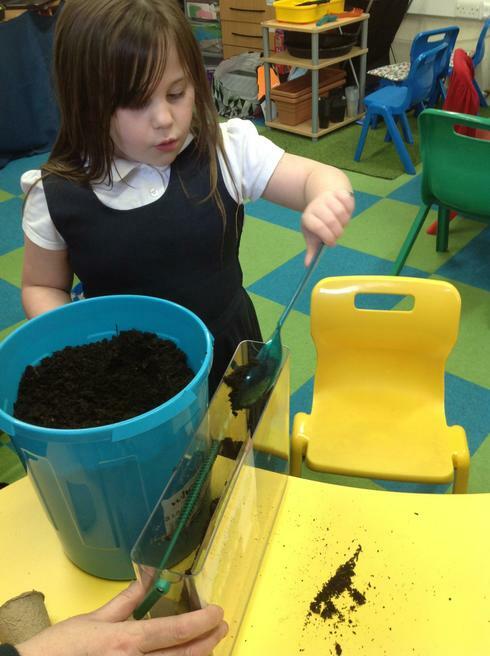 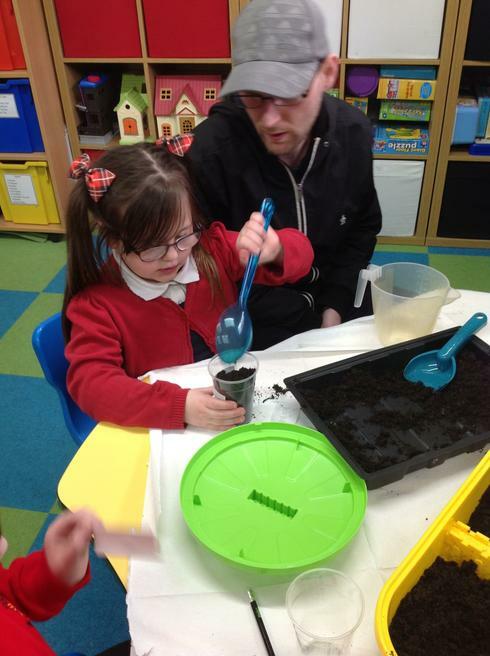 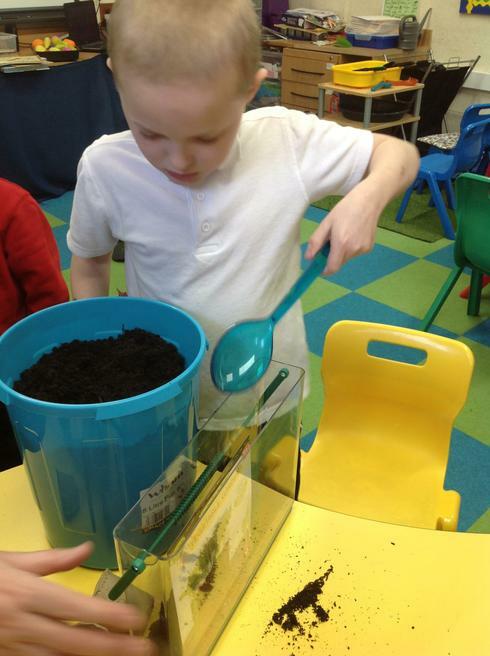 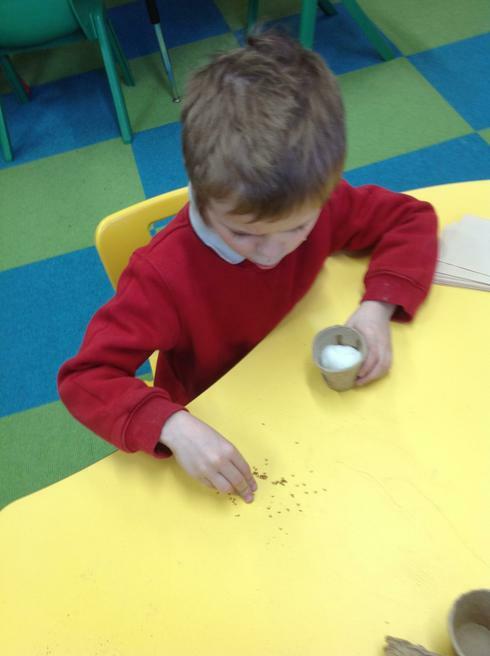 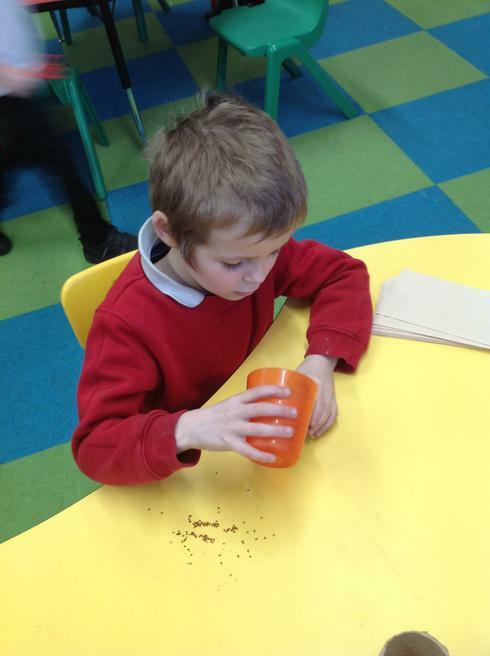 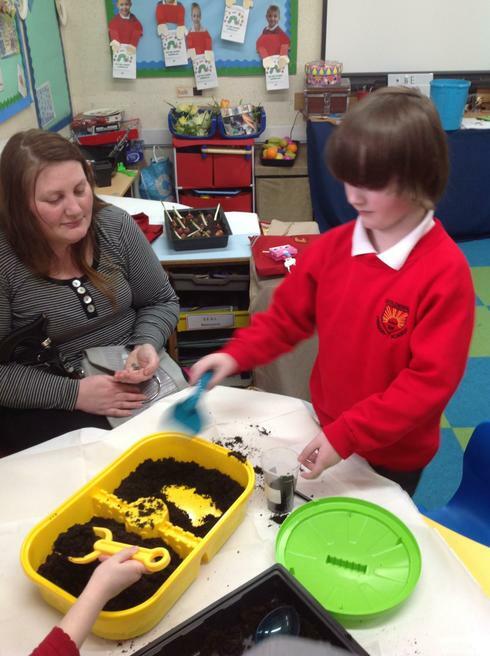 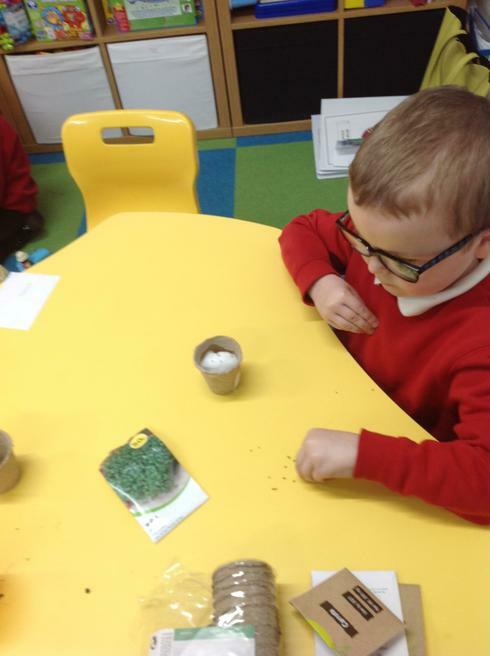 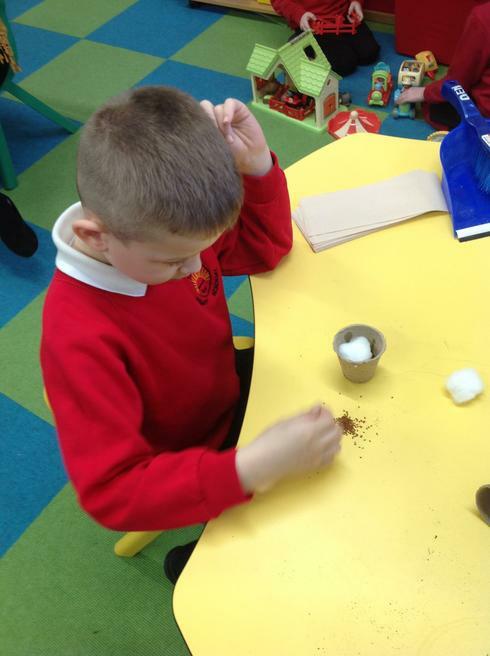 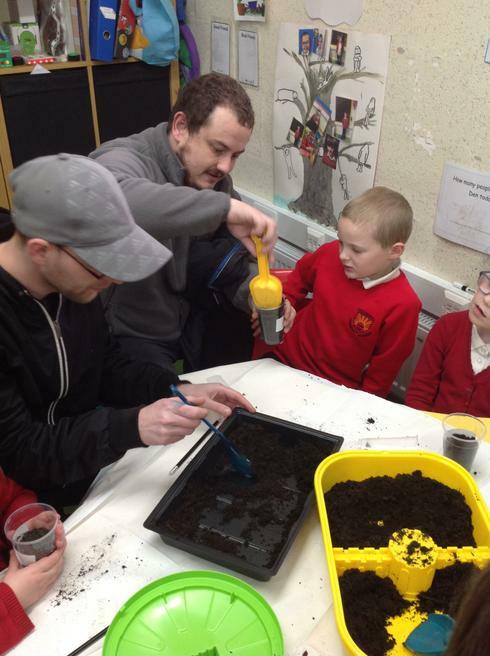 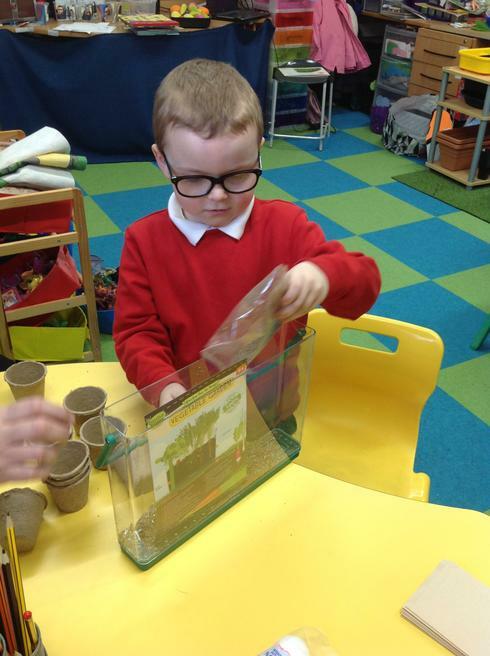 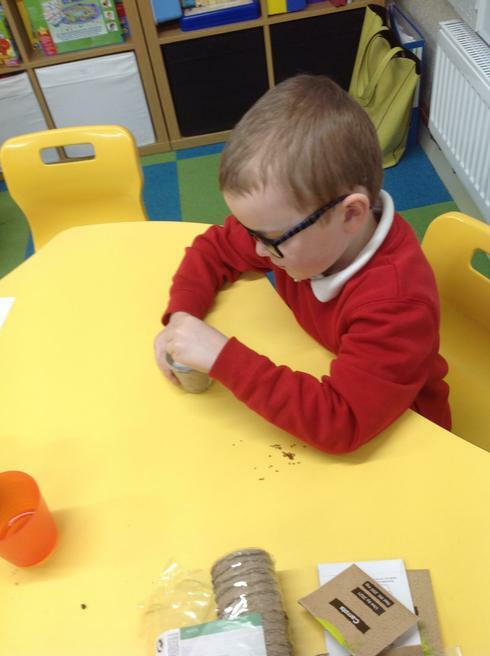 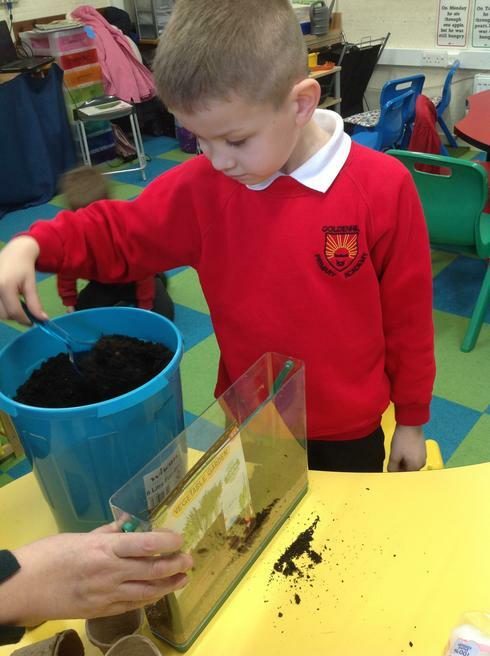 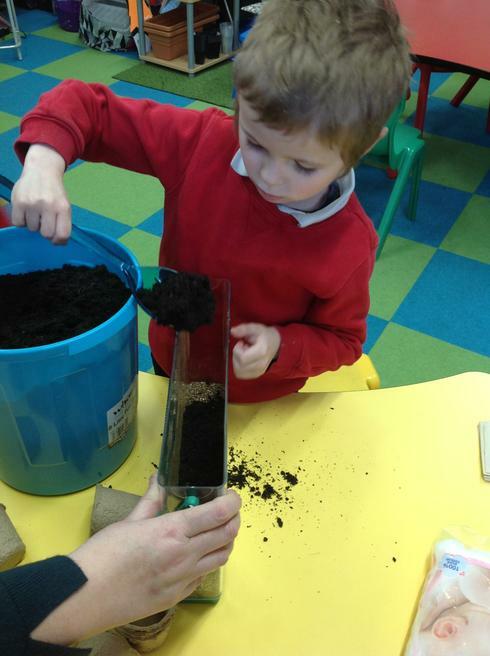 Me and Ambrose really enjoyed planting the Sunflower seeds.We had a brilliant afternoon in the Den" (Ambrose's mum). 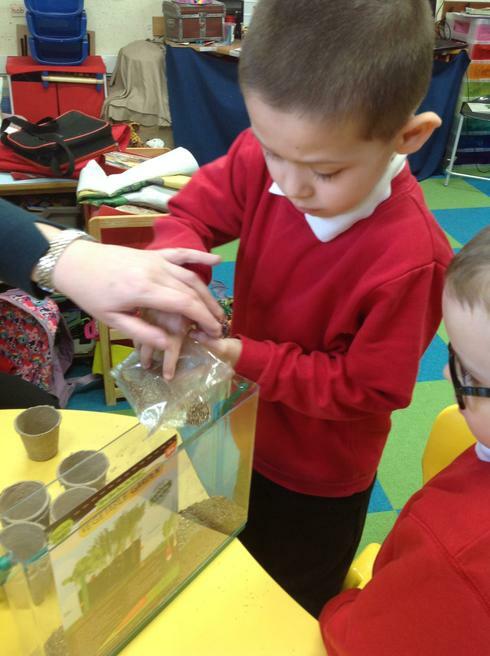 This week we have had some frogspawn delivered. 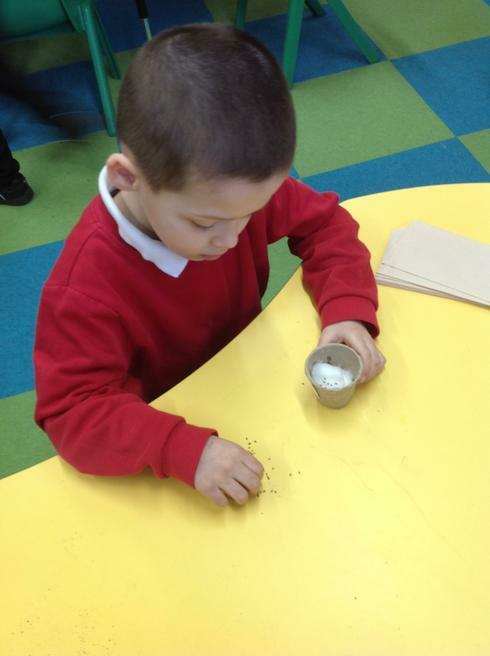 We are going to be watching them grow as we explore all about life cycles! 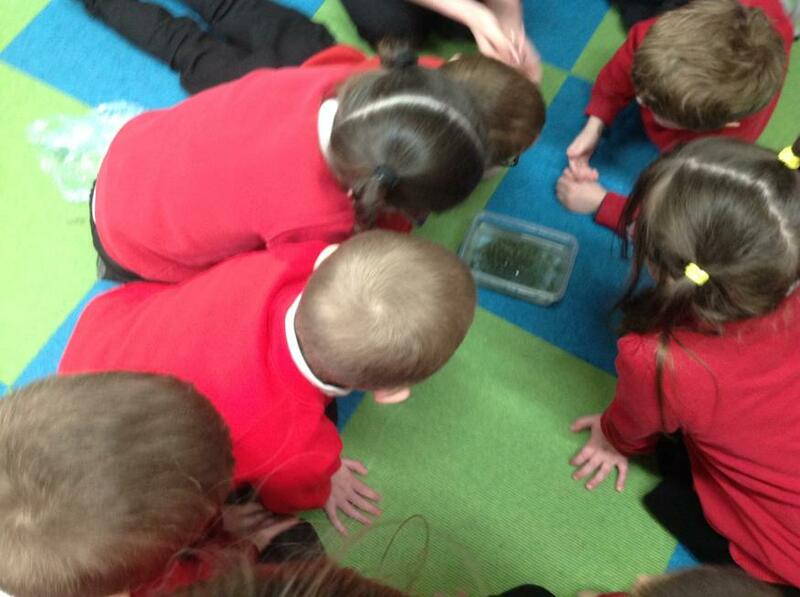 Here we are looking at the frogspawn.